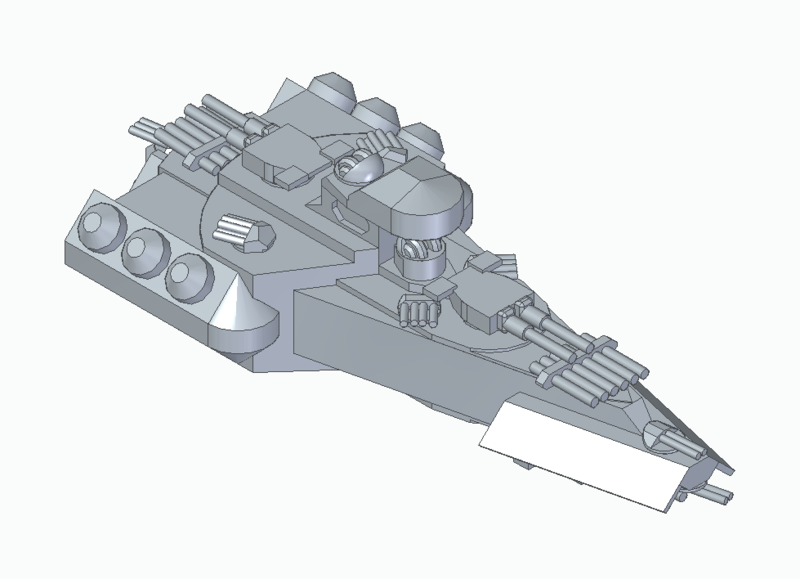 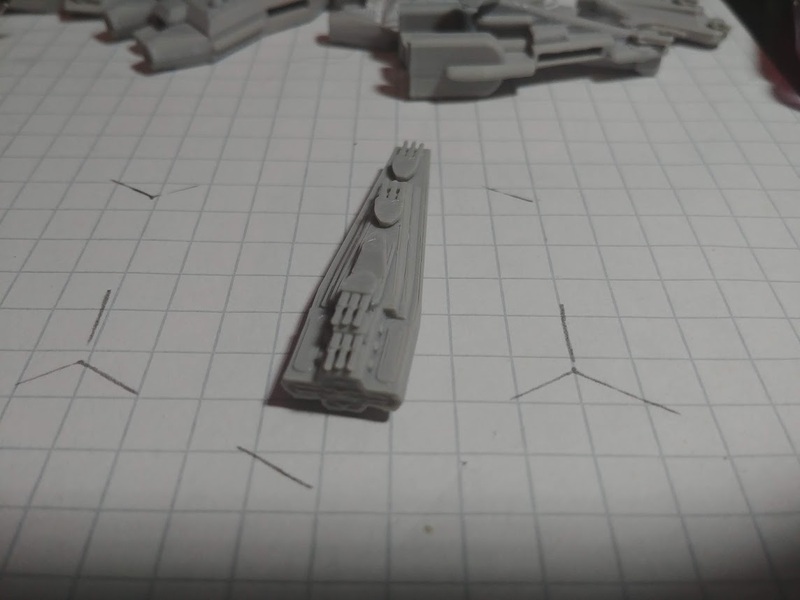 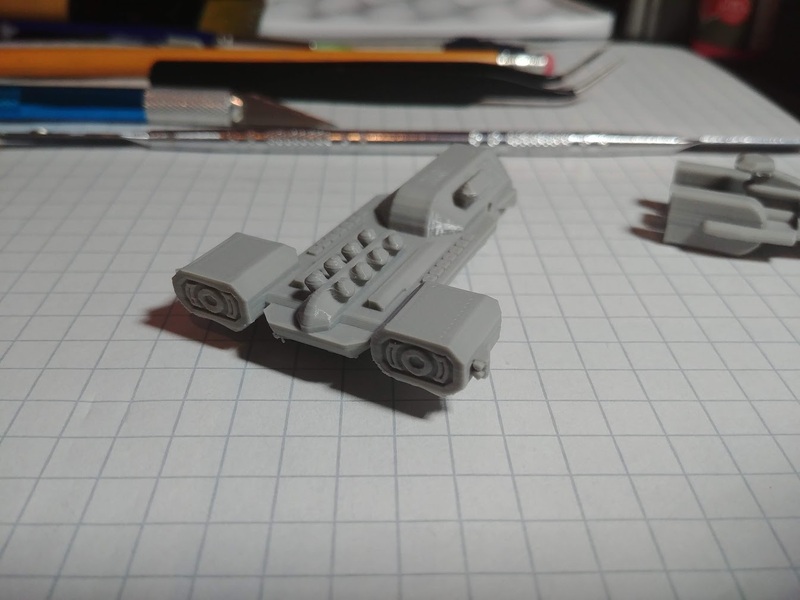 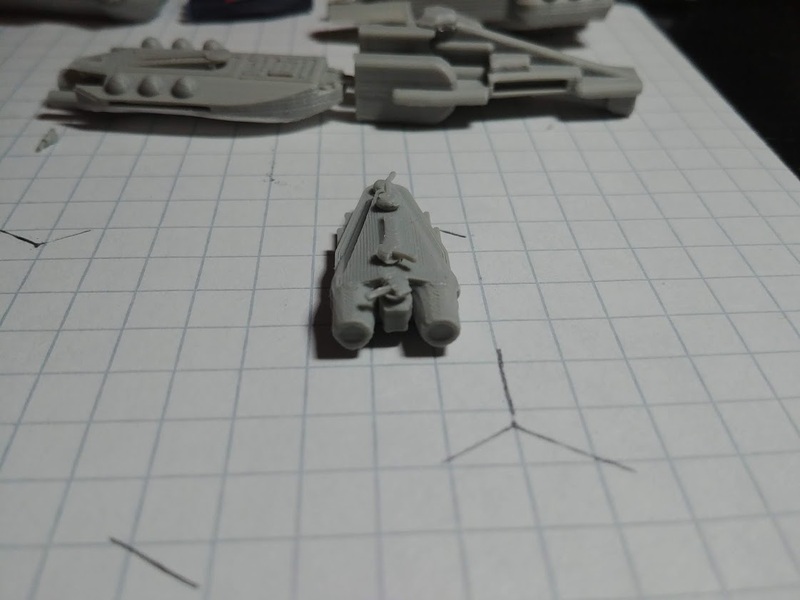 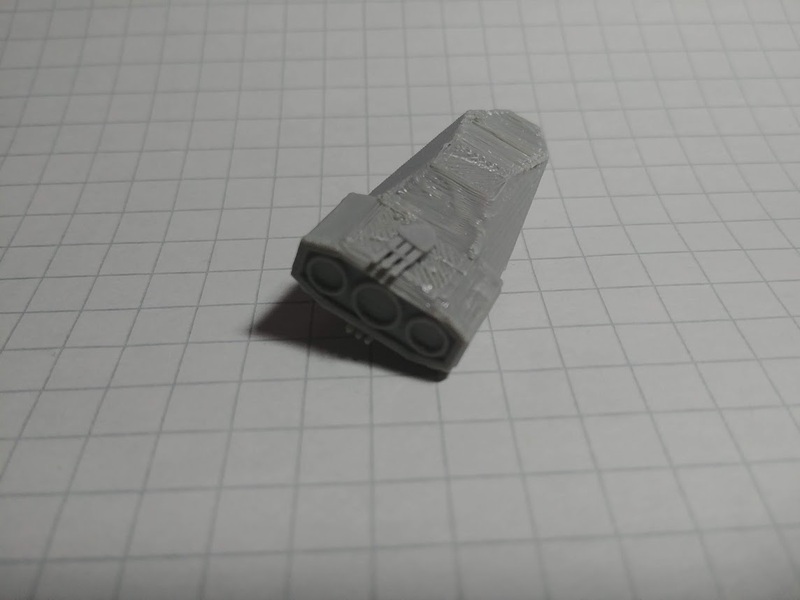 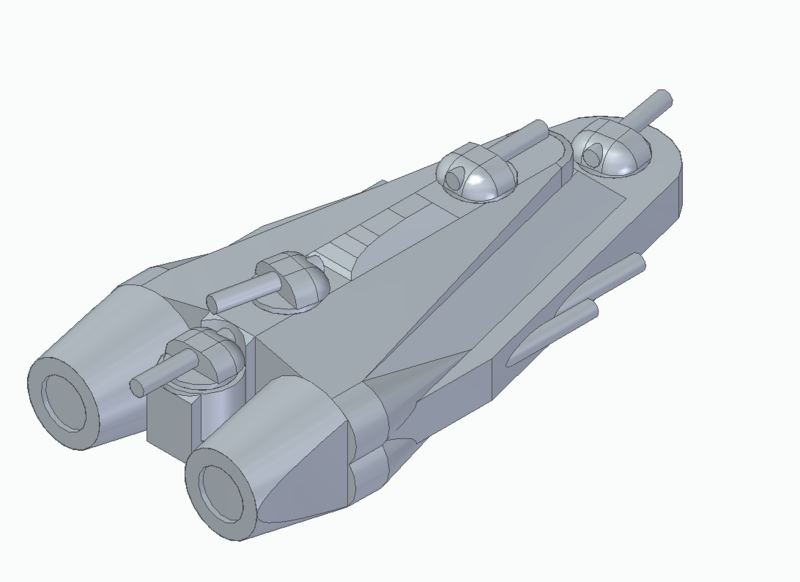 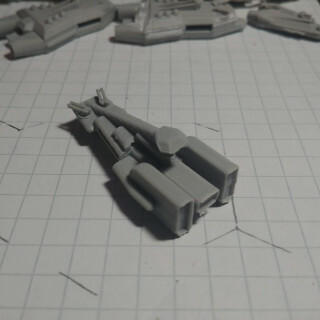 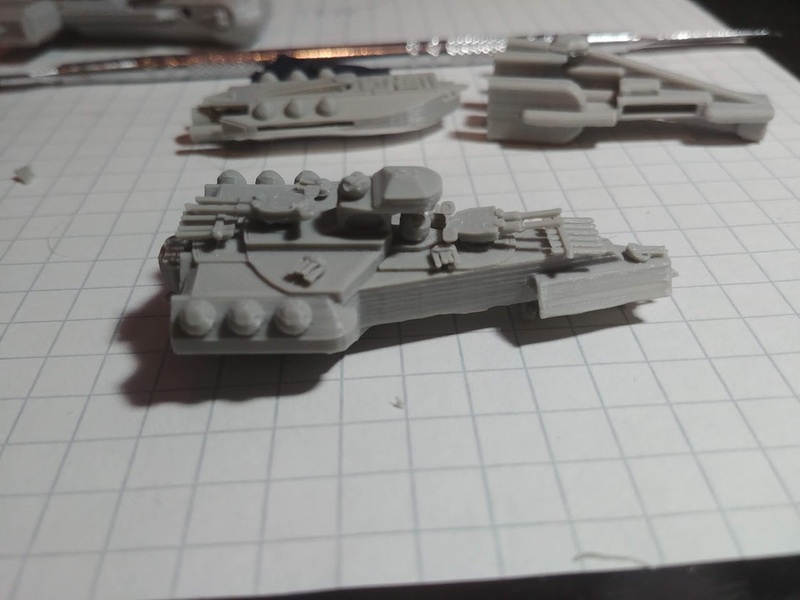 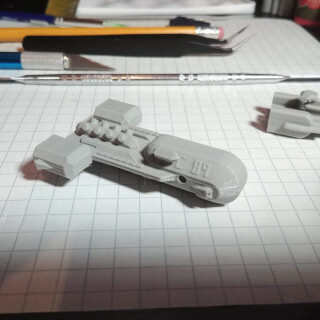 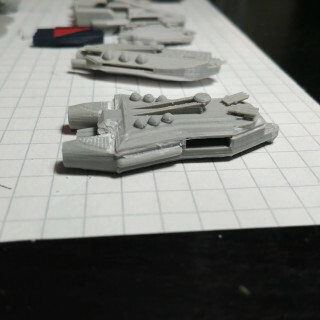 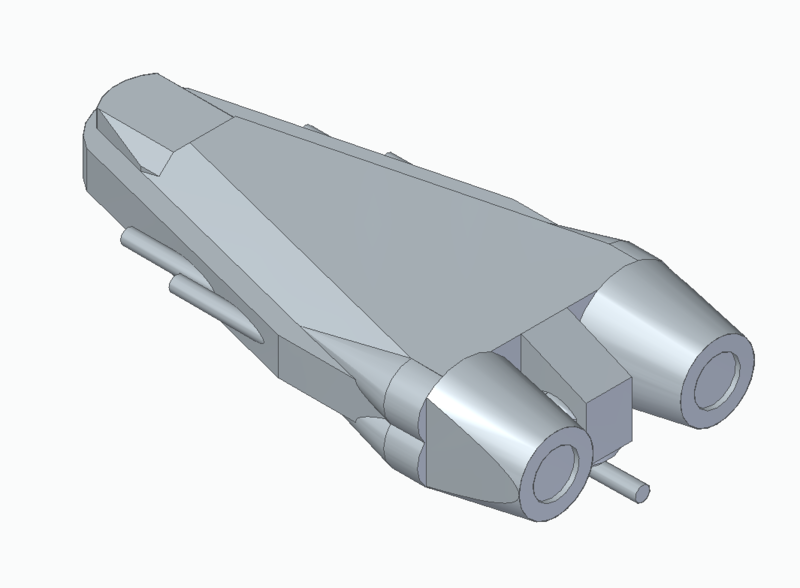 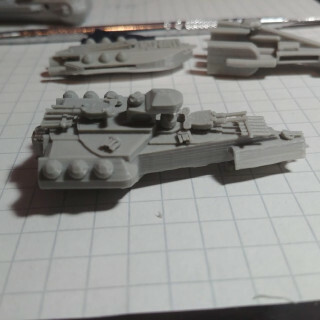 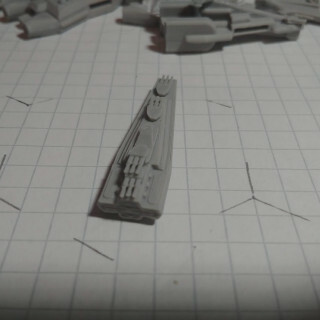 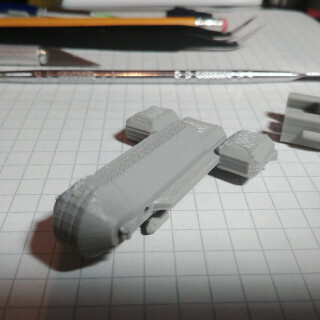 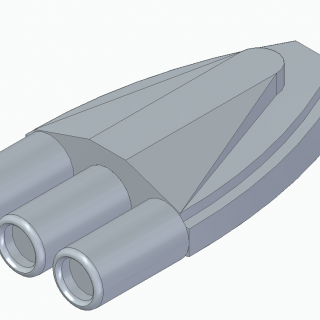 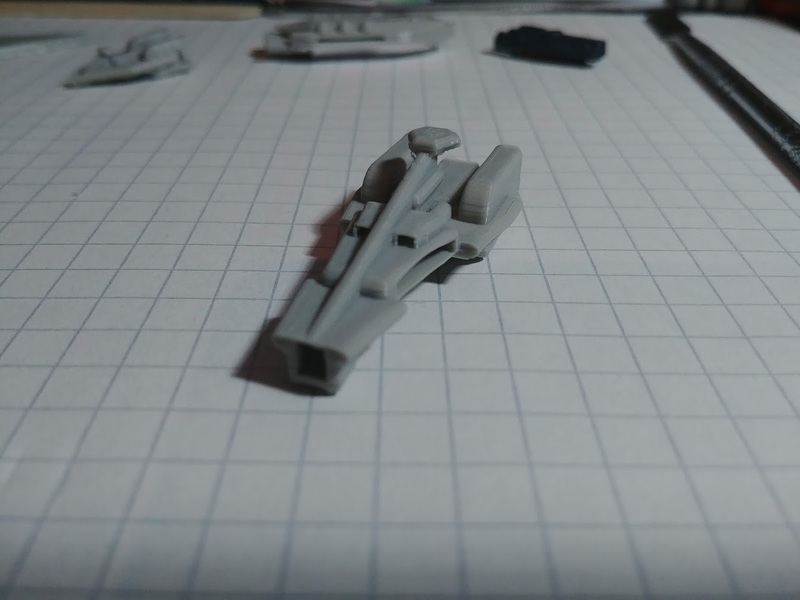 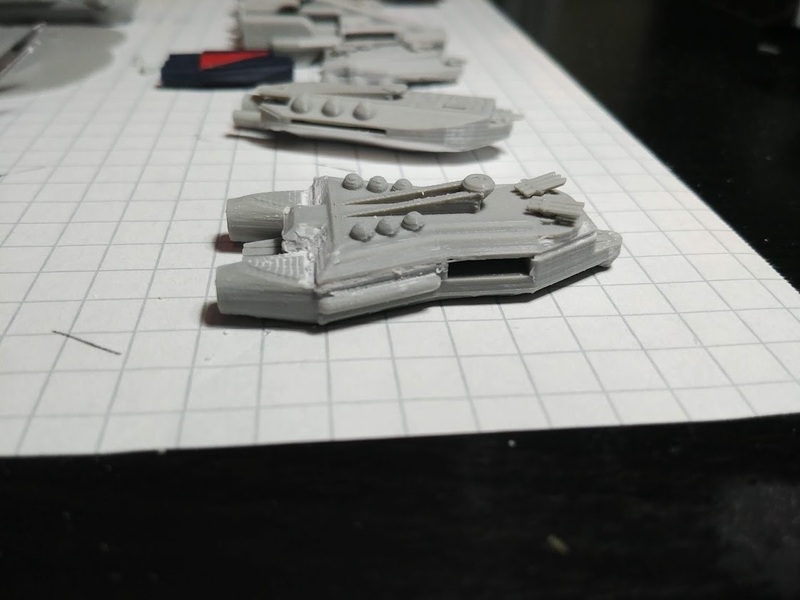 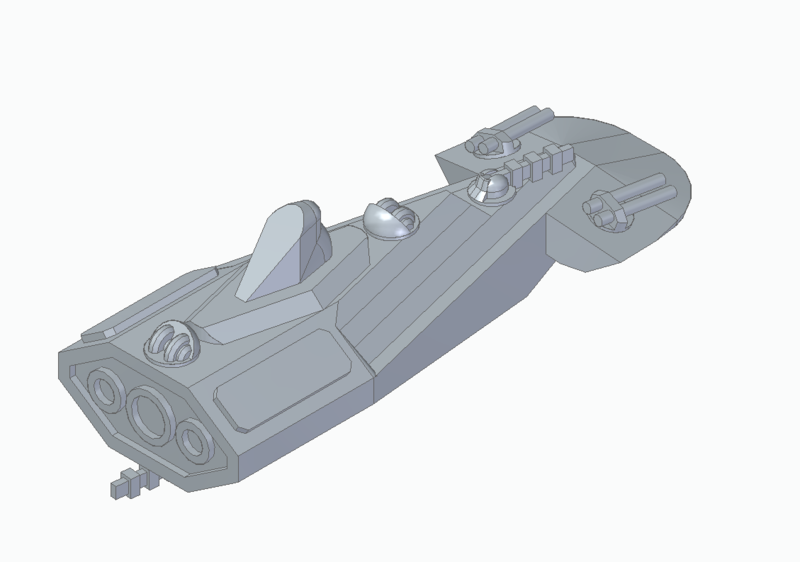 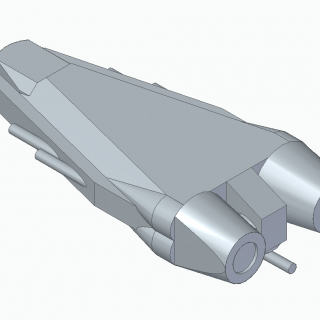 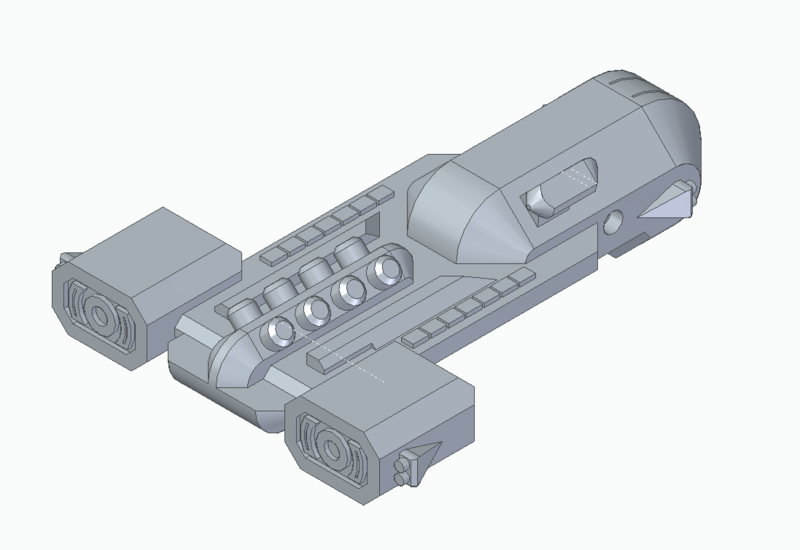 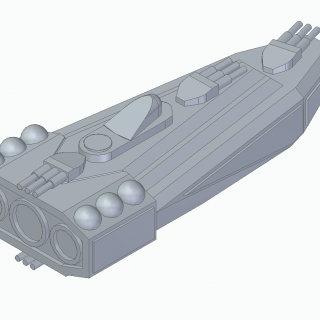 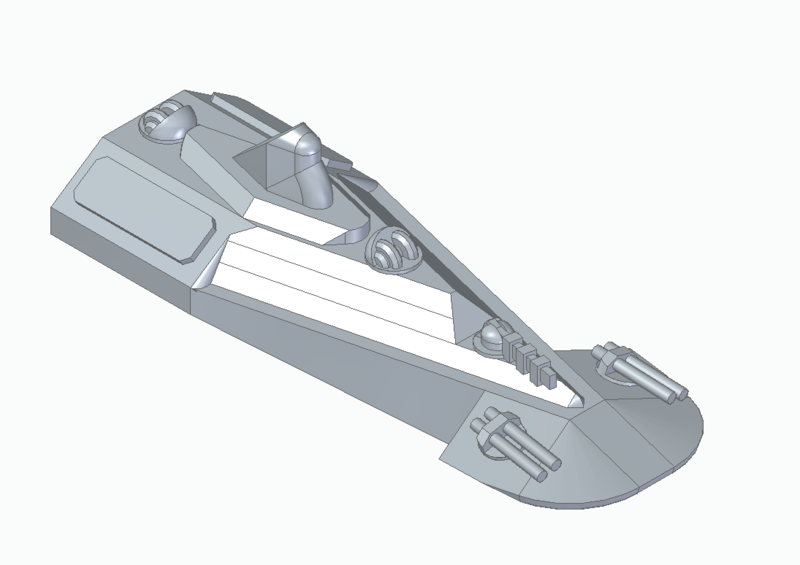 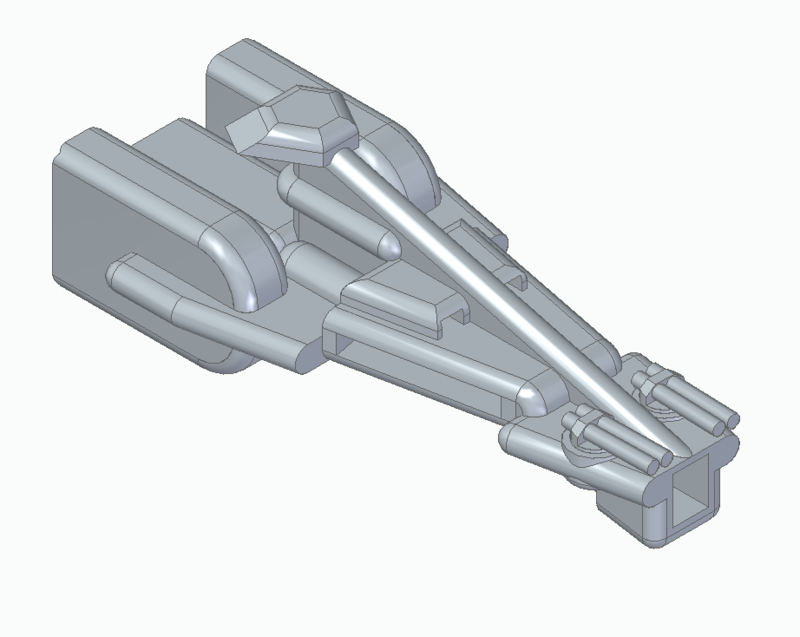 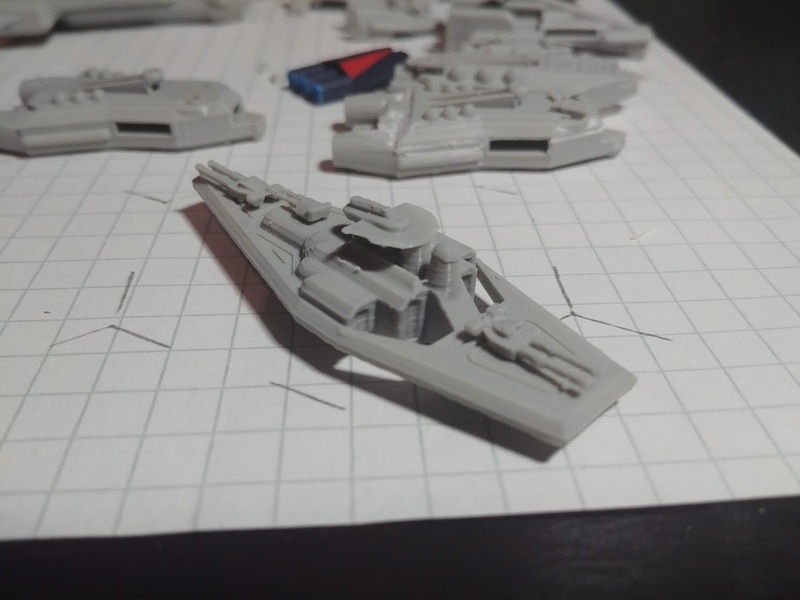 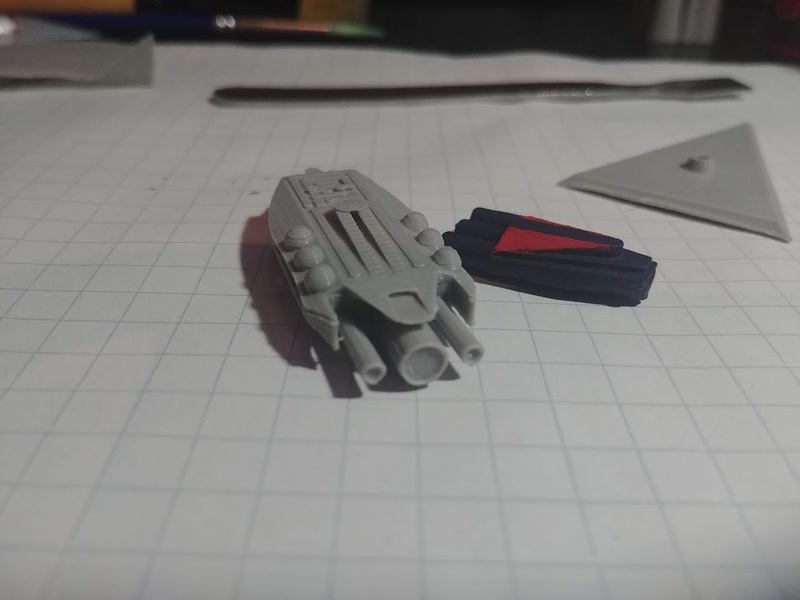 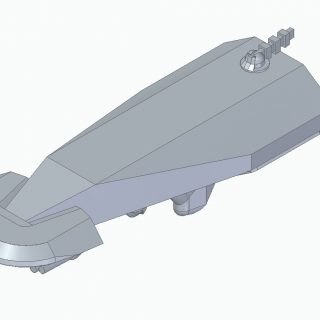 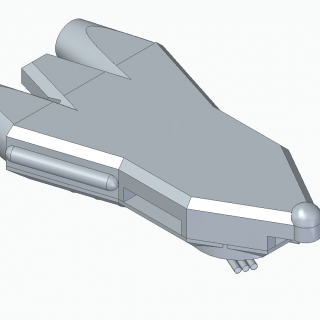 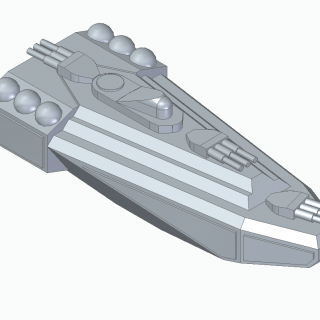 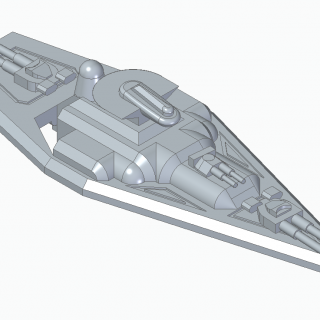 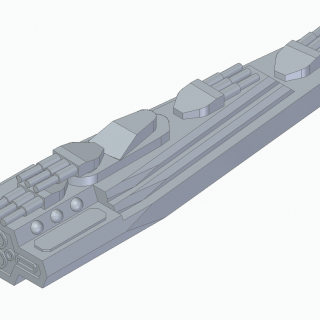 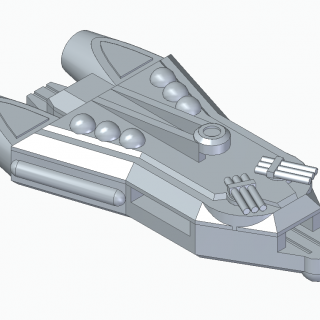 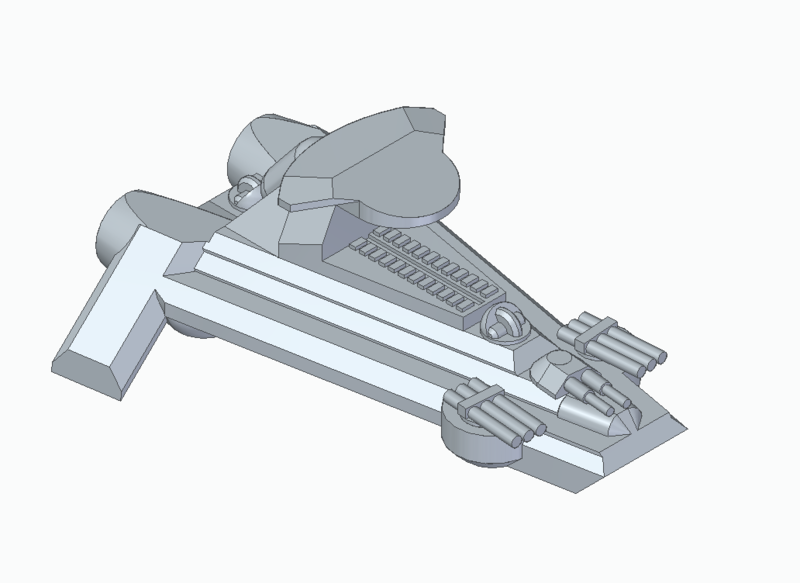 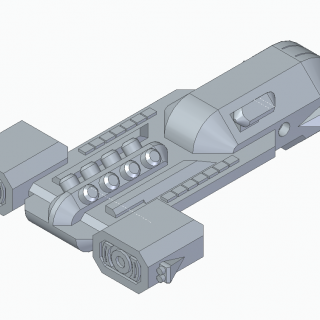 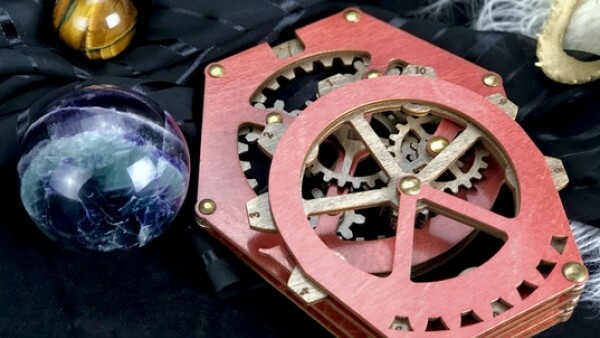 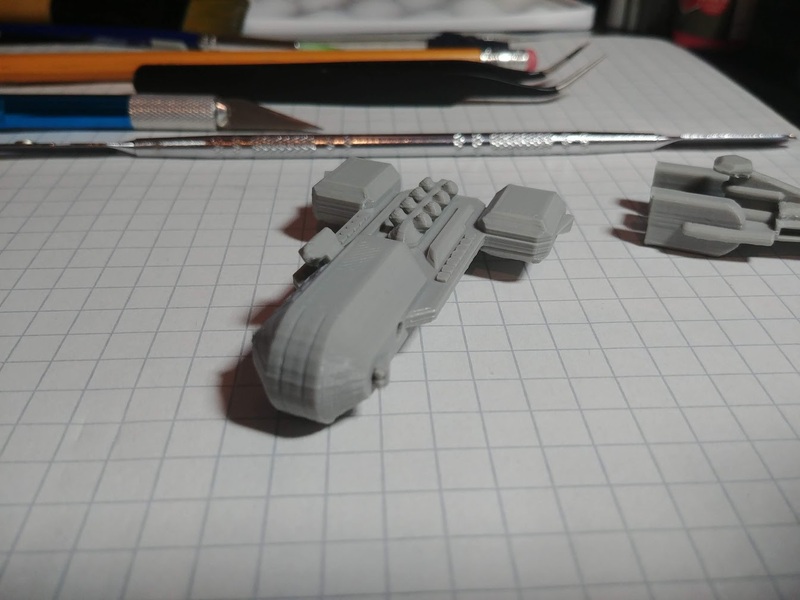 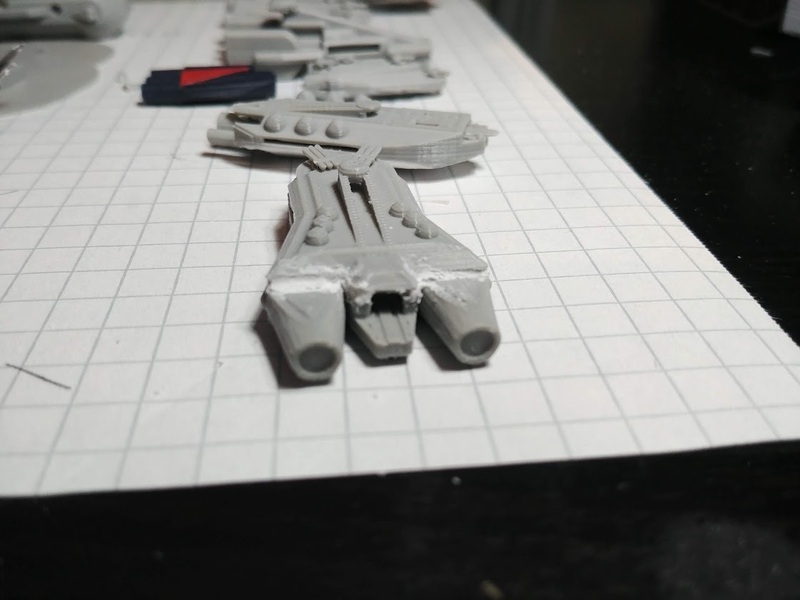 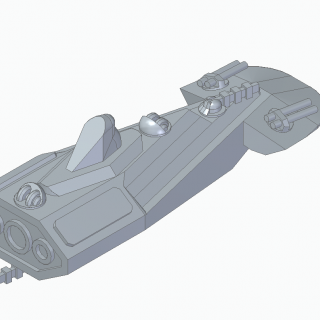 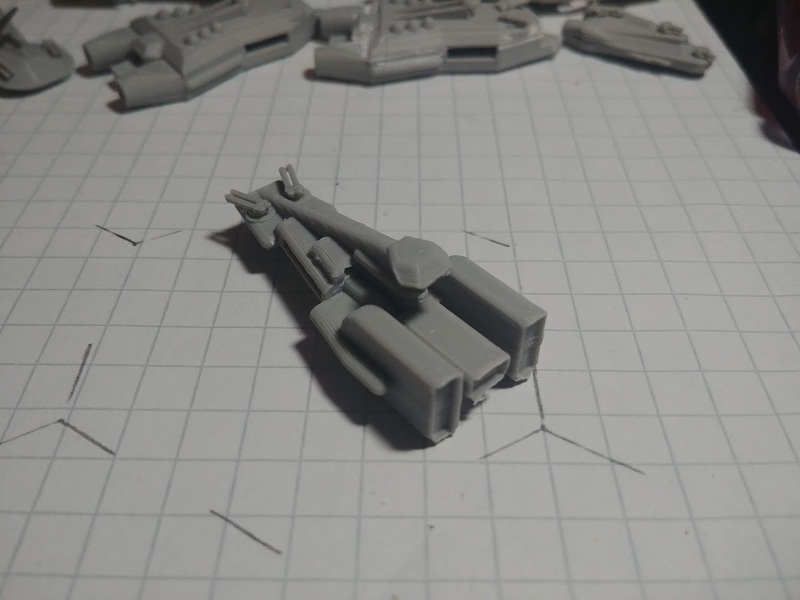 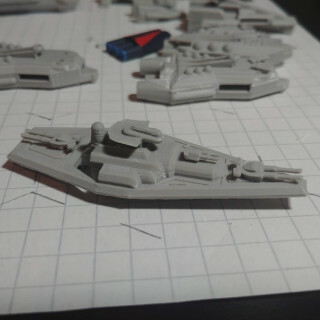 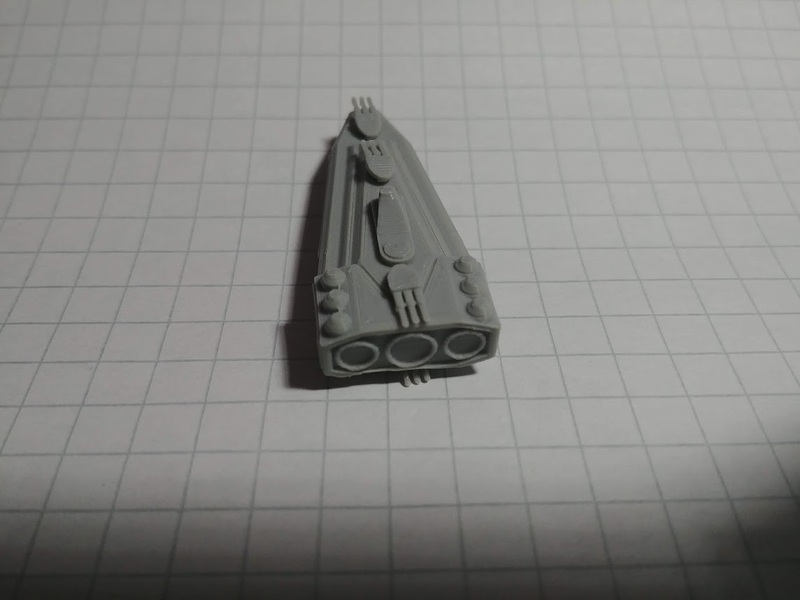 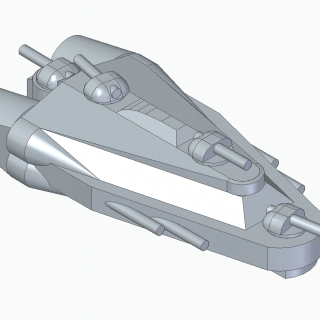 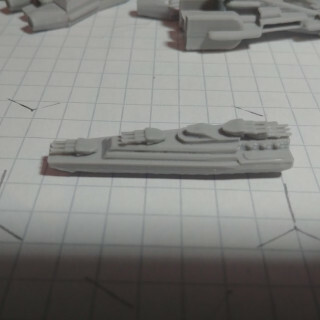 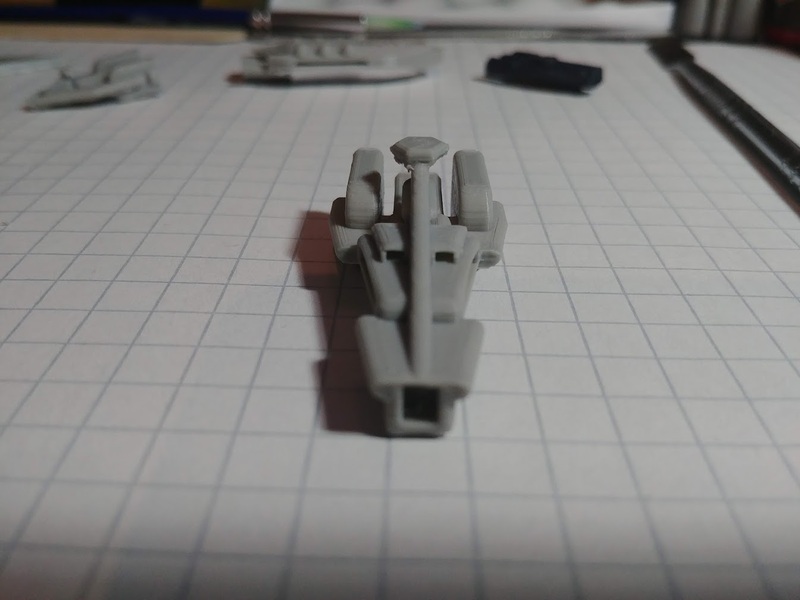 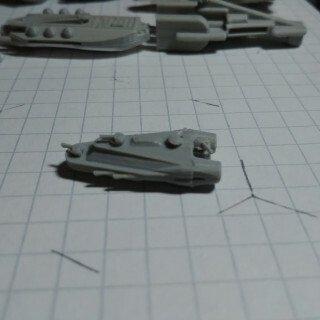 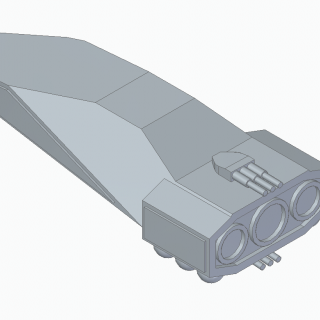 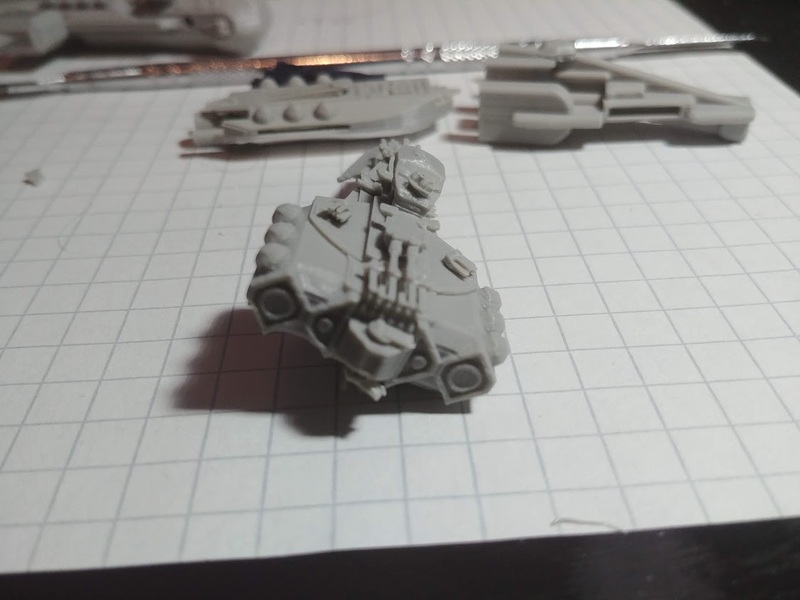 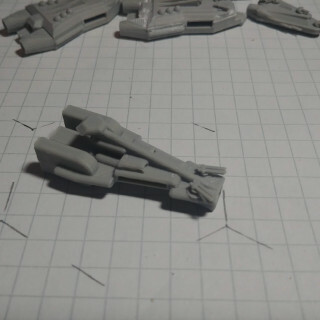 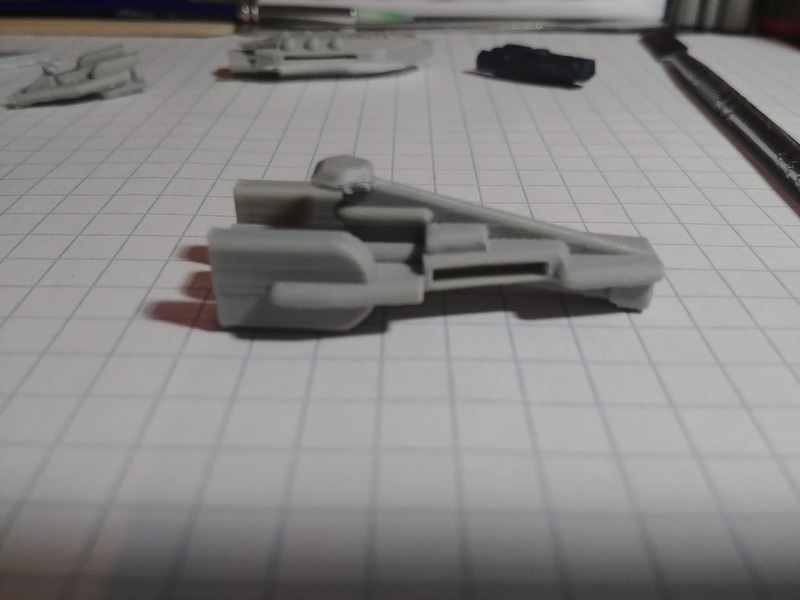 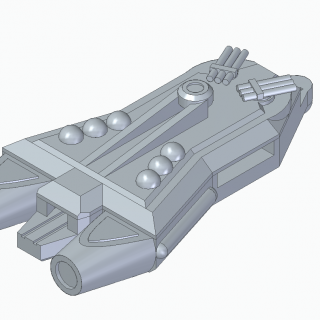 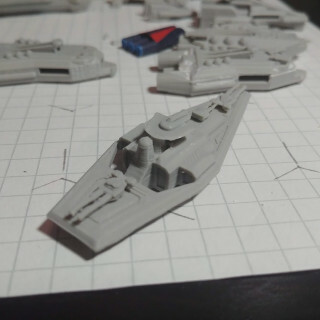 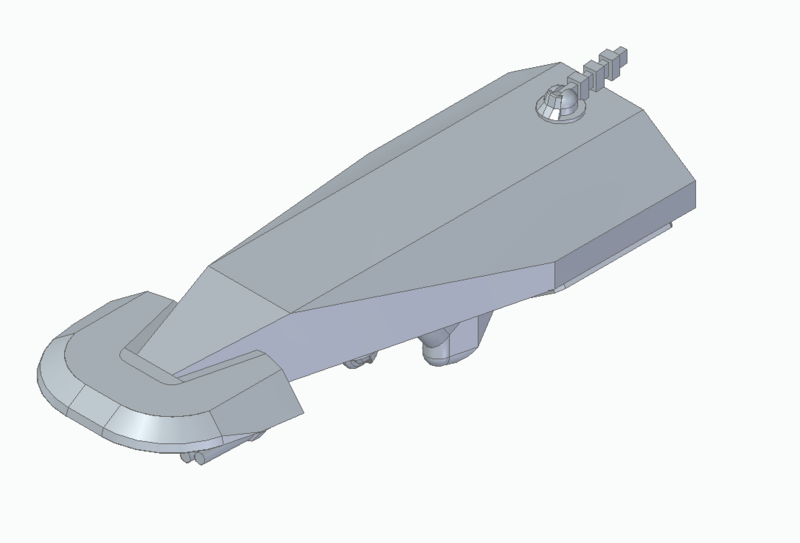 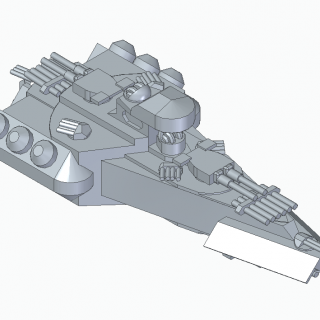 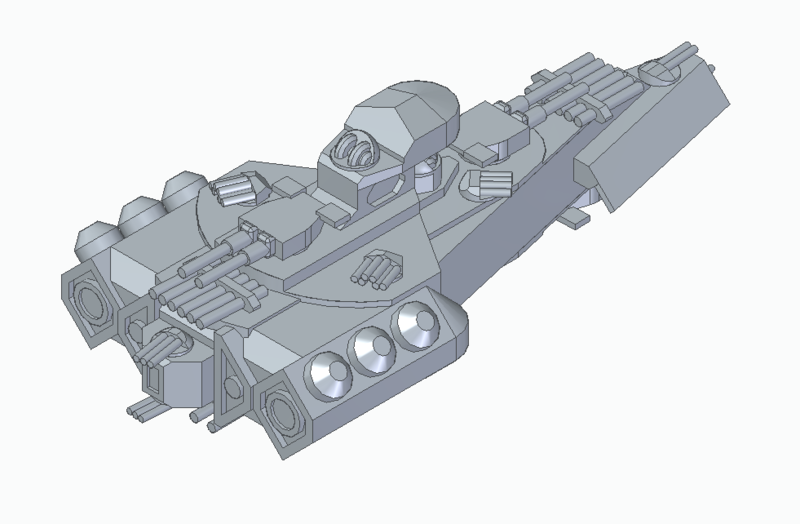 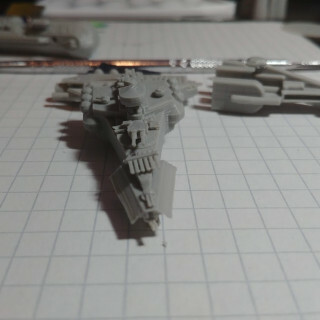 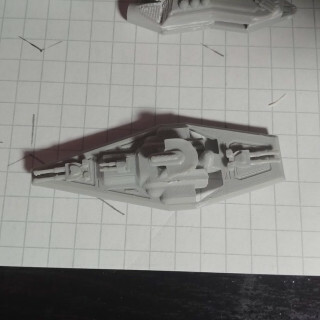 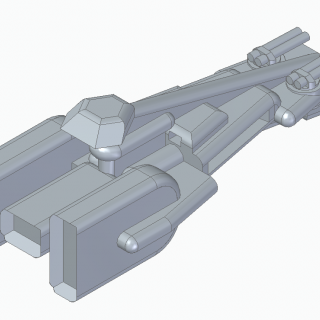 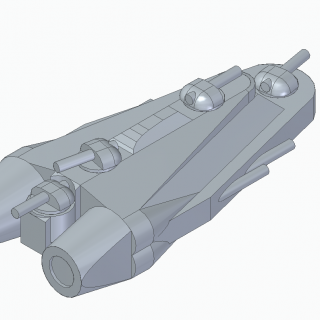 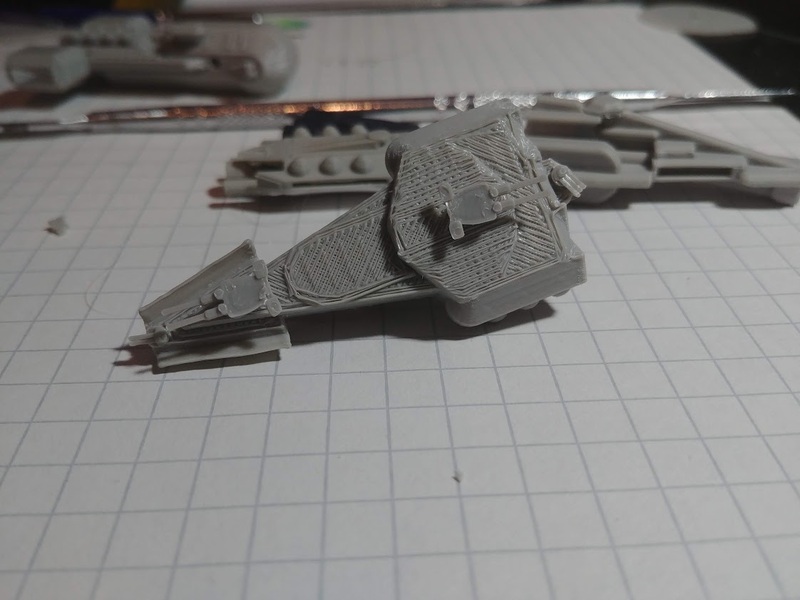 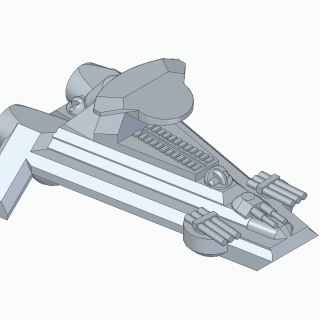 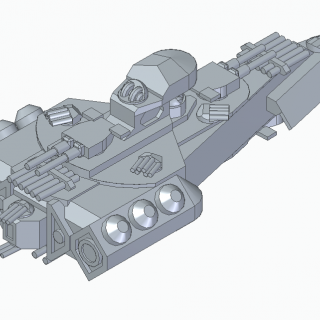 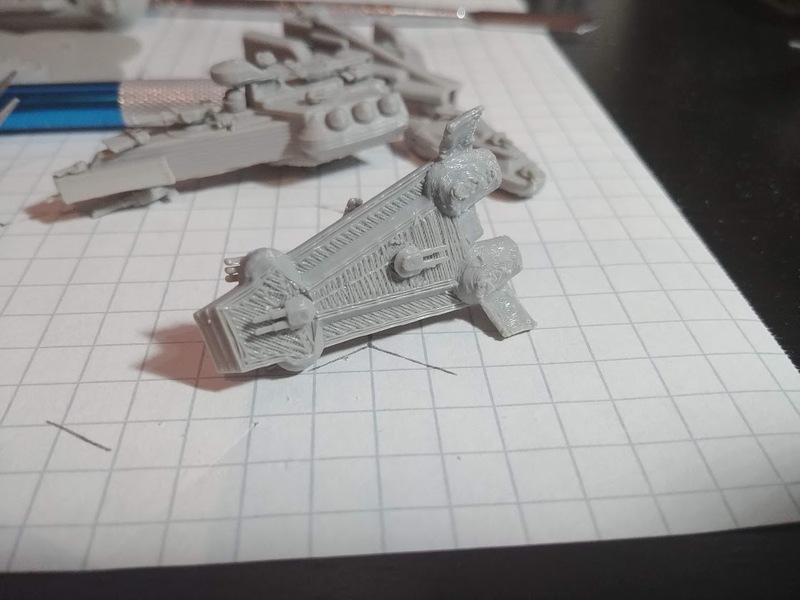 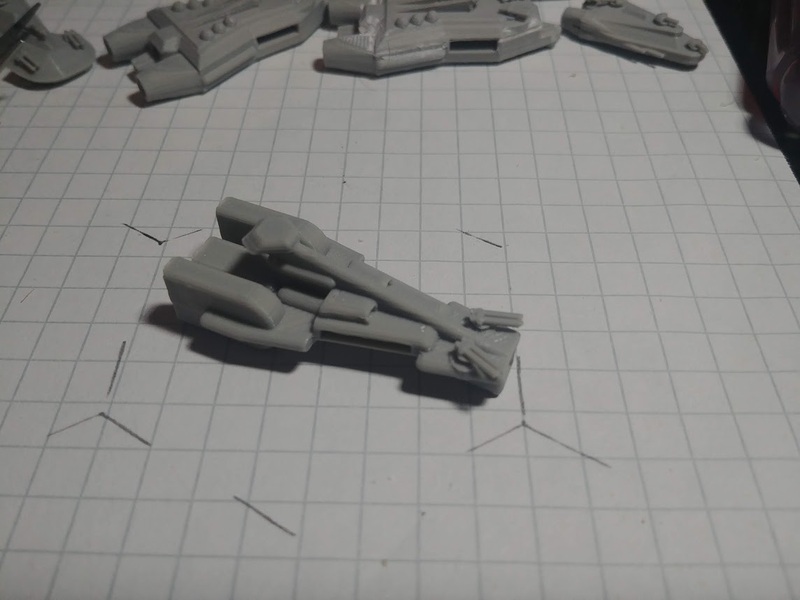 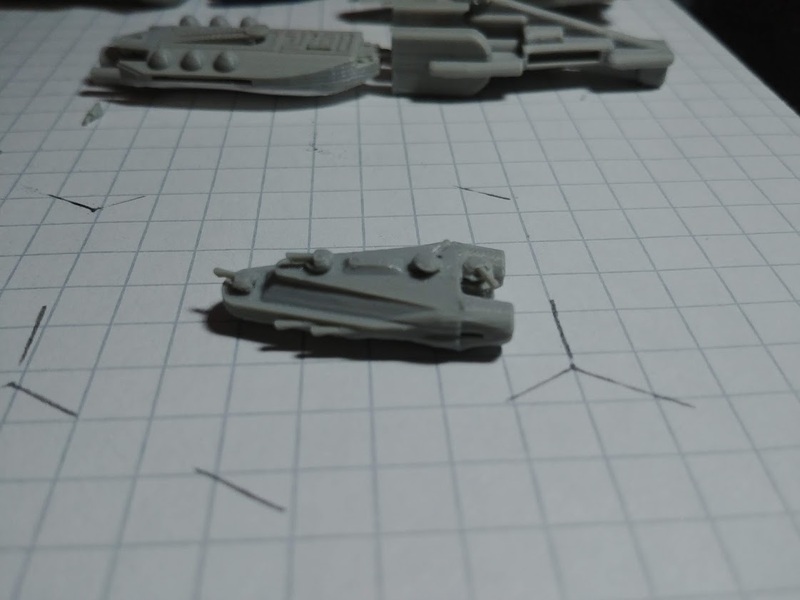 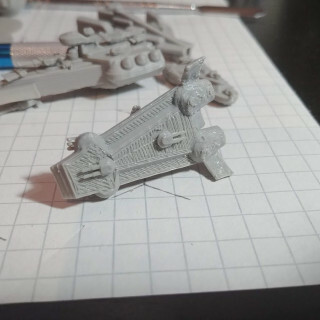 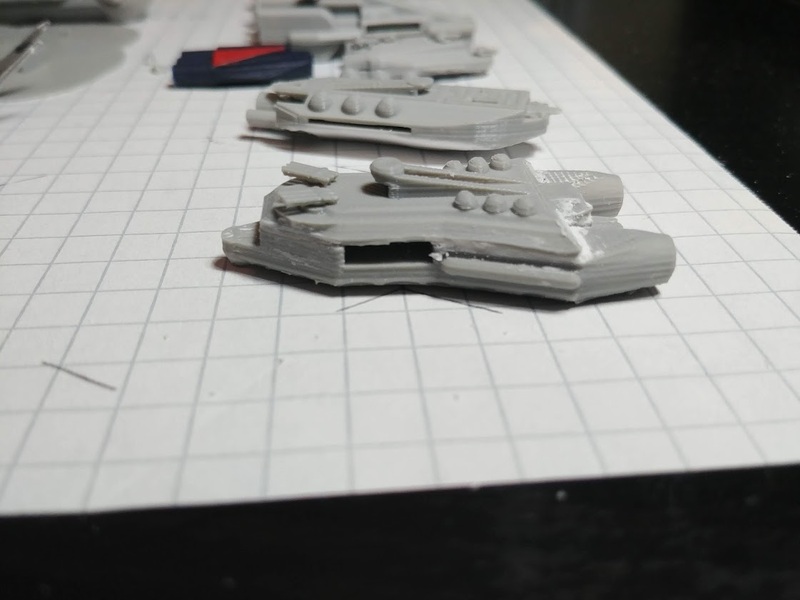 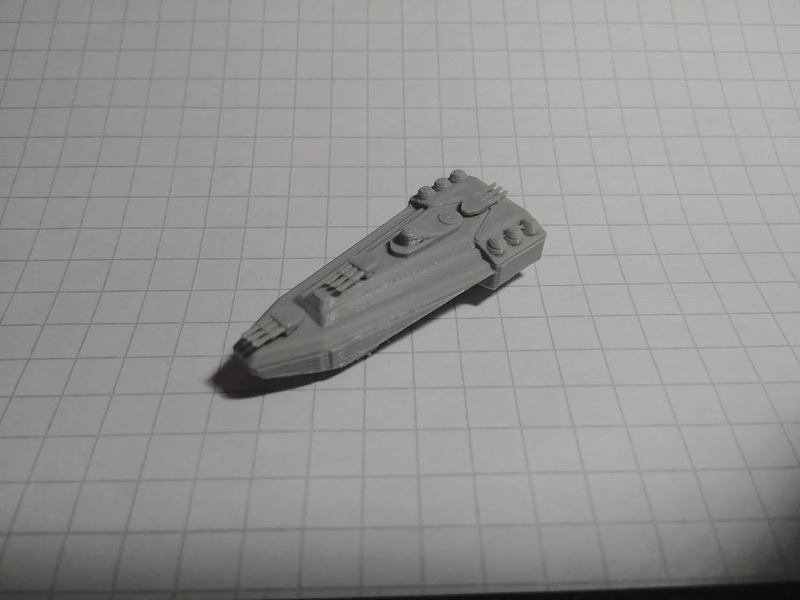 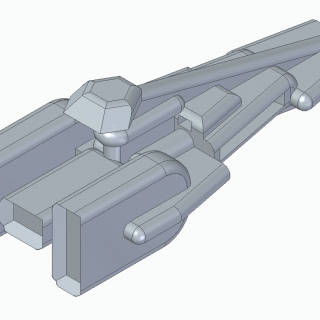 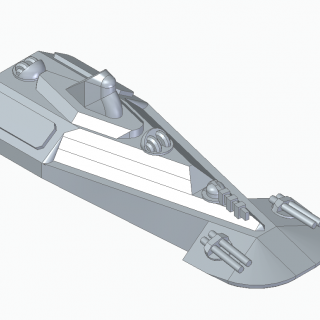 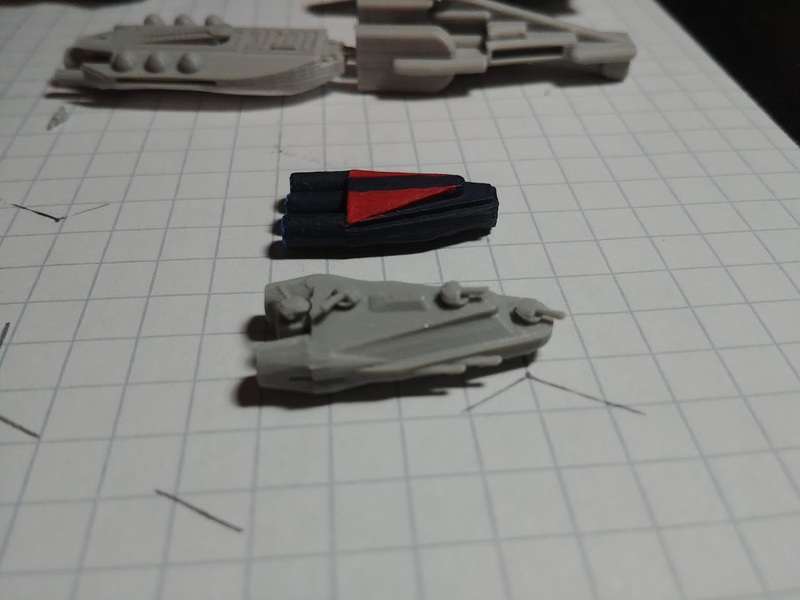 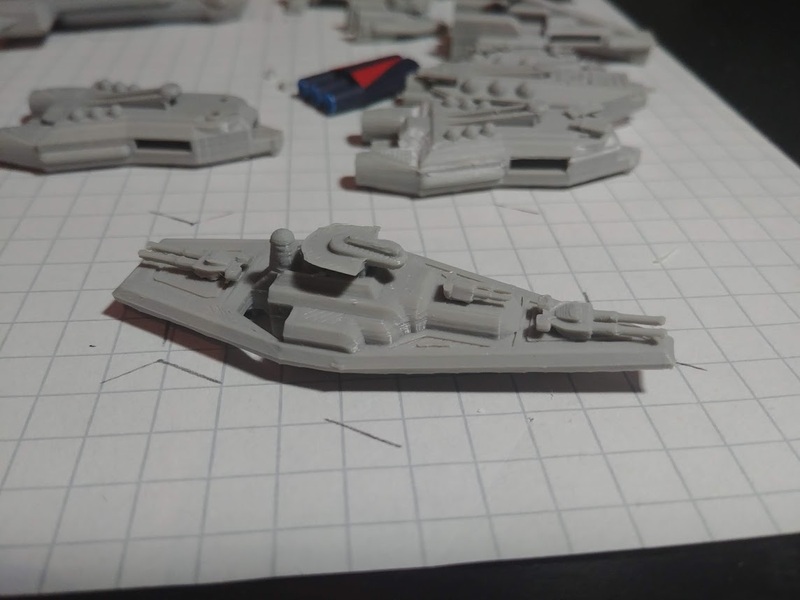 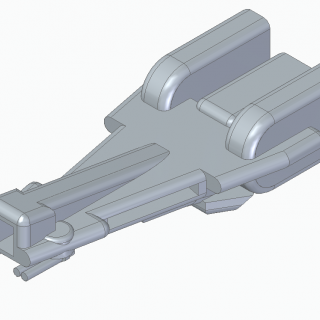 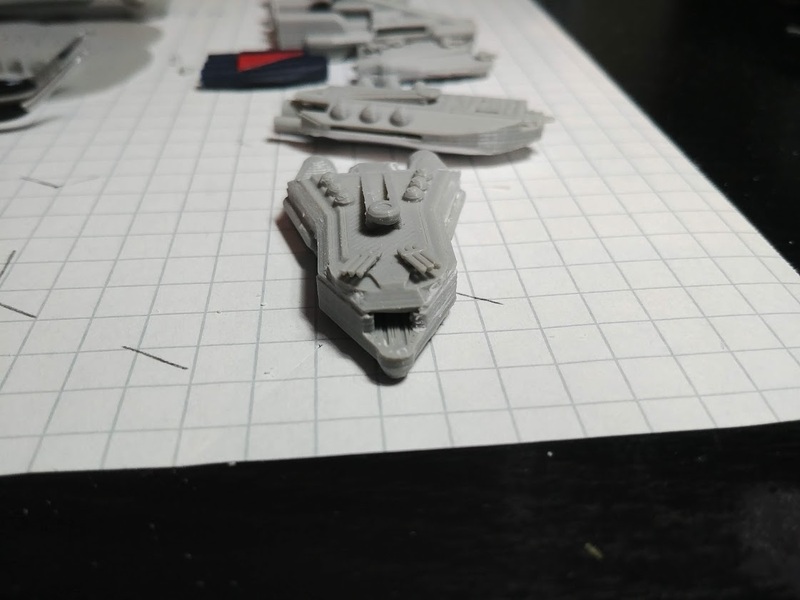 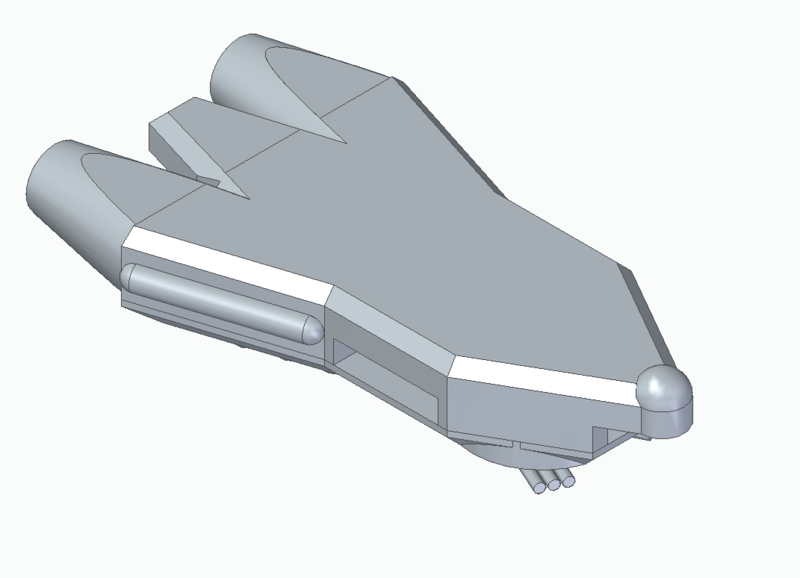 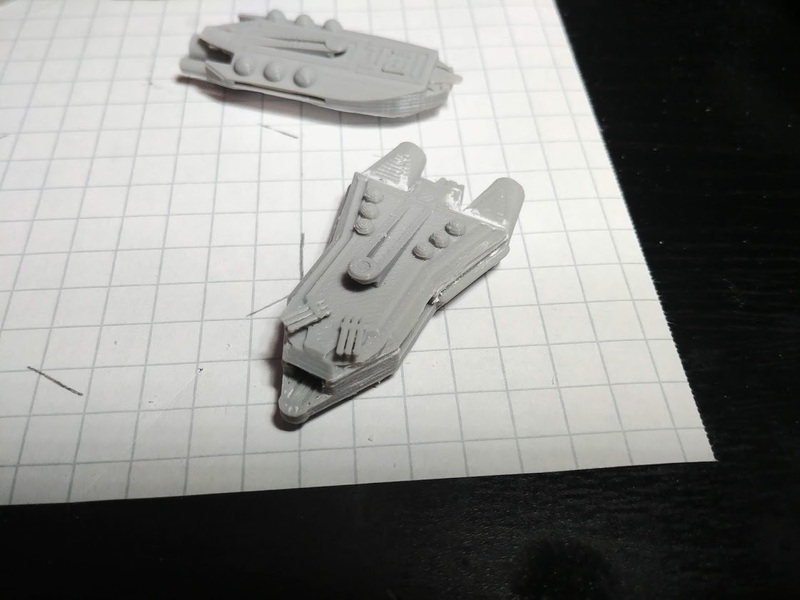 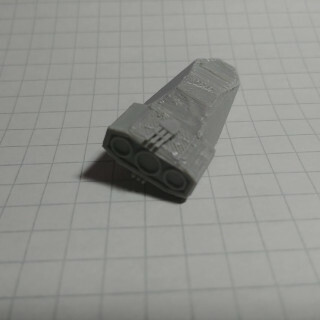 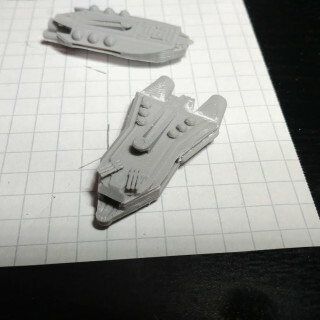 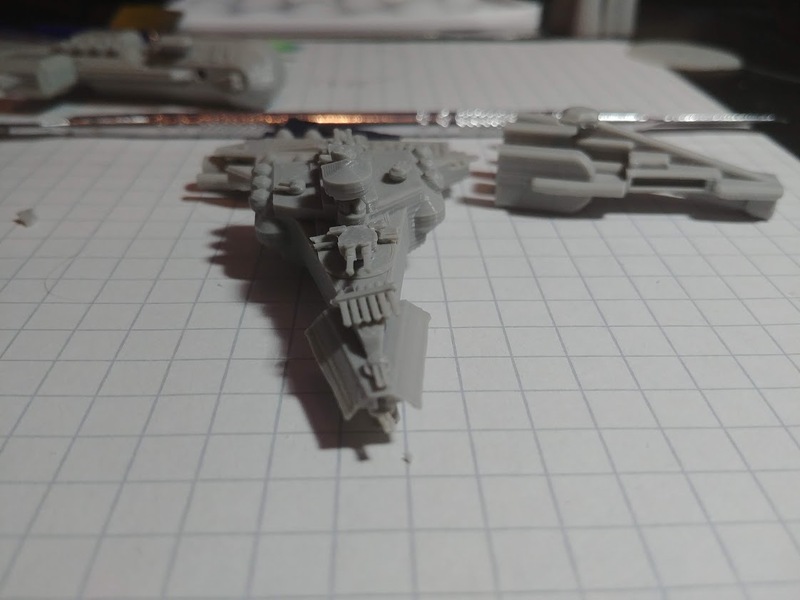 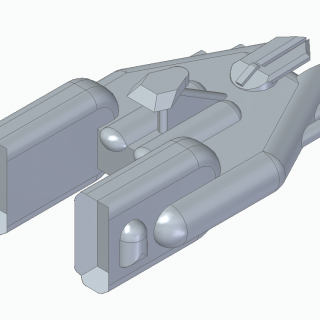 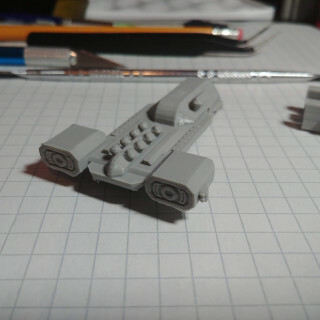 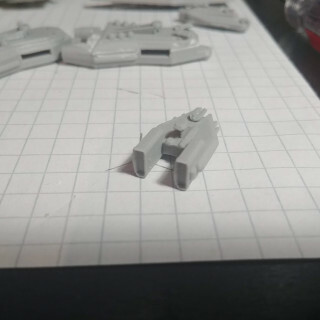 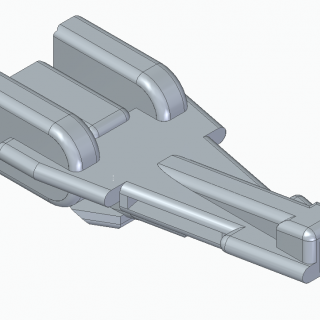 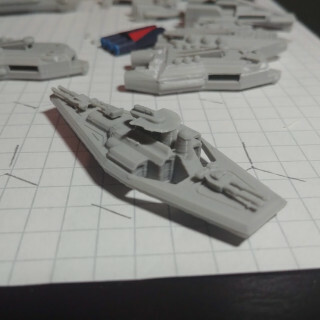 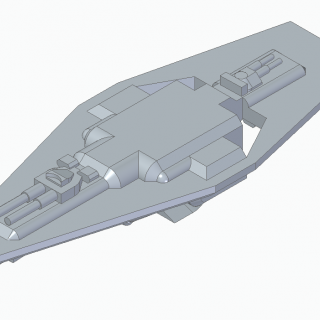 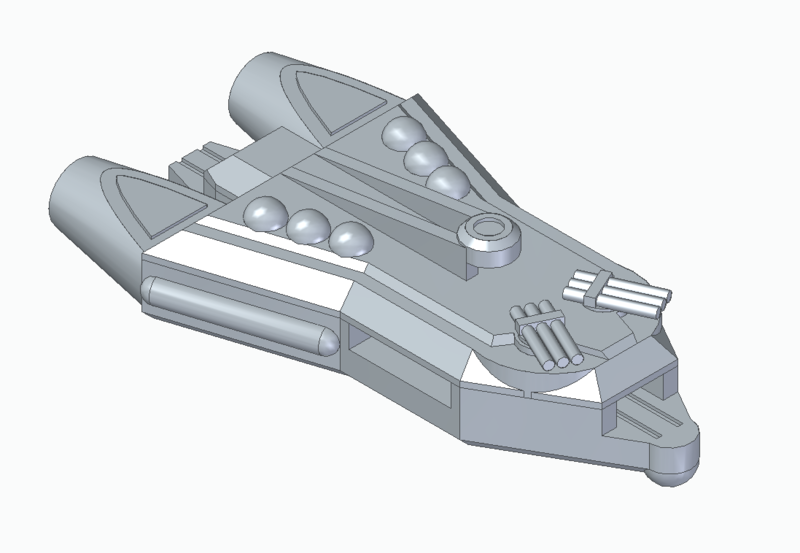 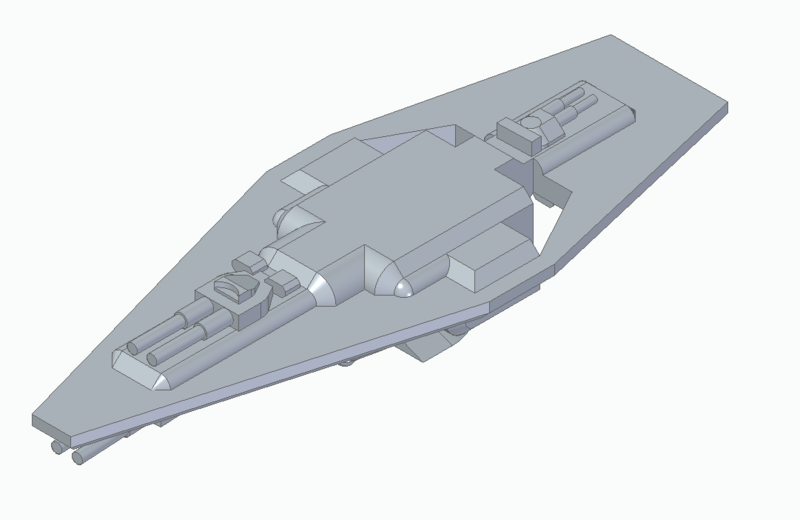 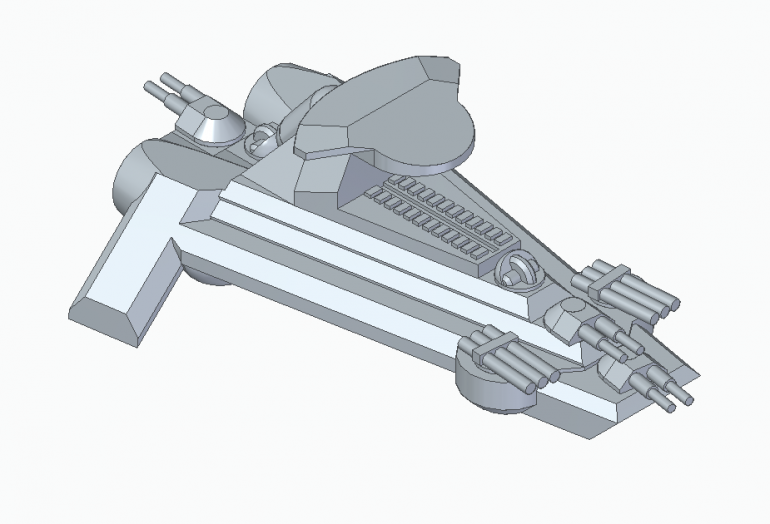 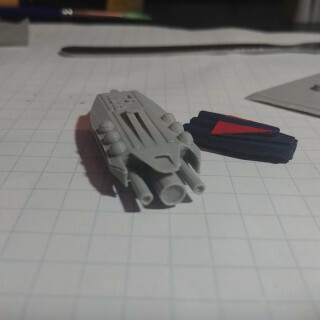 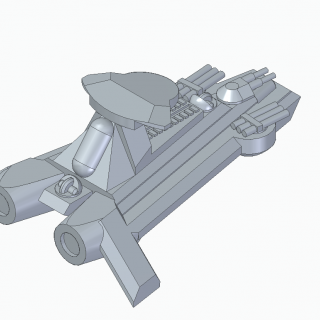 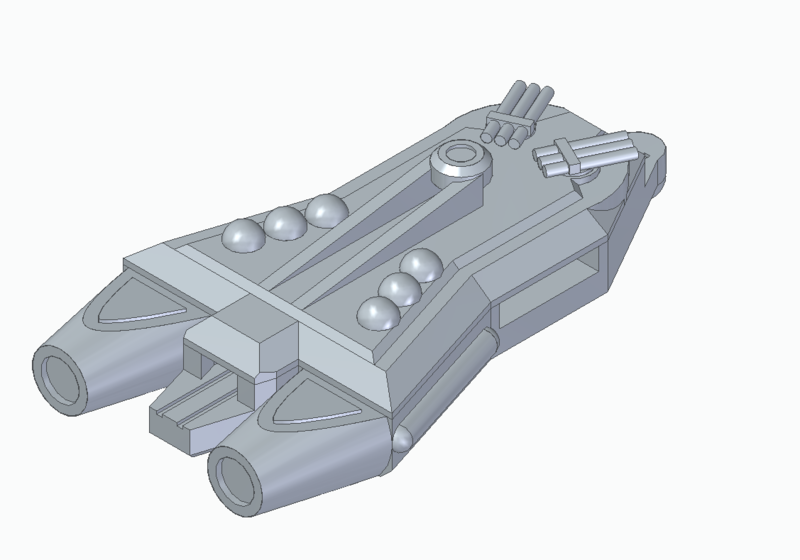 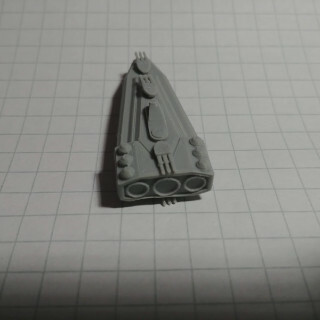 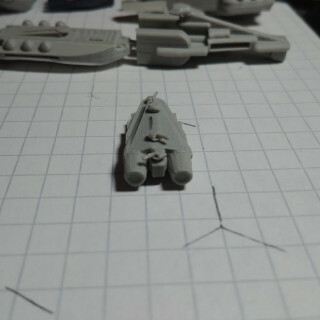 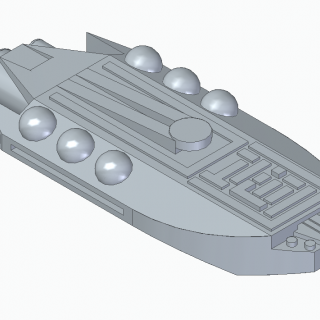 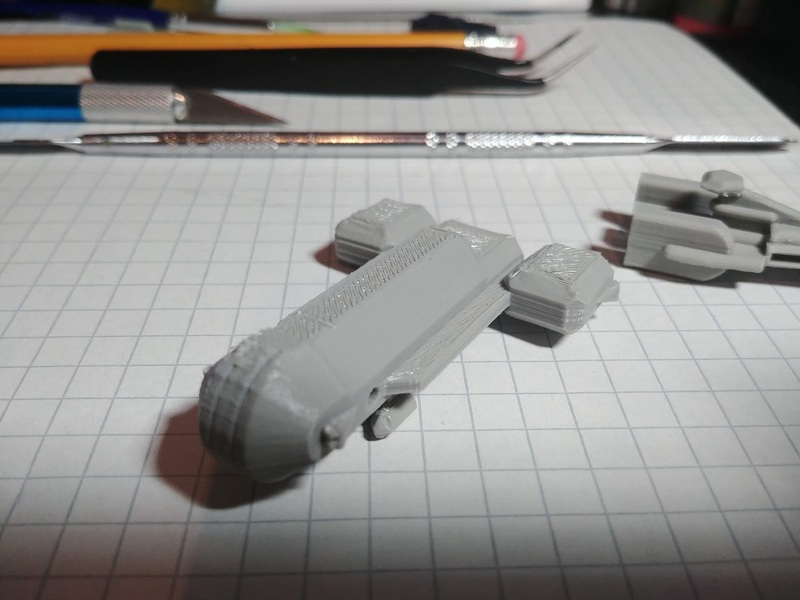 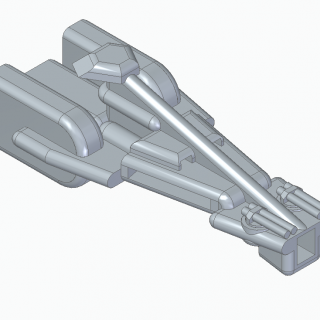 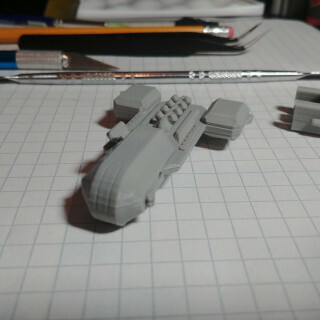 3D models and Prints of Ships for Darkstar. 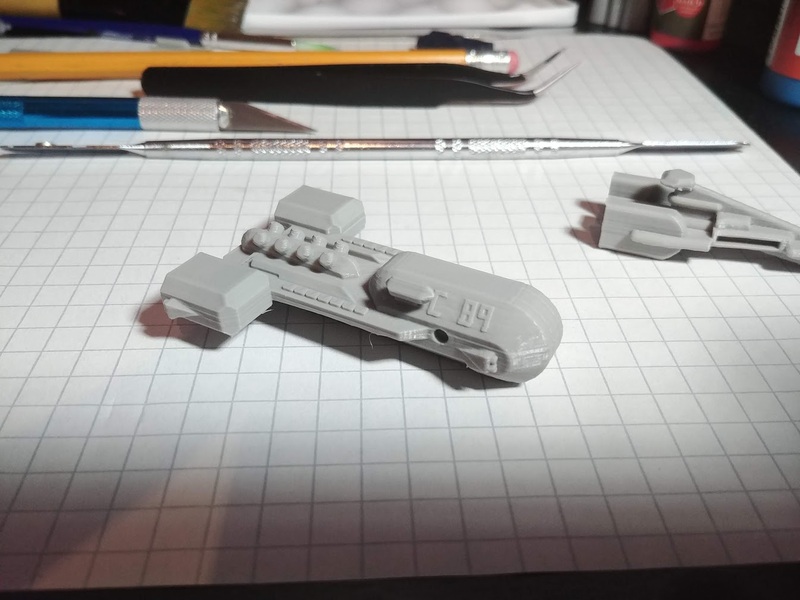 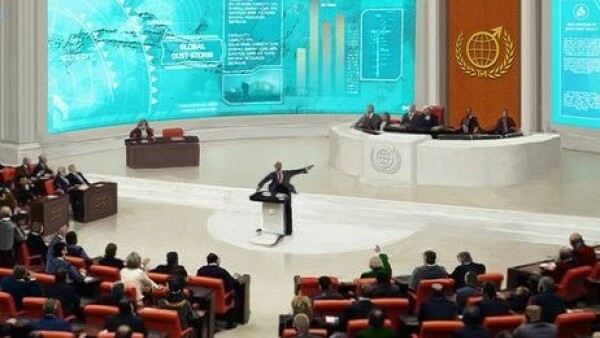 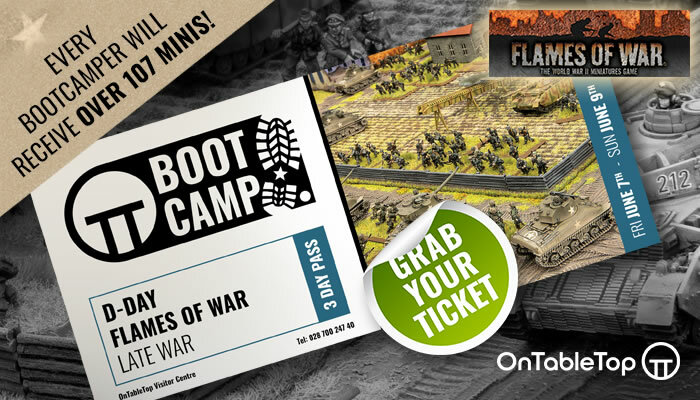 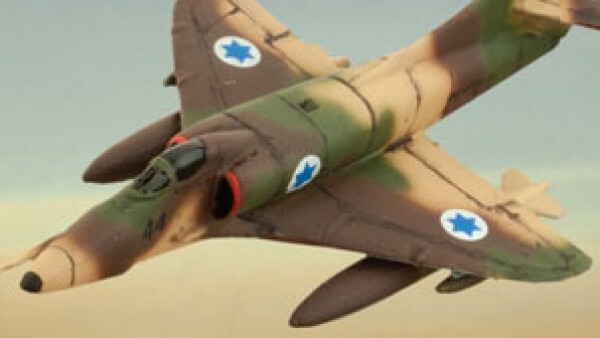 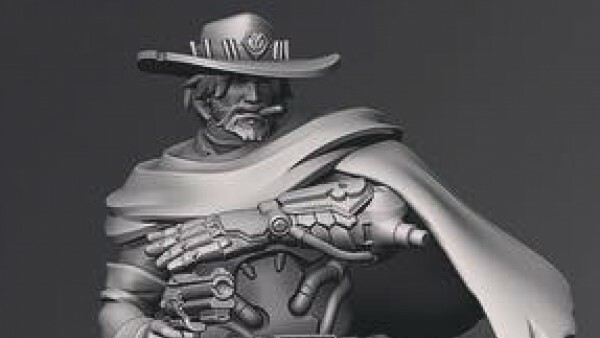 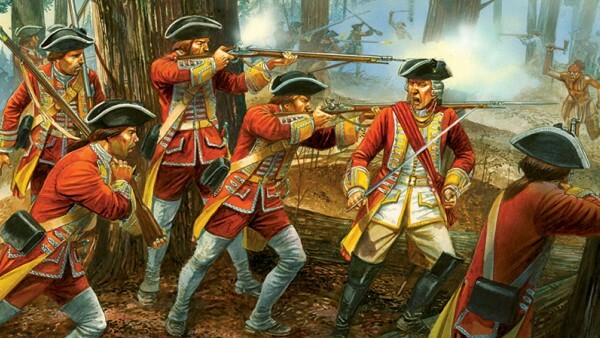 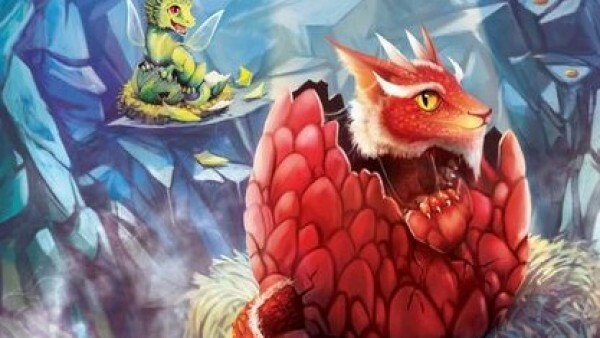 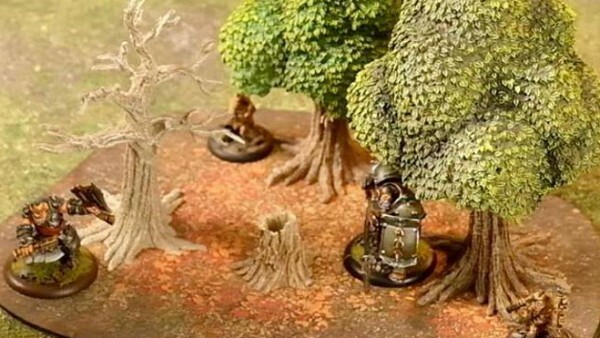 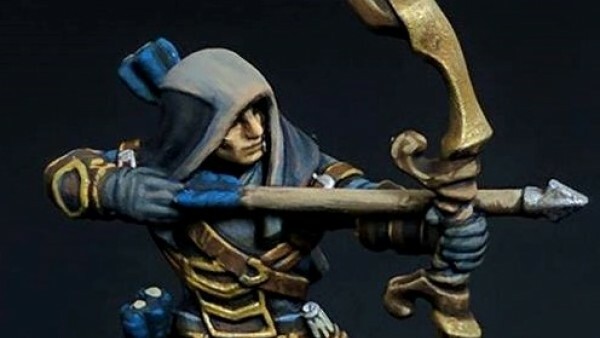 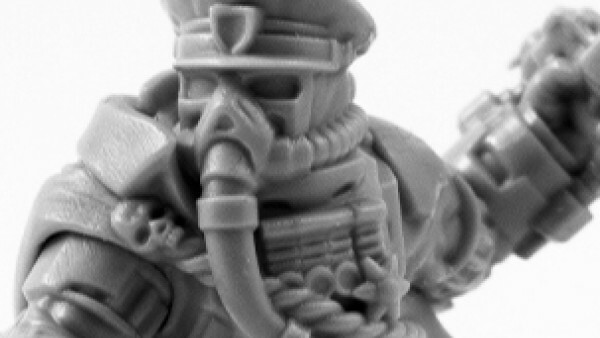 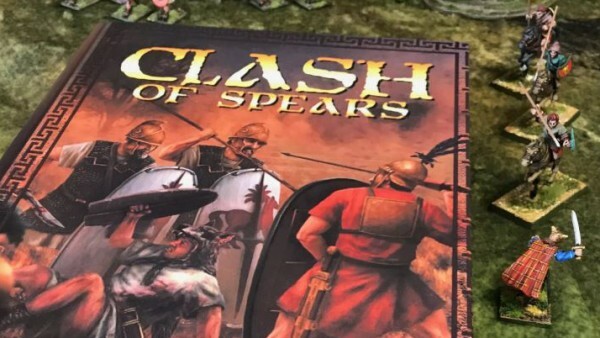 with rules coming soon I have decided to start making some models to use on the tabletop although unlikely to reach the 300 unique designs that may exist in the game. 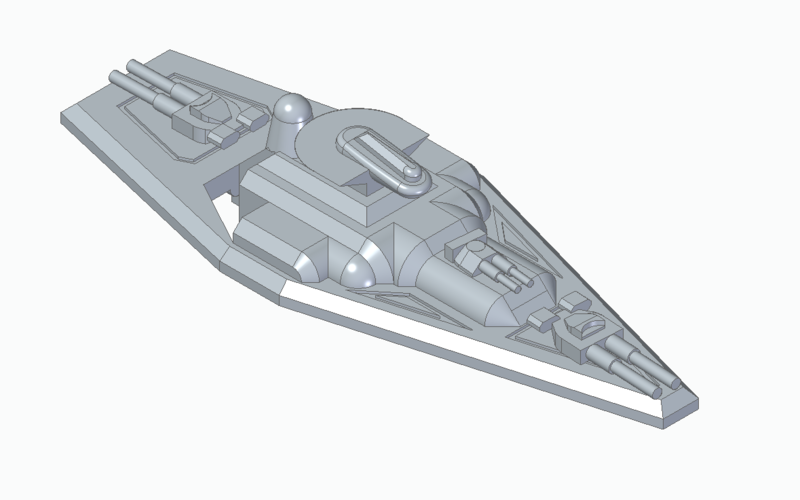 With the Darkstar rule book released im going to start working through more ship models. 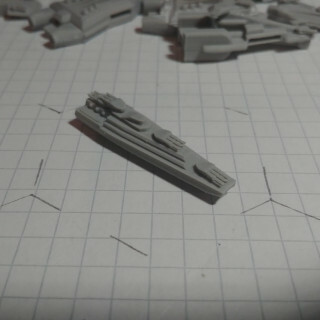 I am no longer super busy with other things and can finish off some more ships quickly starting with the missing ships from the lets play. 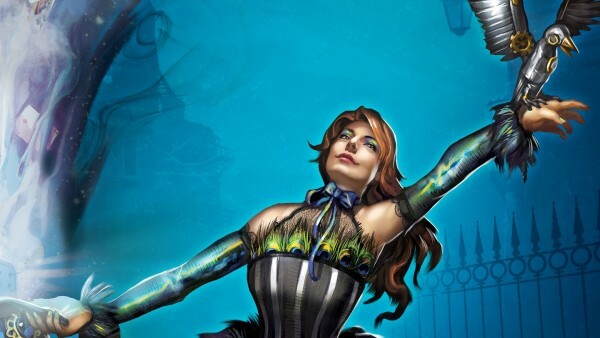 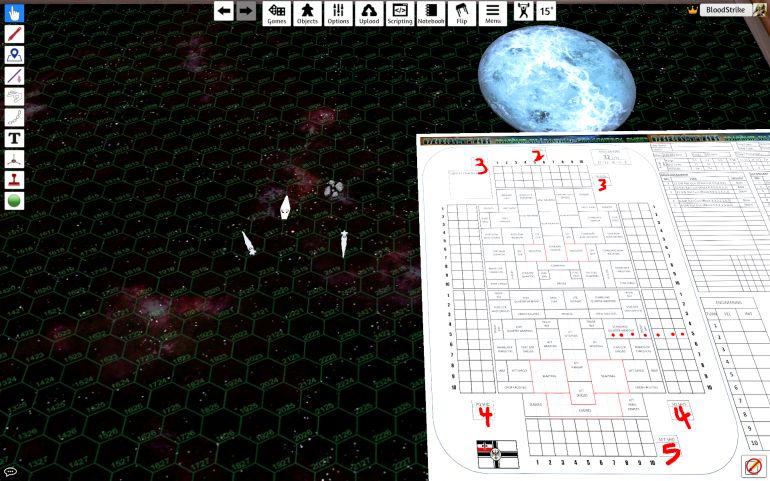 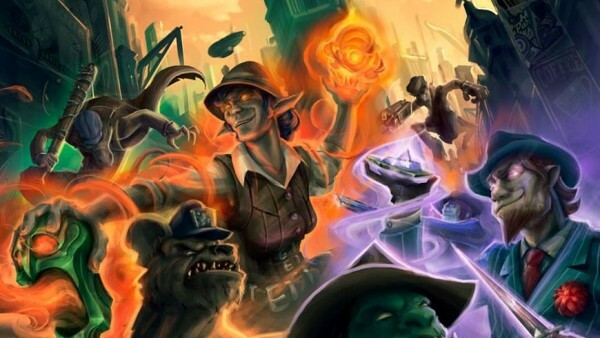 Also started trying to see if I could get Darkstar working in Tabletop simulator which looks possible. 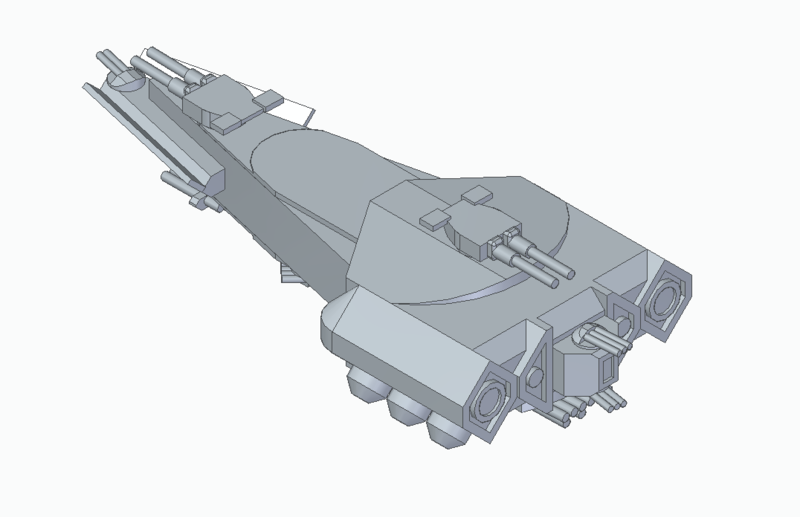 Finished Bulking up the Indomitable class, it still have the same general look to it while being now slightly larger then the Falklands class, flipped one of the rear guns to the bottom while i was redesigning so the aft section does not look as crowded as before. 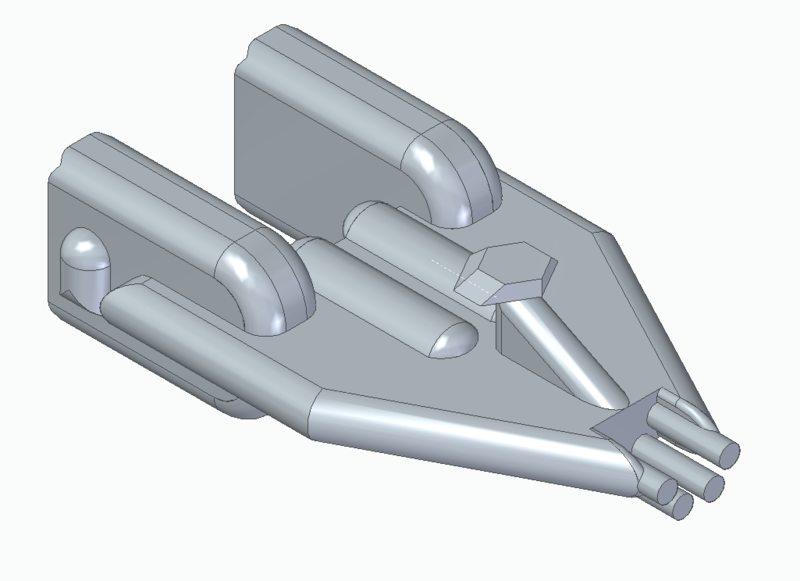 All Ships now now have weapon hard points with all main battery weapons swap-able. 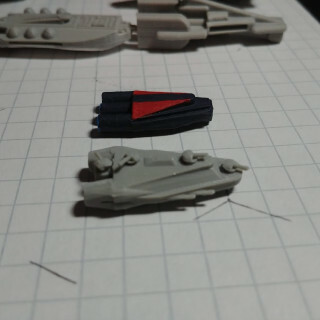 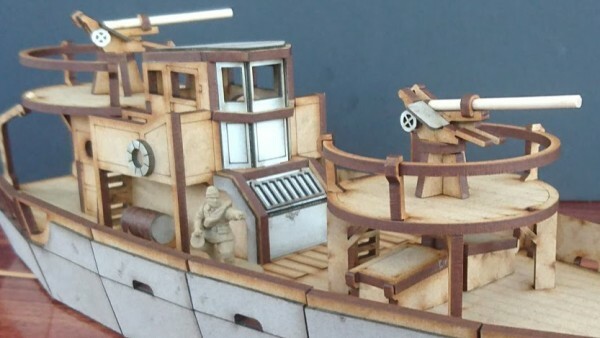 Very minor changes were needed for these last two Japanese ships as both looked good and printed without issue. 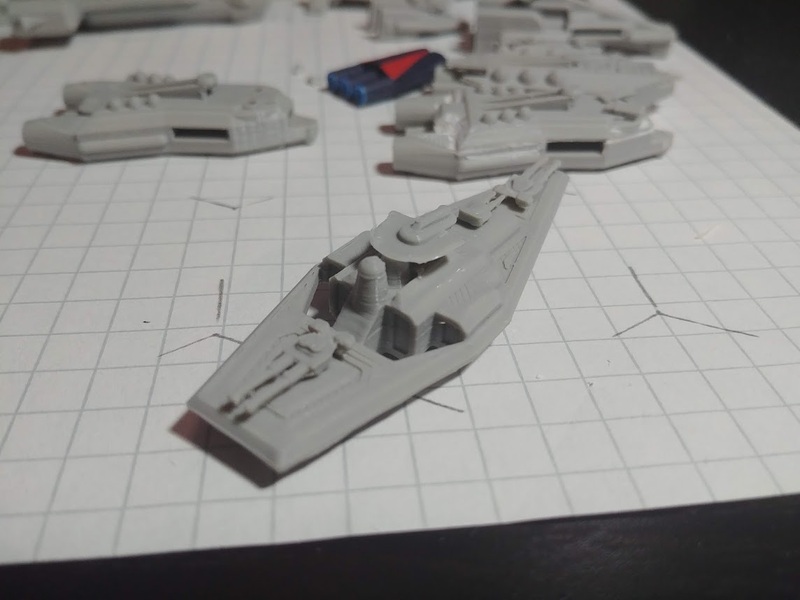 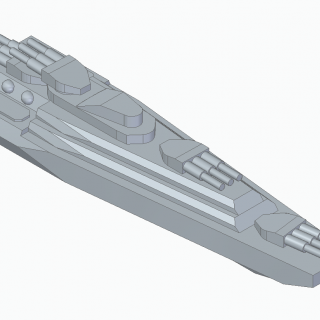 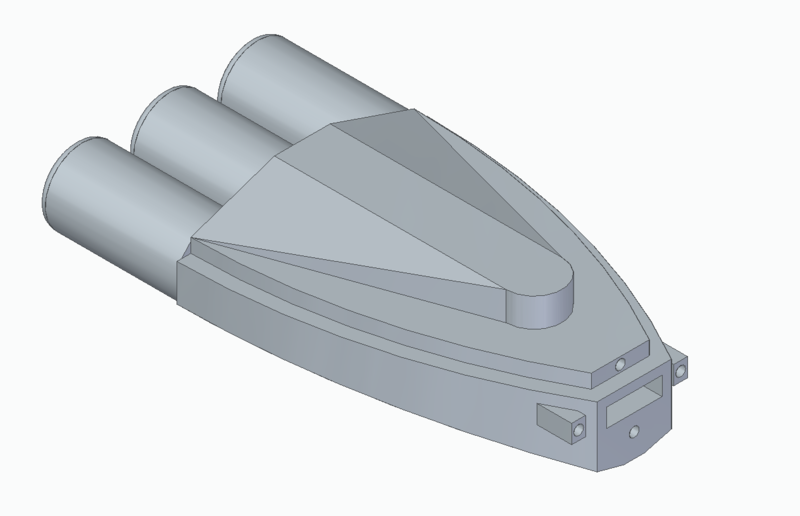 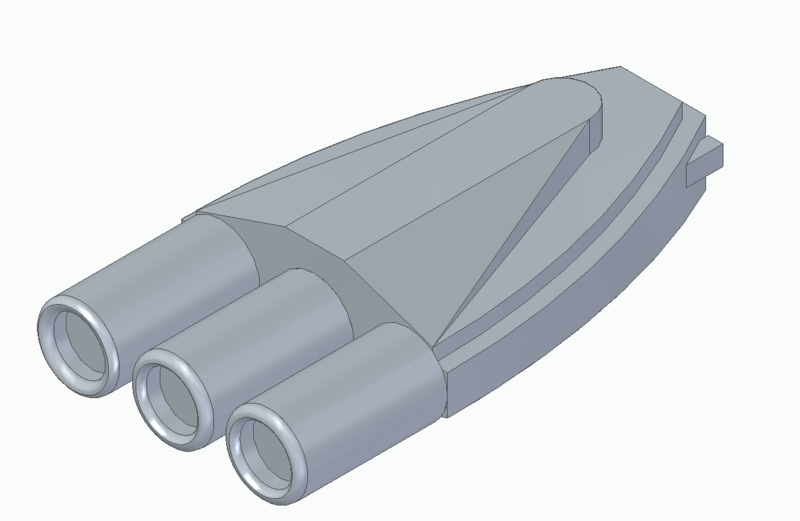 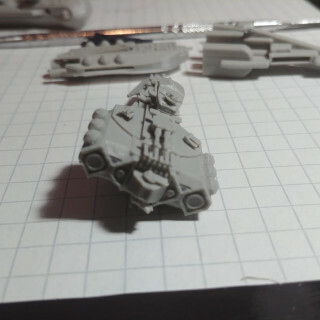 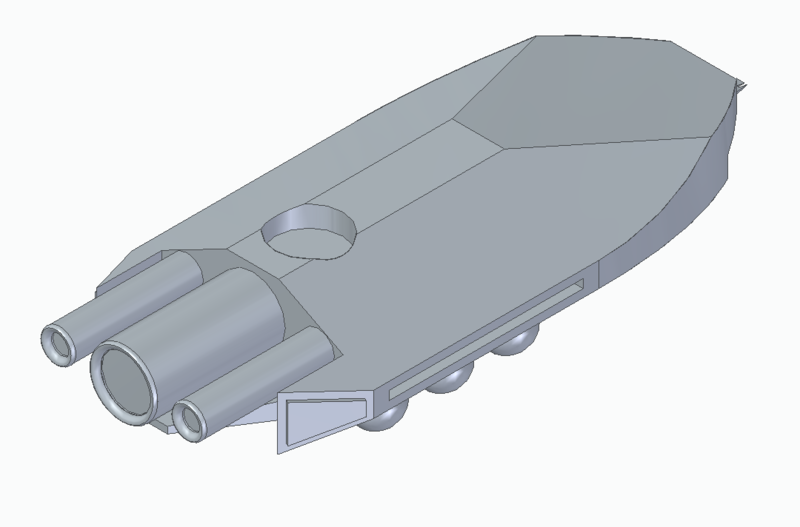 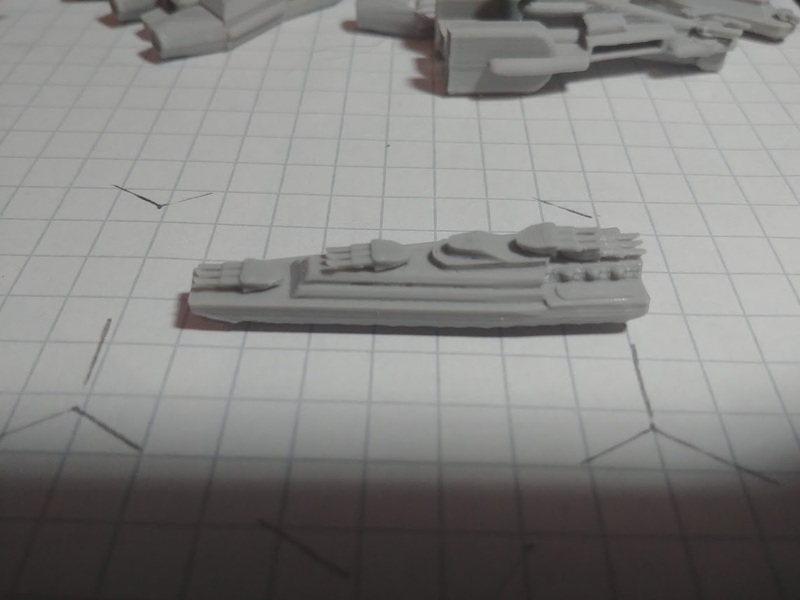 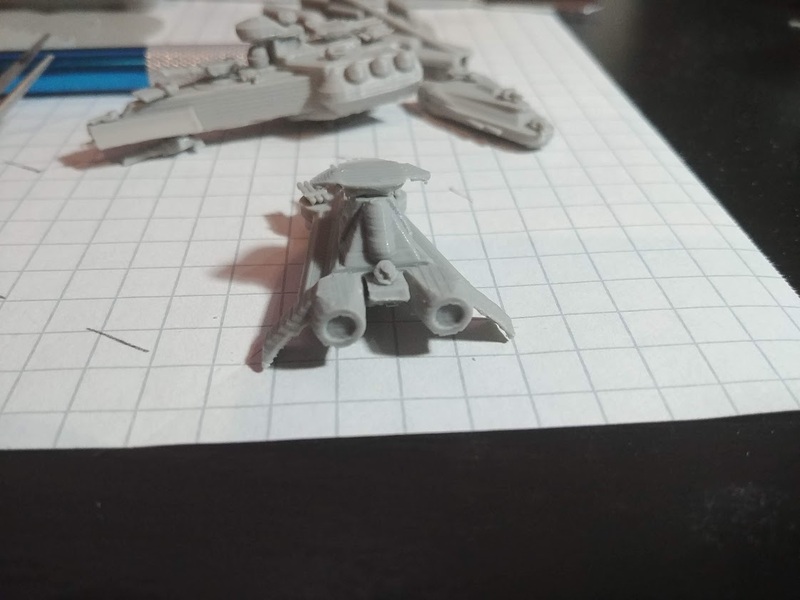 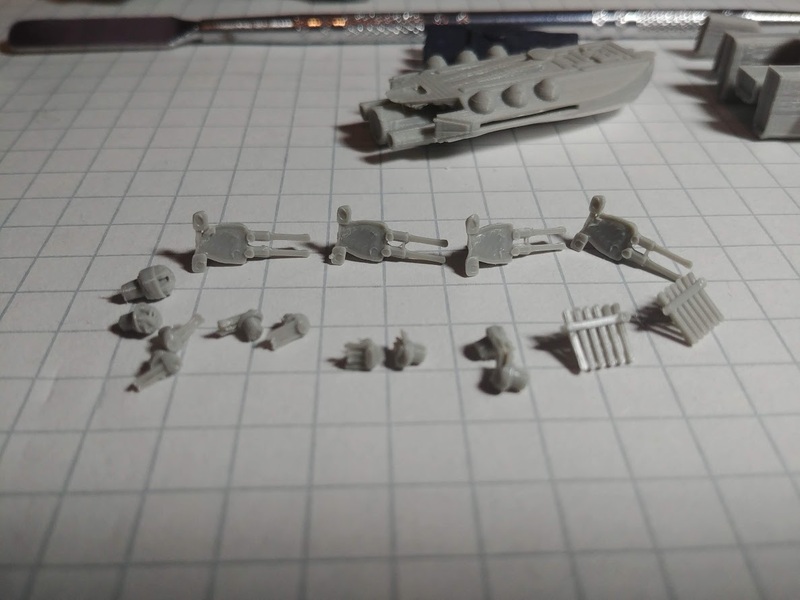 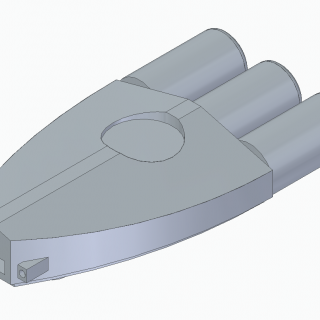 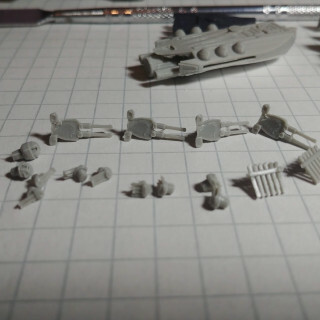 Very happy with the way the Sharnhorst turned out designed it slightly smaller then what I plan on building the full size battleships at 2.5″, full size BB’s I am aiming at 2.75″. 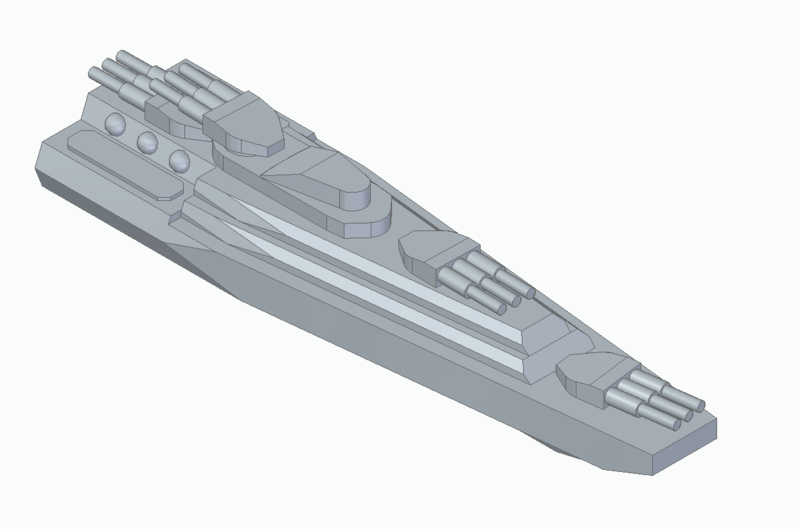 The size leaves room for an eventual refit similar to what the WW2 Gneisenau was going to receive which will lengthen the ship to a full size BB and increase the main battery size. 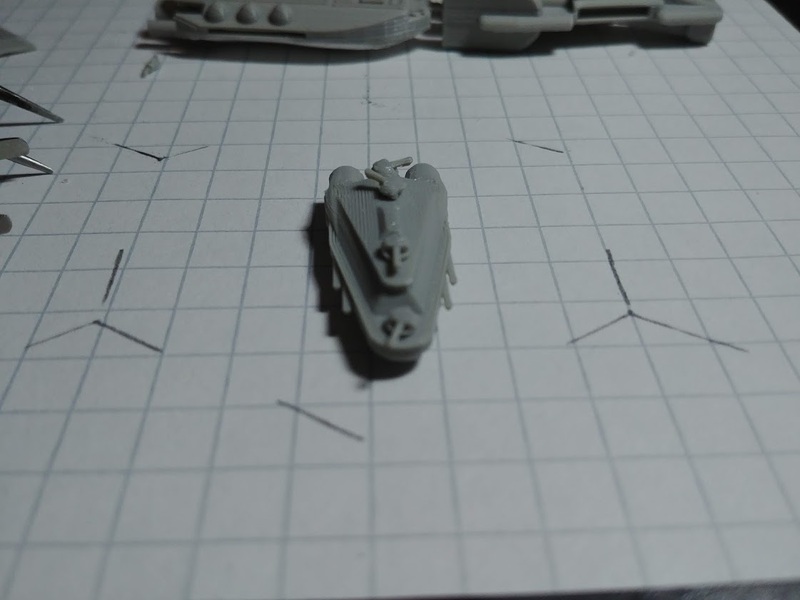 Endeavor completed with hanger spaces visible and torpedo mounts. 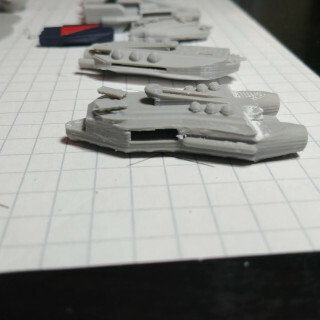 splitting the model in two did improve the hanger walls however leaves a gap that required putty to clean up. 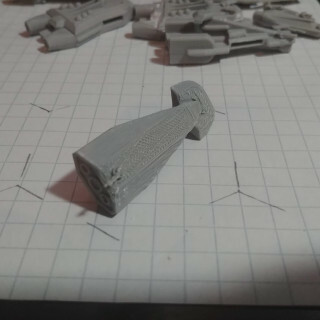 Currently printing a second model as a solid piece to compare. 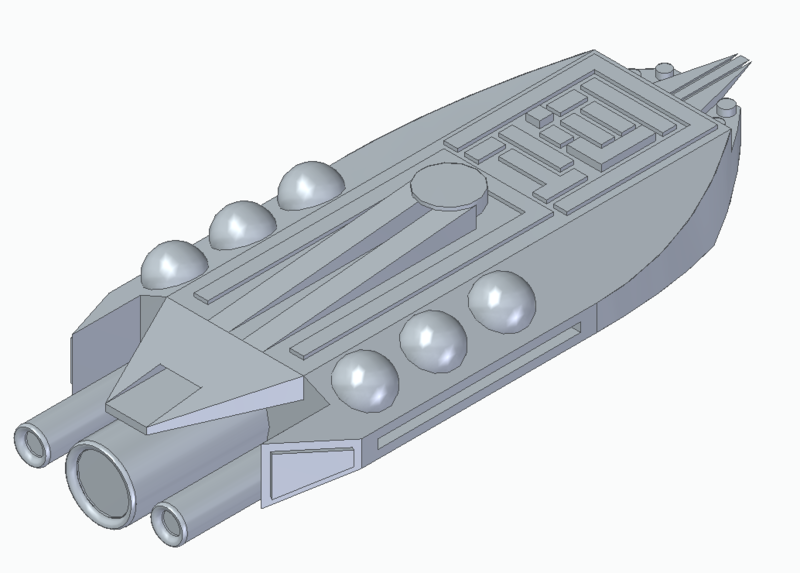 May still return to this to get a blend of the two designs and try and get rotating torpedoes inside the hull instead of on top. 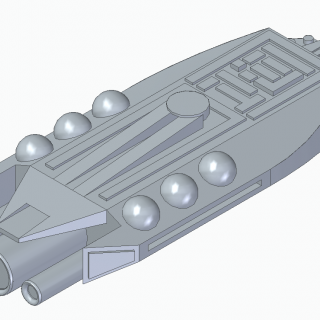 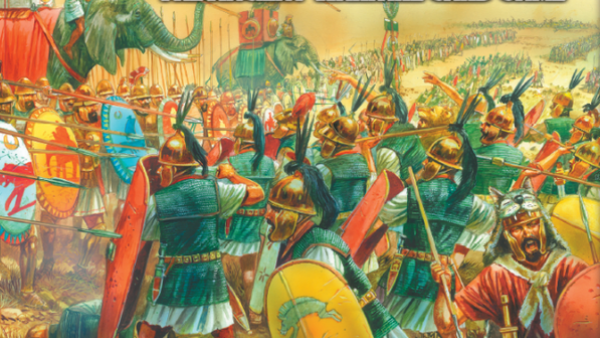 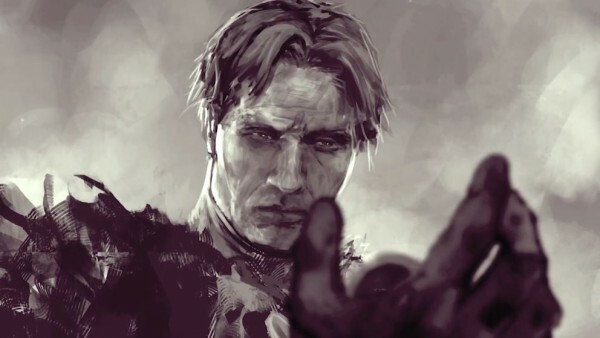 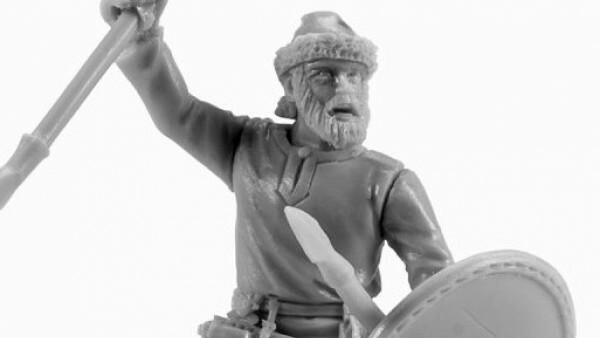 Up next is Sharnhorst no preview at this time still debating on how the Germanic ships will look at this point. 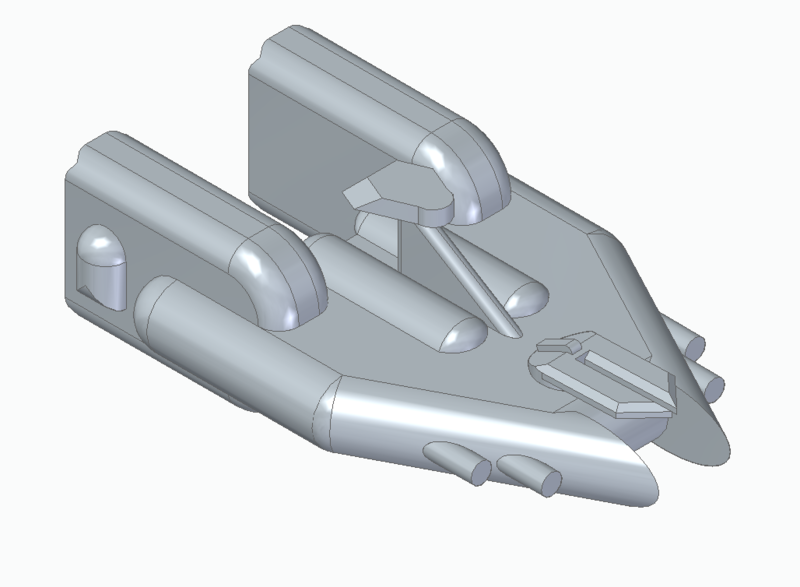 going to need to start organizing all the part files created so far into folders this weekend it is starting to get out of hand dumping everything into my 3D object folder. 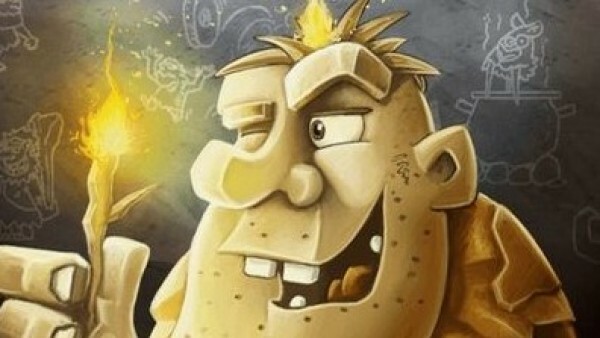 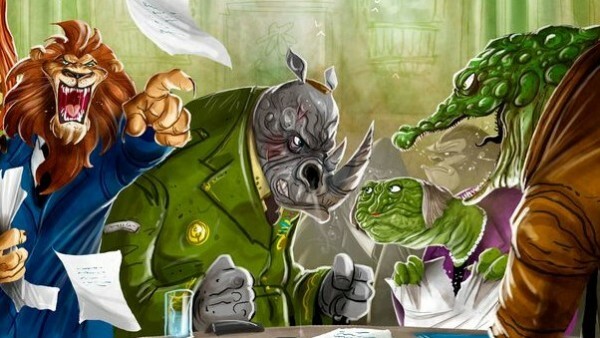 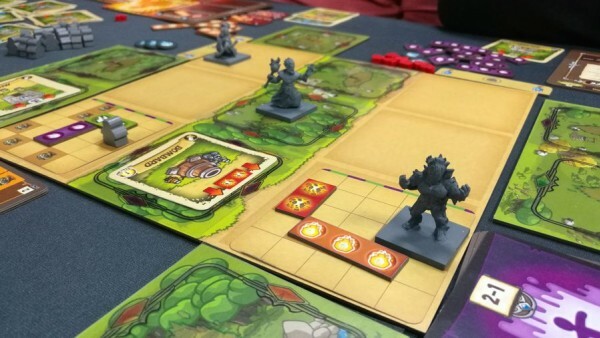 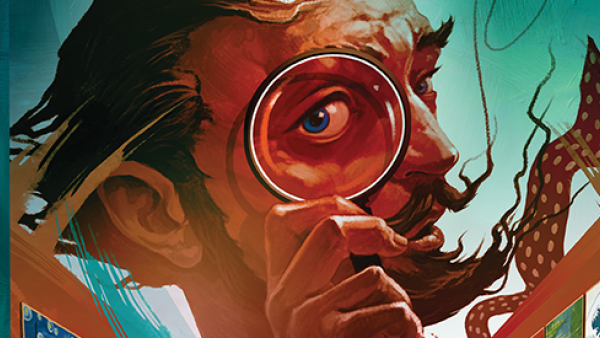 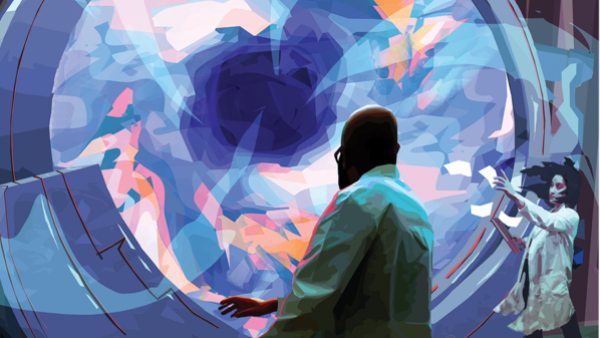 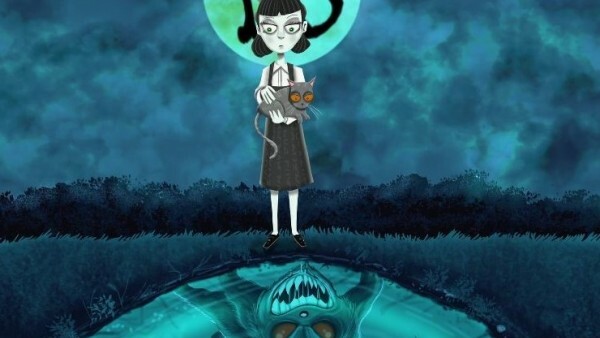 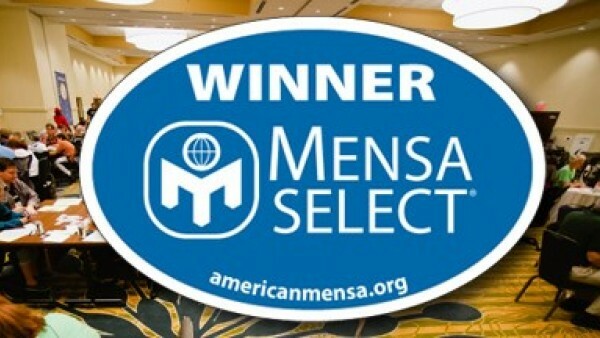 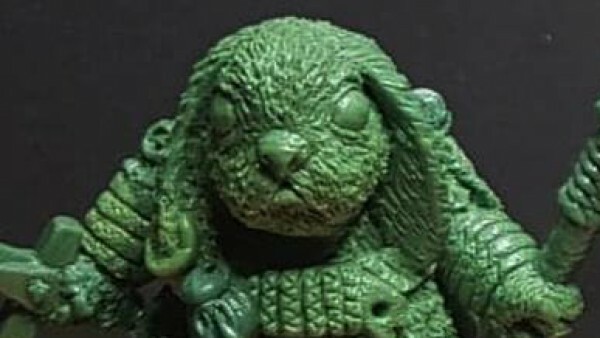 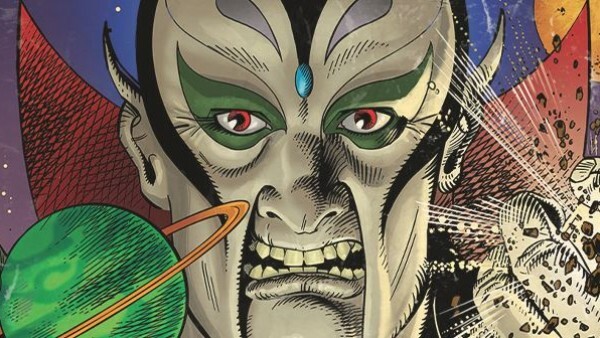 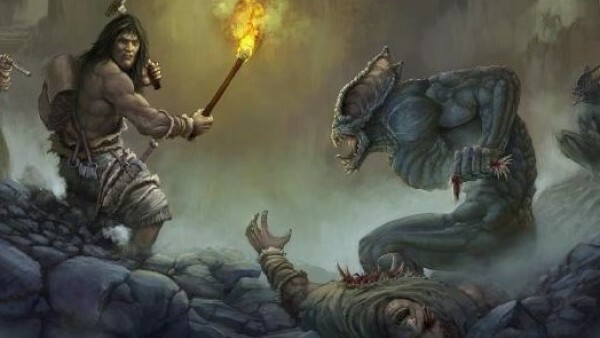 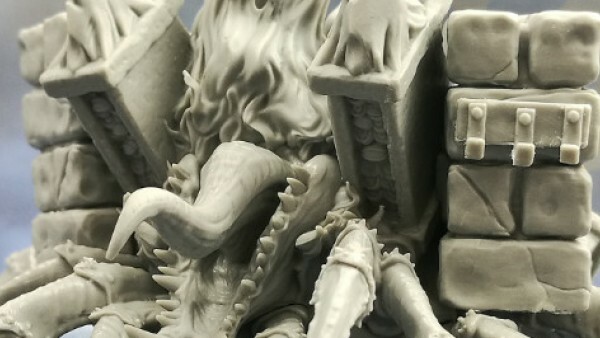 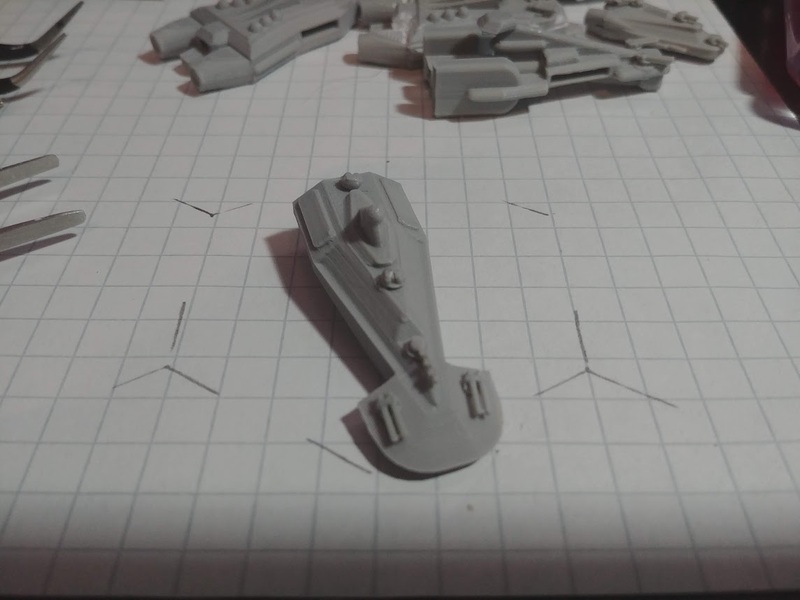 see below for the new Endeavor if it survives printing will have the next update with it tomorrow night. 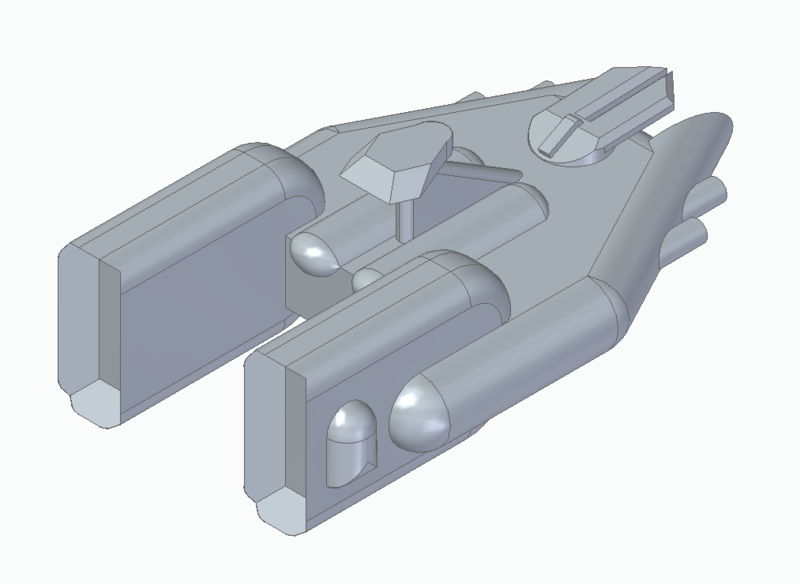 Revisited the Shepard class with added weapon hard points, keep the design fairly close to the original model. 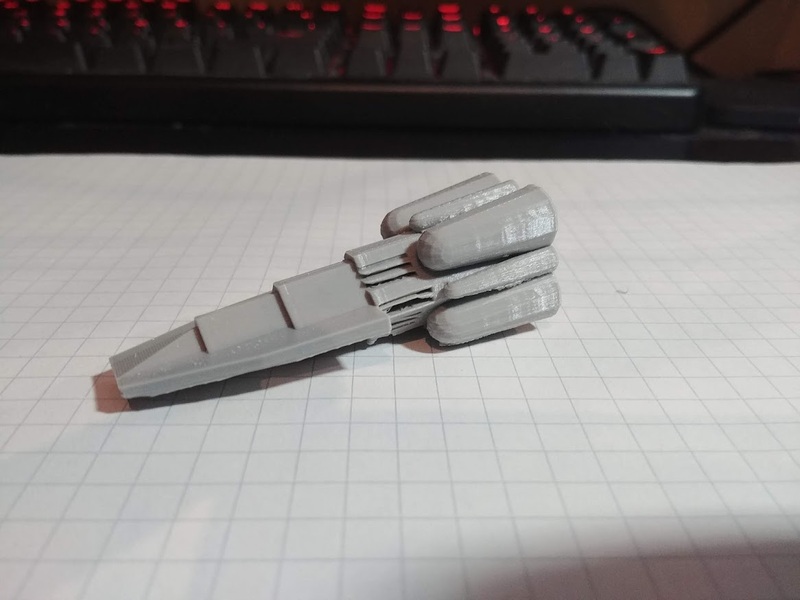 3D print to come later. 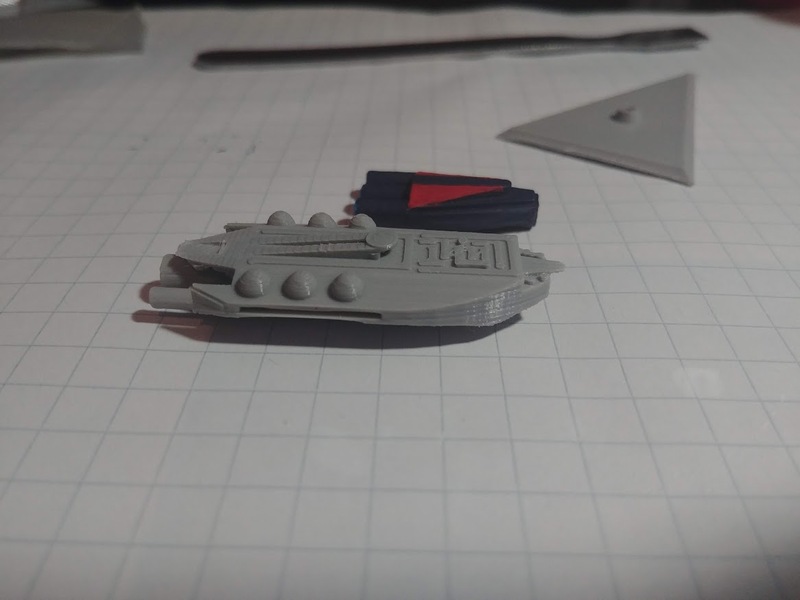 Print completed and added to this update. 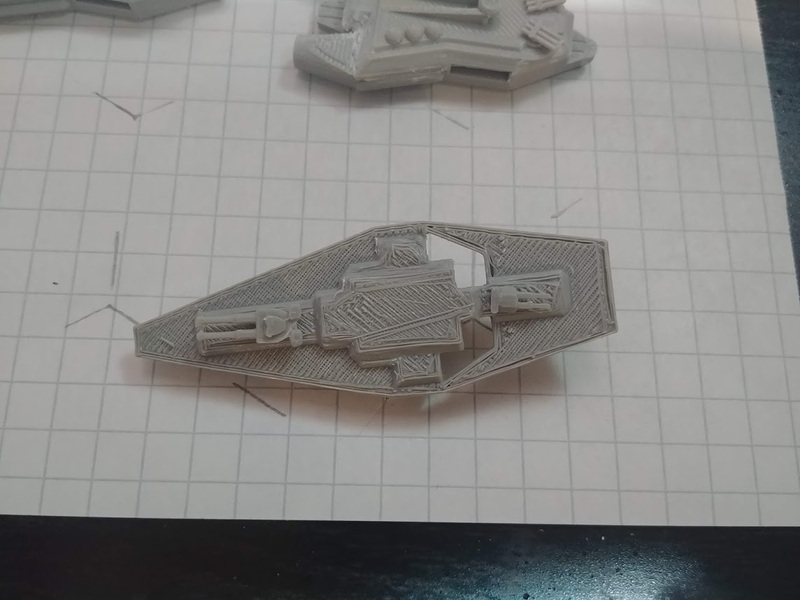 The model turned out OK, going to need to adjust the temperature of the printer again, ambient temp here in Canada is getting colder and you can see where the filament did not bind together correctly in parts of this print which should be solved by bringing the temperature up slightly. 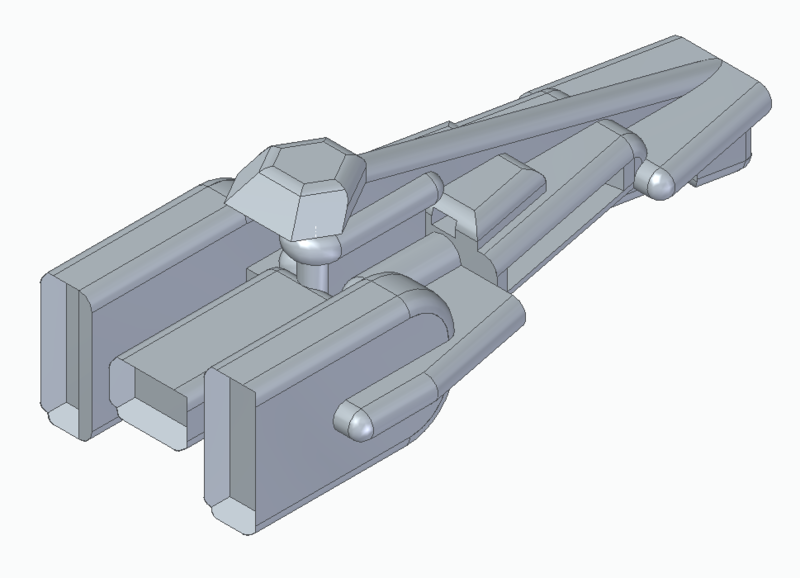 3 Ships still left to bring into the new design of modular weapons. 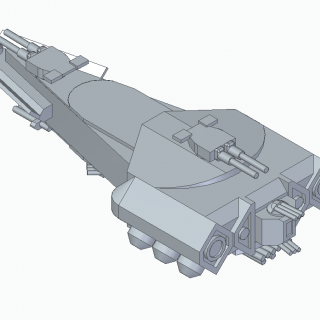 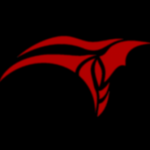 going forward I am going to try and design a new ship in-between each redesign and try and fill in missing ship classes by going over @oriskany’s project updates and picking out as much as possible. 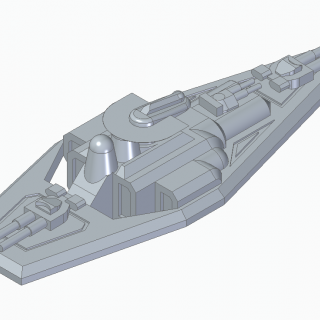 next up is the Valcour Class Destroyer shown below. 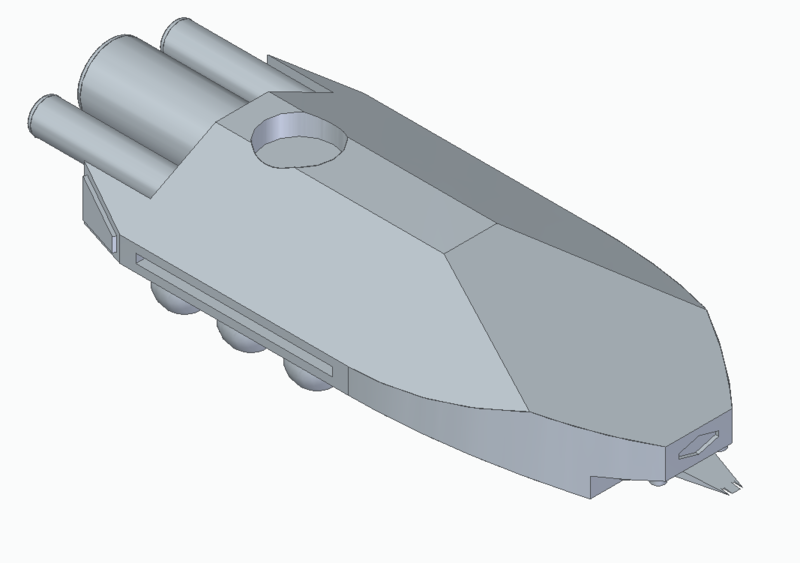 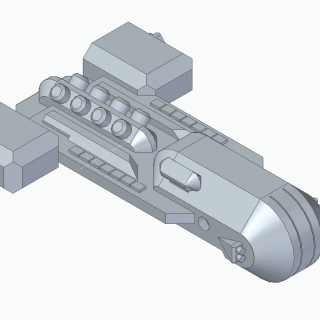 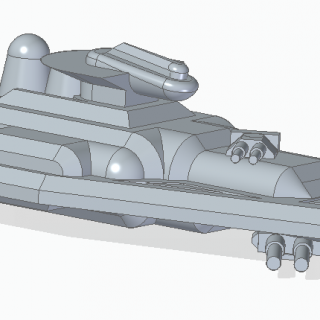 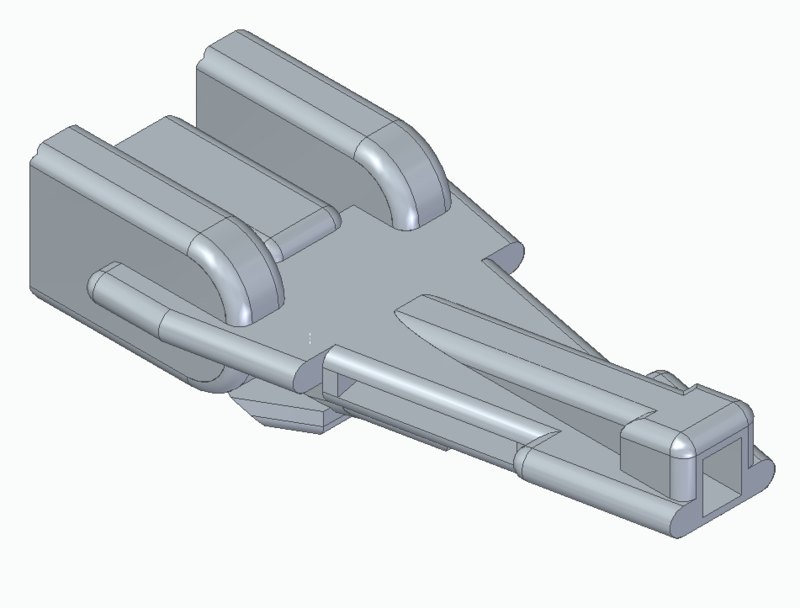 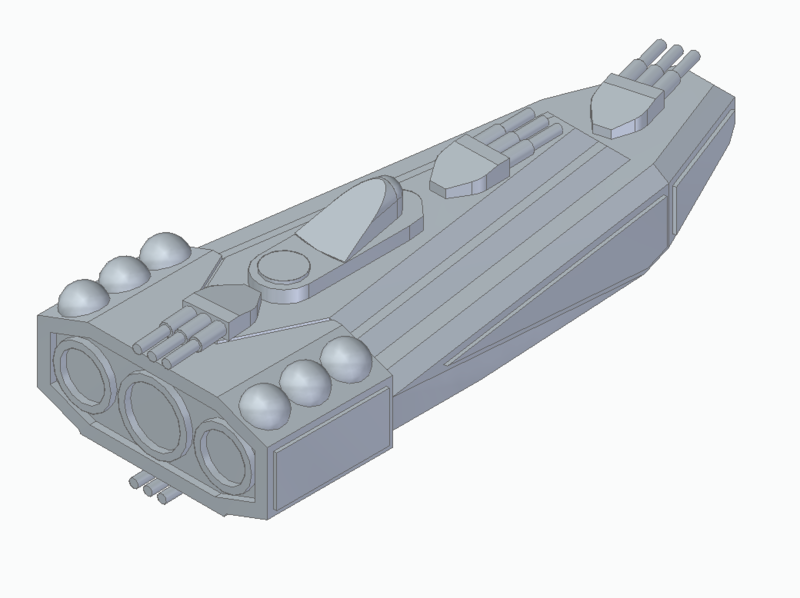 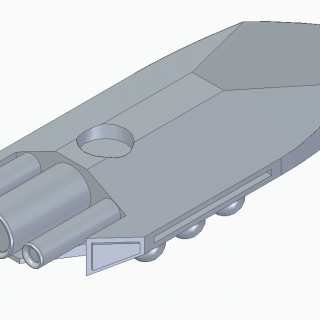 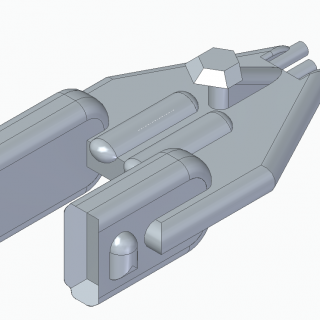 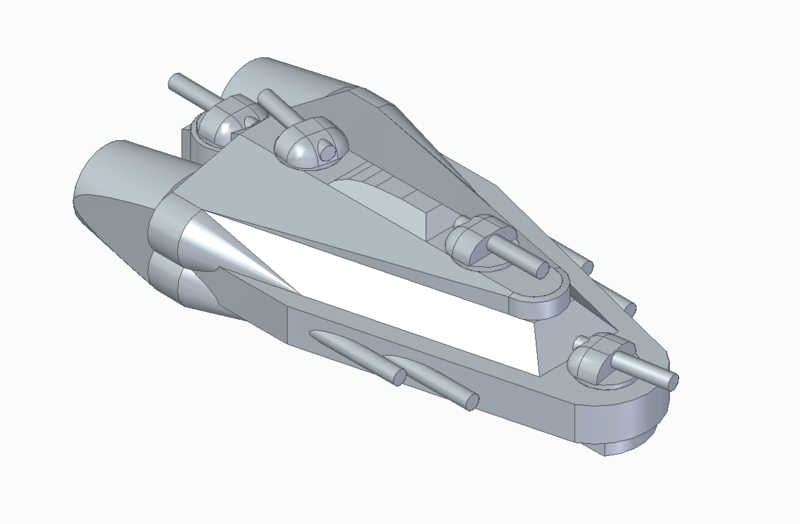 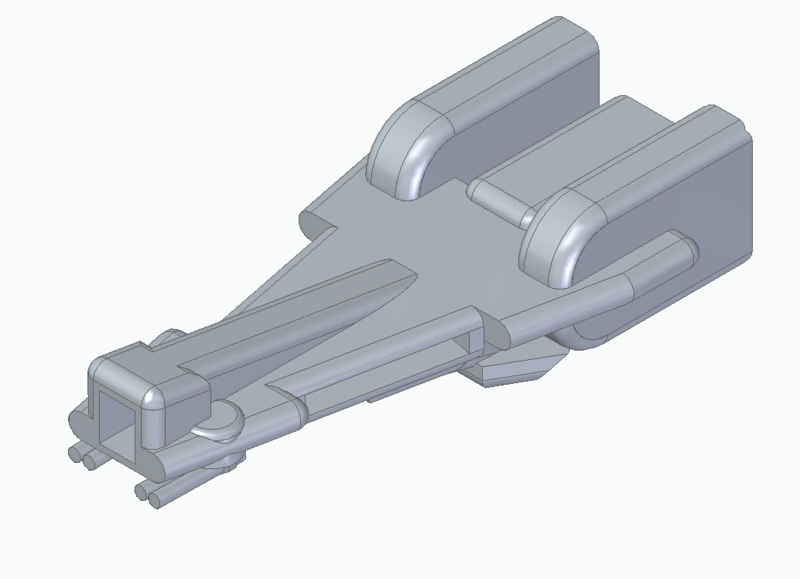 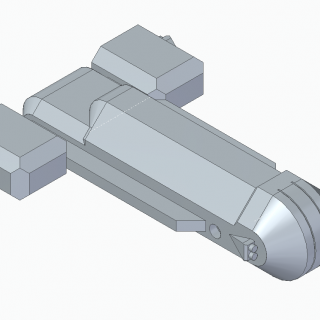 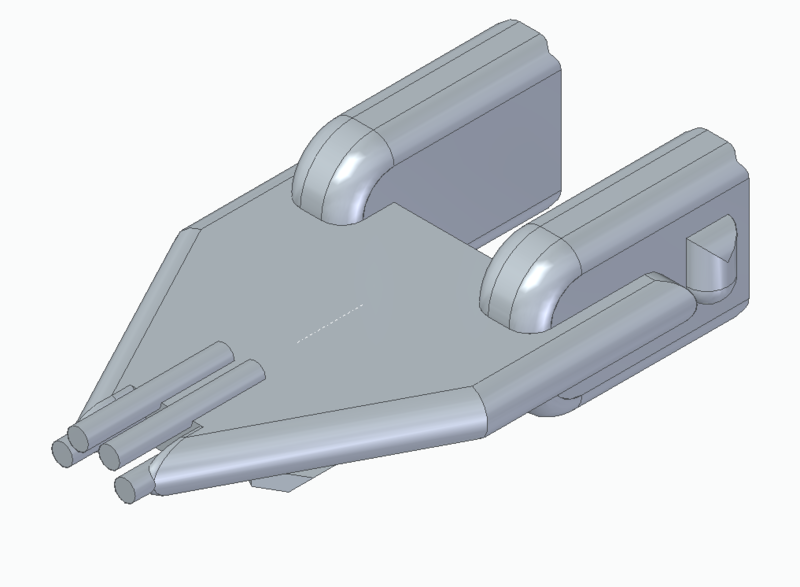 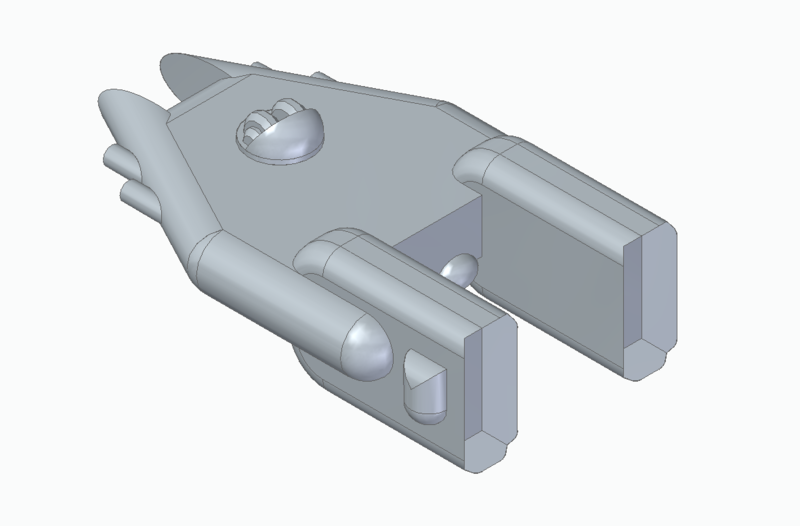 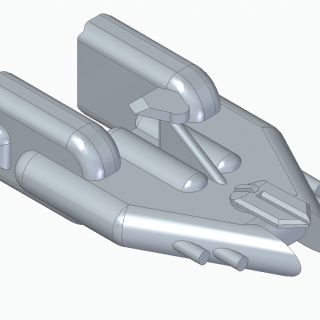 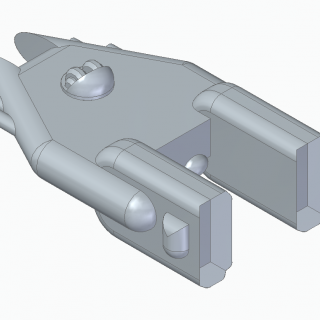 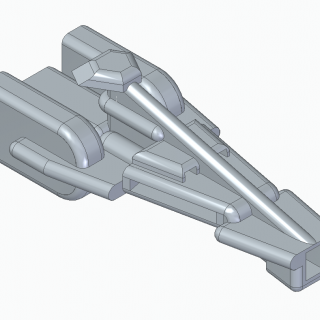 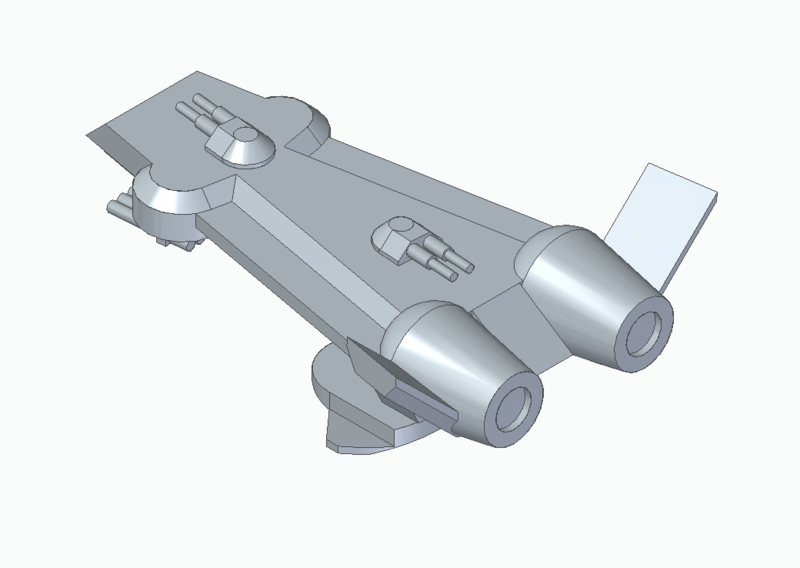 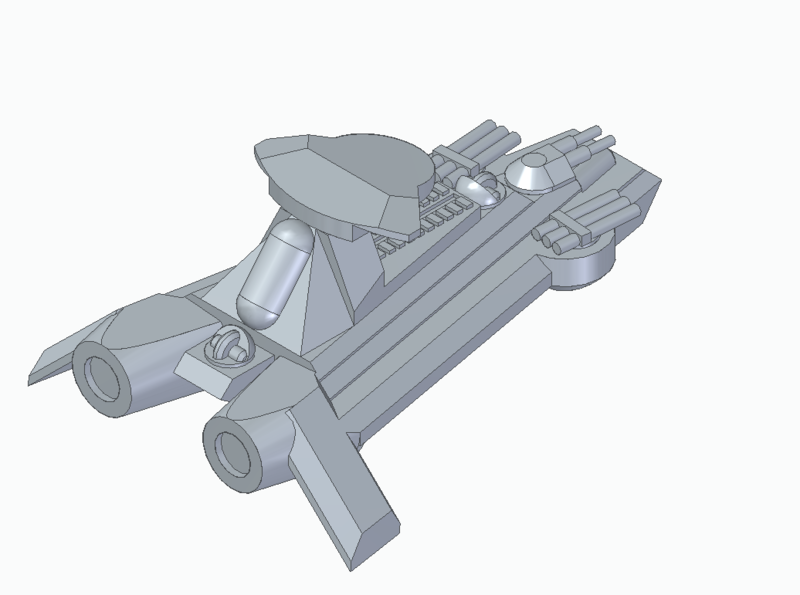 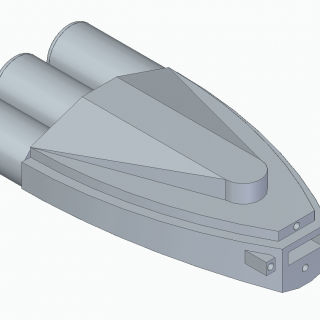 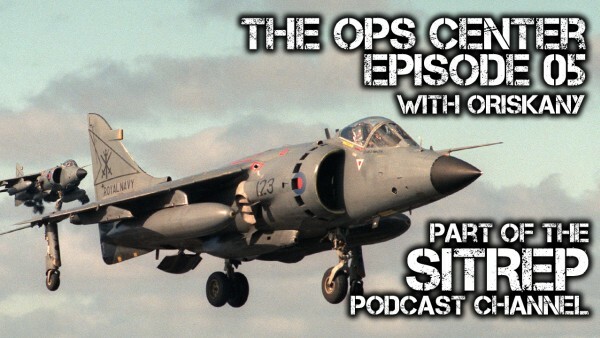 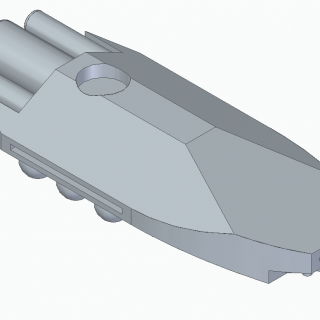 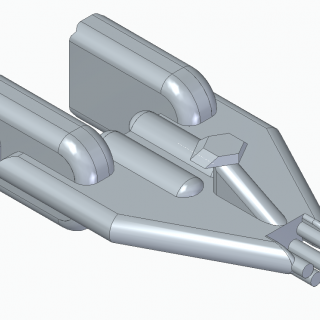 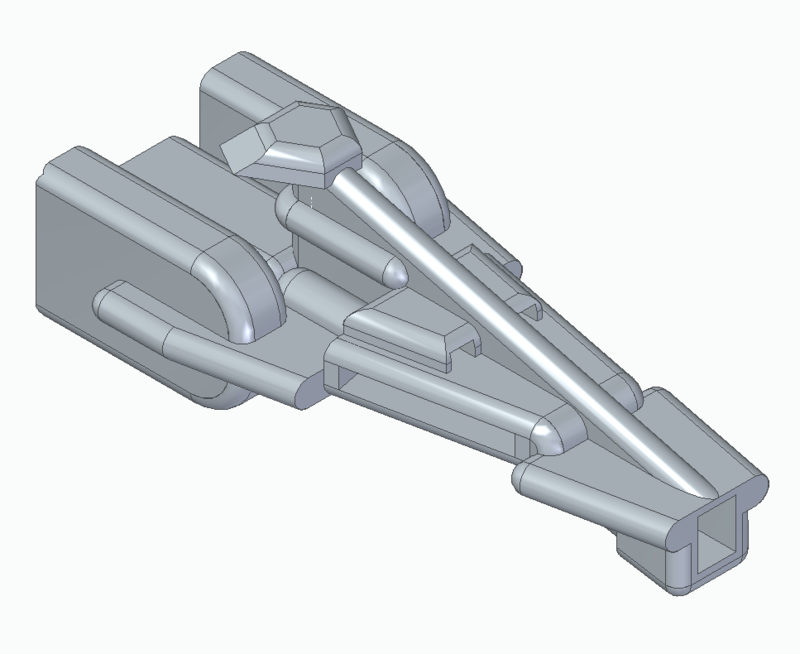 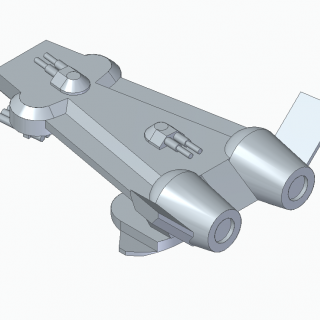 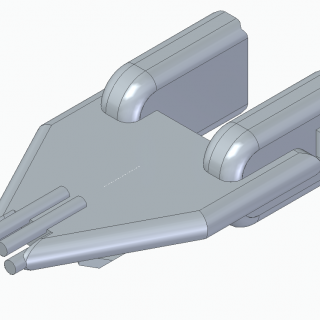 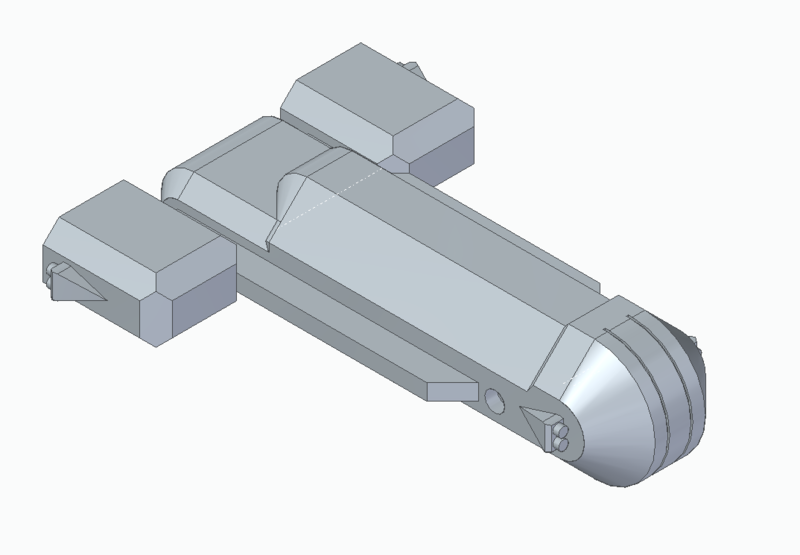 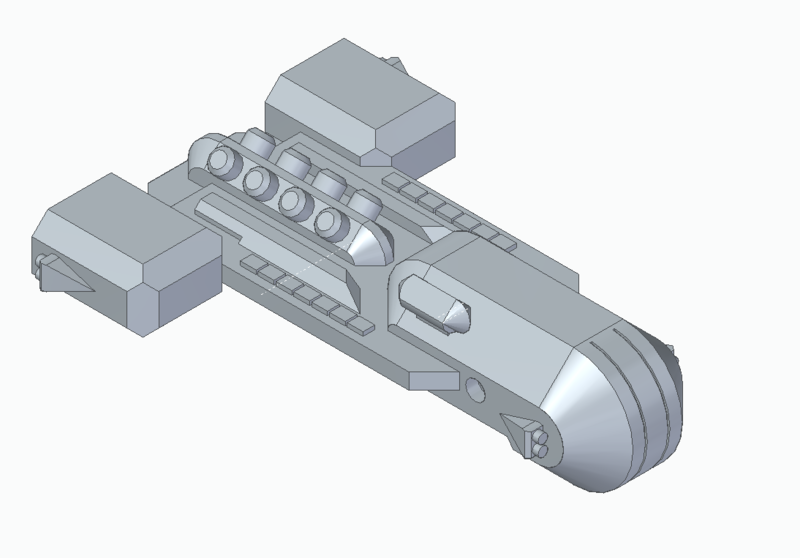 nearly ready to be printed and have its own post although I am considering flipping the rear and front railgun turrets to the underside so they do not hang over the front. 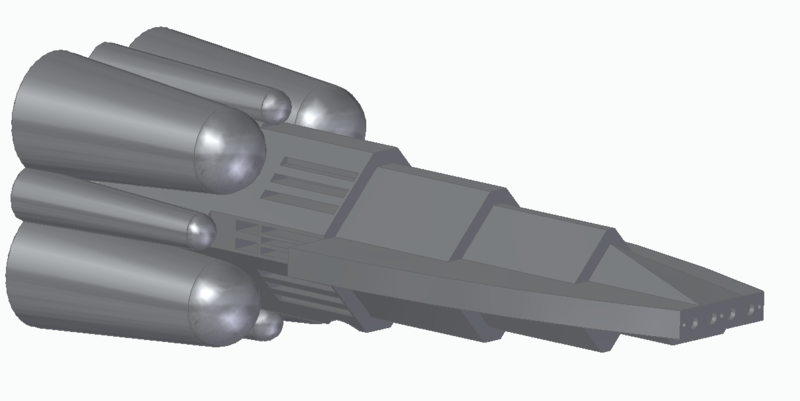 I decided that I wanted to show as many of the weapons as possible on the Ships at least at the Heavy Cruiser and higher level. 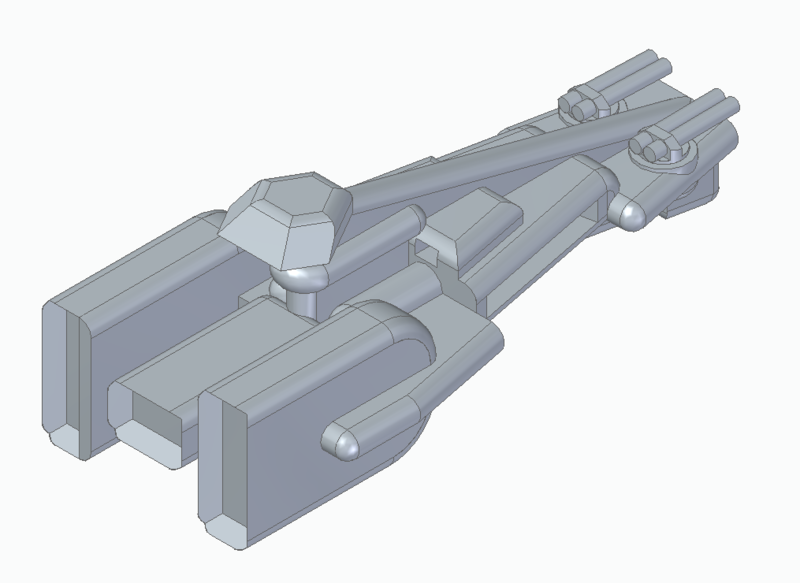 After Designing a turret for the Iron Duke it needed to be radically redesigned to actually fit them. 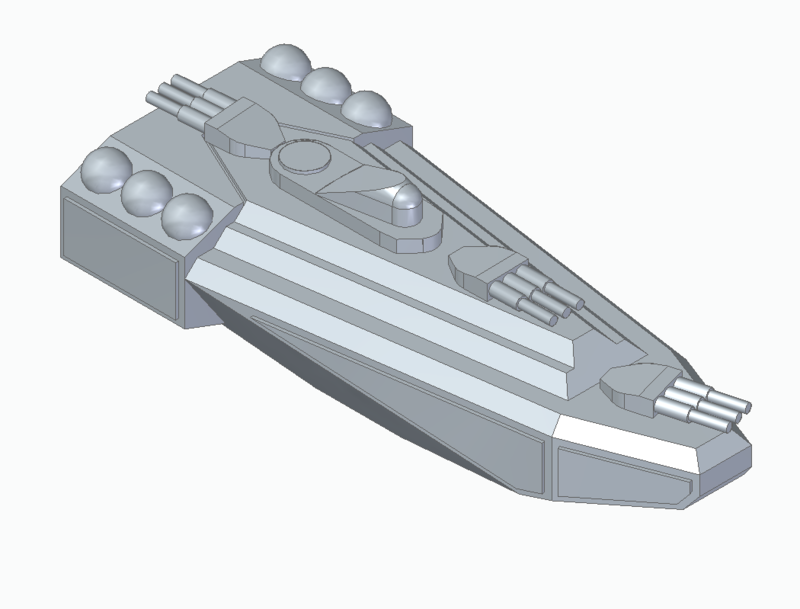 still working on the lasers, auto cannons and torpedoes hopefully it will all fit. 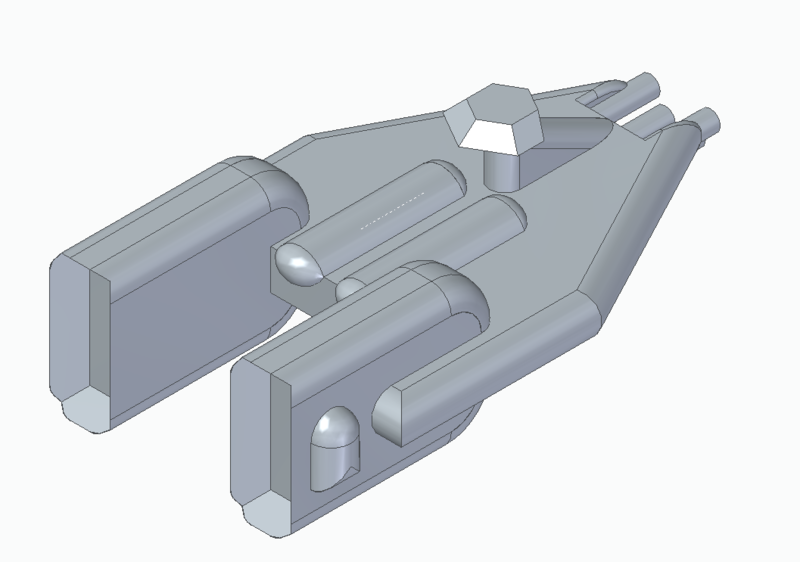 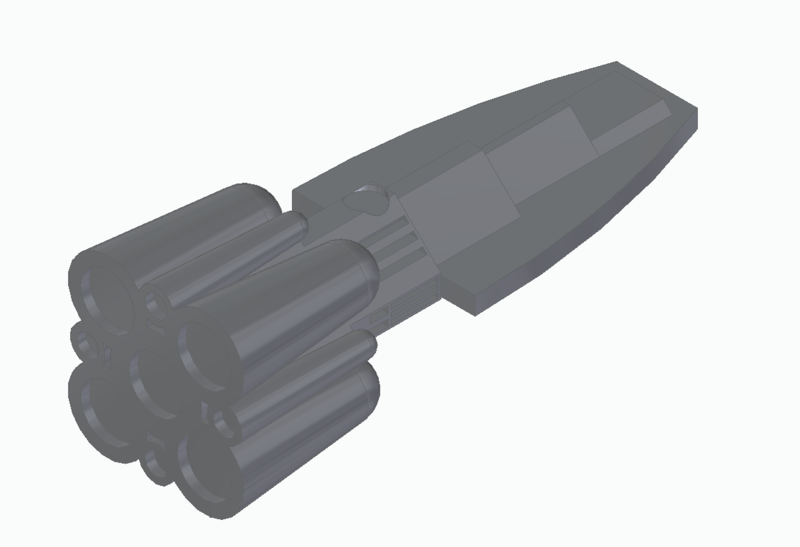 3D Model completed all weapons are sub parts then assembled in software, got things to barely fit, the 45mm Auto-cannon’s are rather large however are the minimum size that I can 3D print. 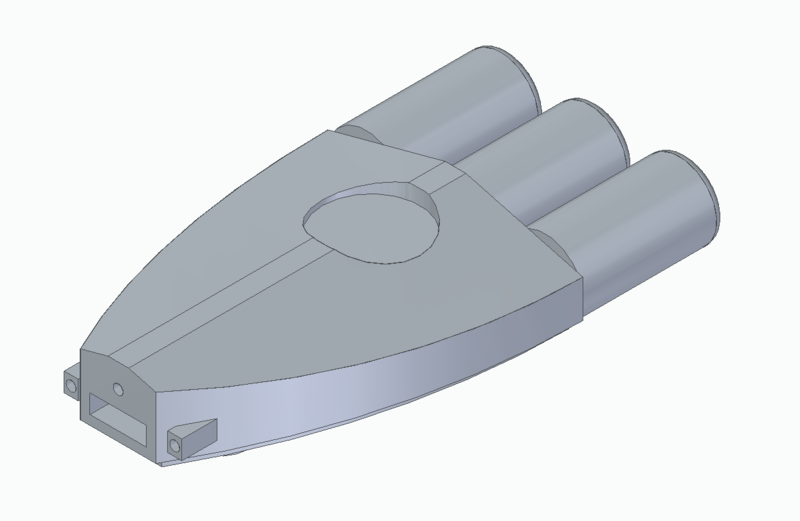 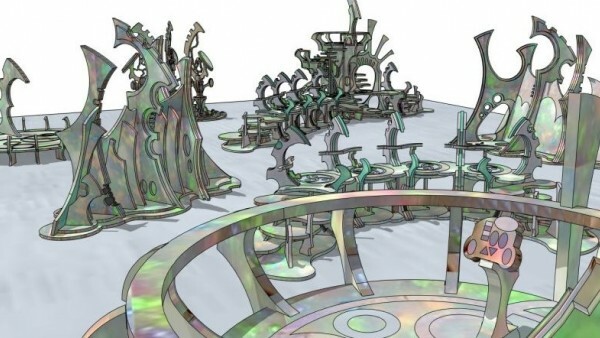 I completed two designs for lasers, ones that pay homage to the Original drawing and the ones displayed on the model which are round emitter like. 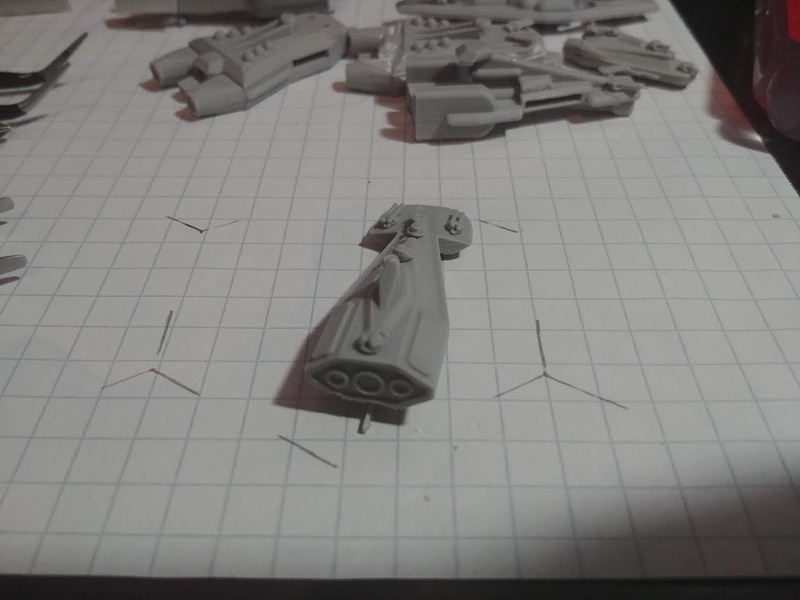 Weapons have been printed, nearly lost one of the lasers already. 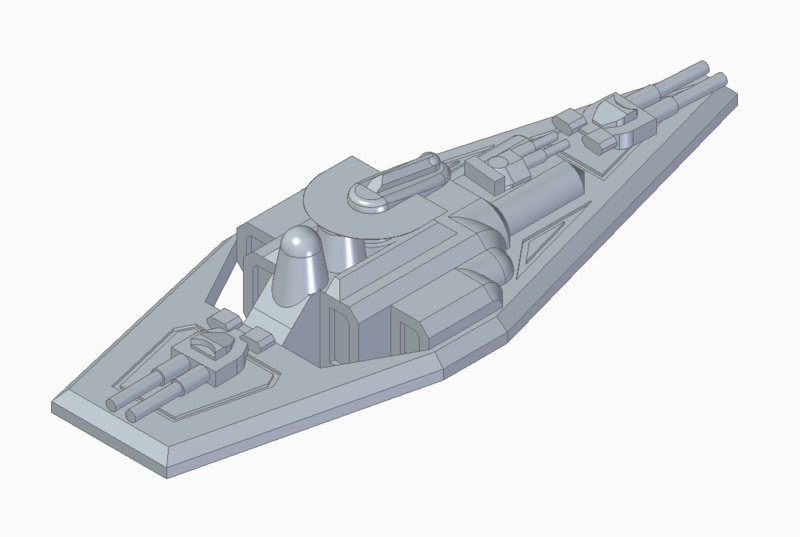 The Hull is currently printing to be assembled in the morning. 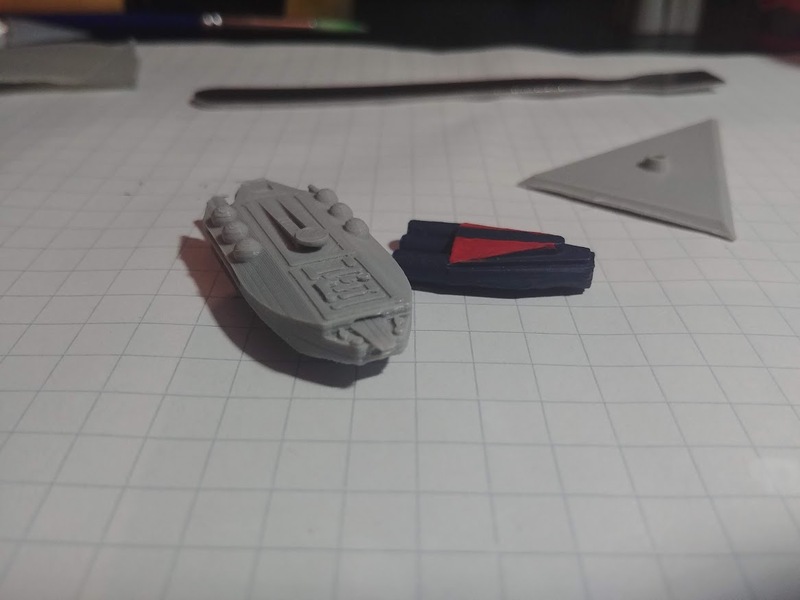 Hull completed and assembled surprisingly no glue required for the low guns so the can be rotated. 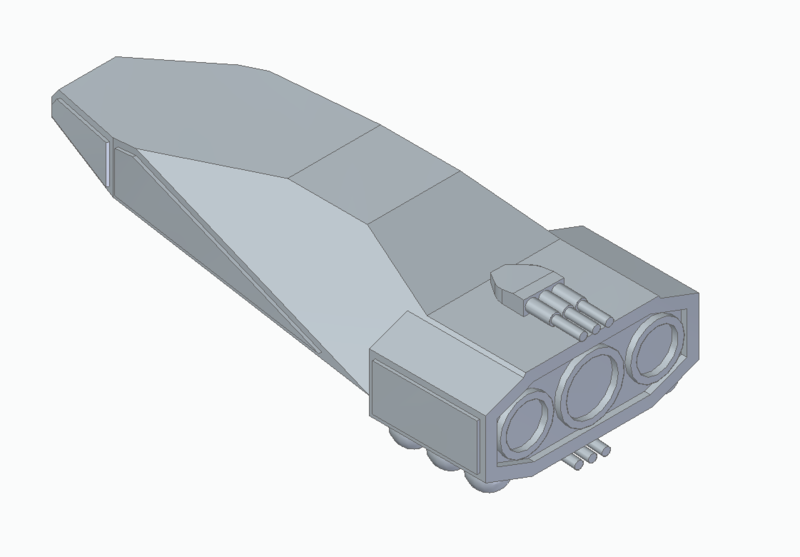 the forward laser is the only part glued down and the conning tower blocks it from fitting into the hole. 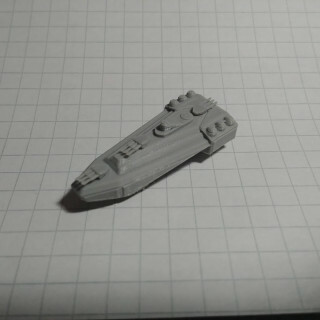 3D print completed. 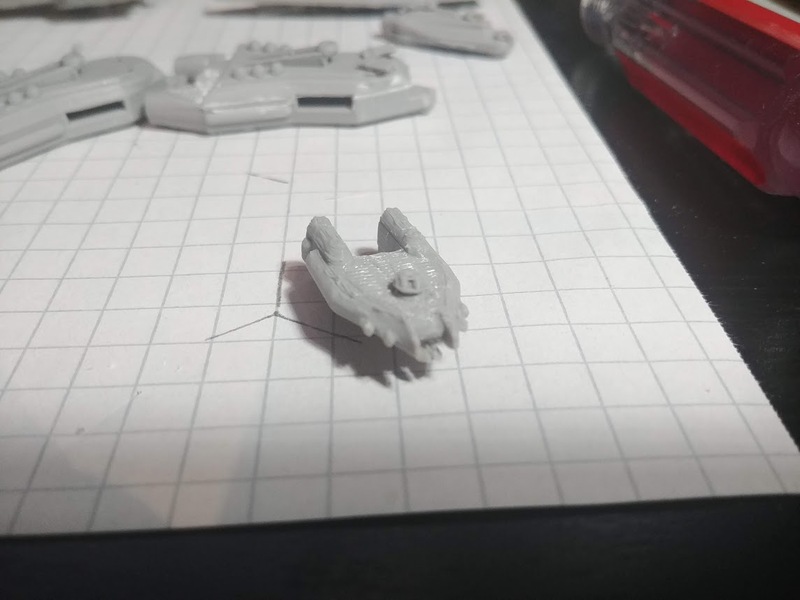 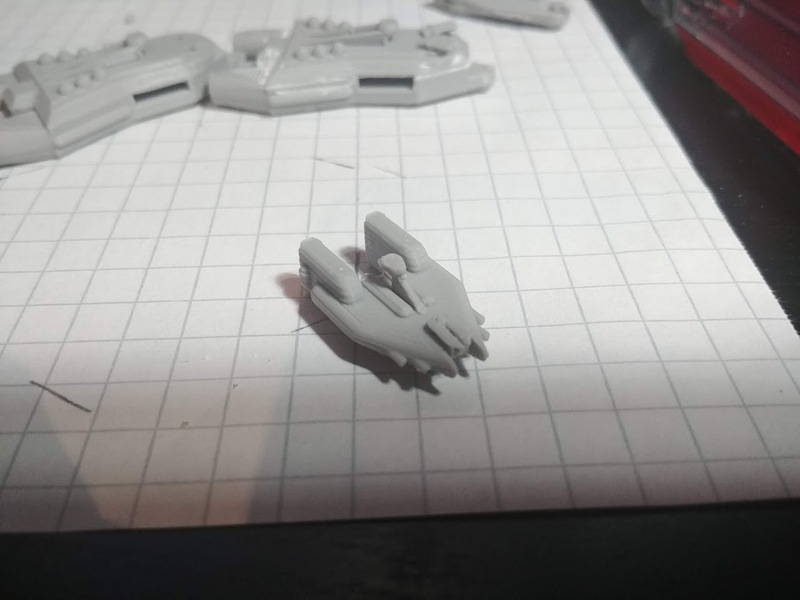 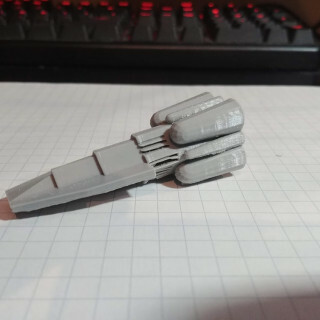 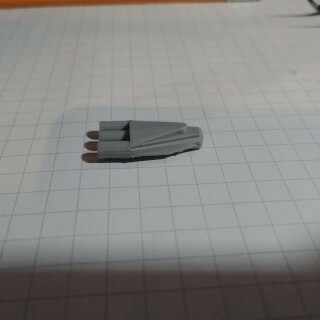 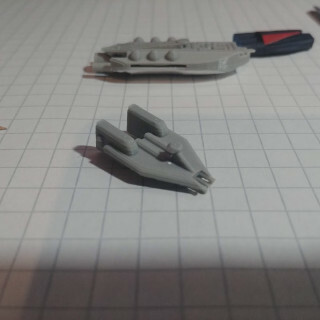 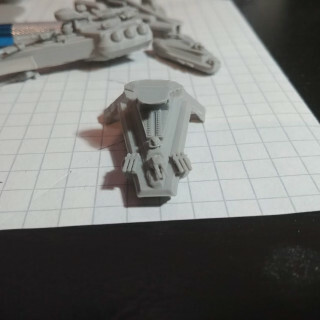 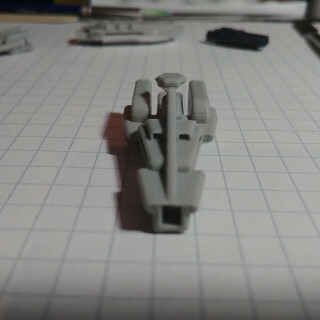 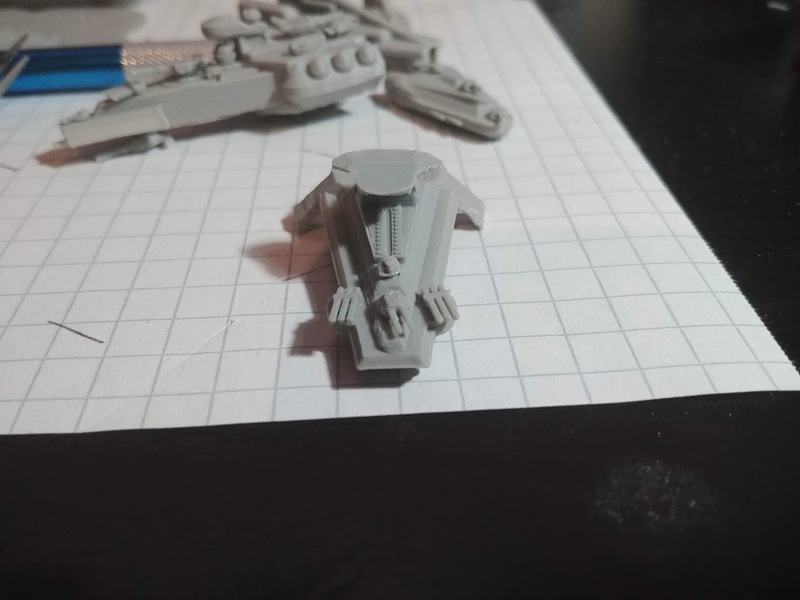 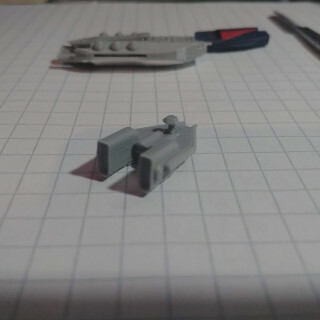 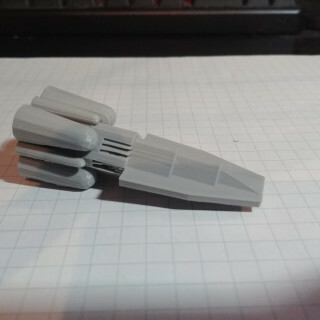 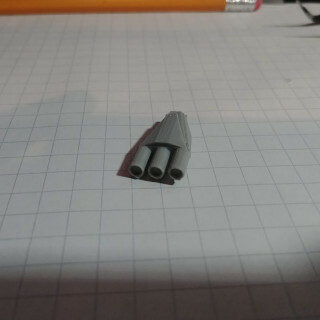 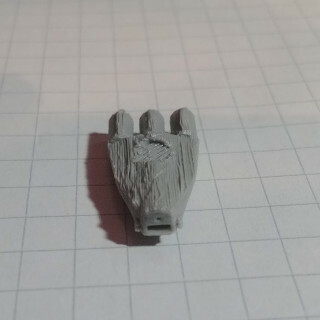 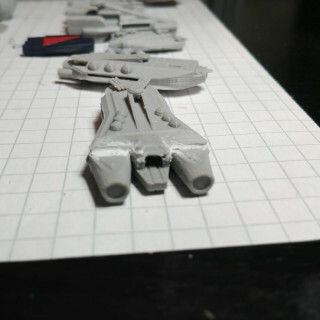 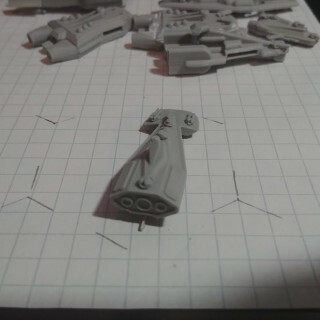 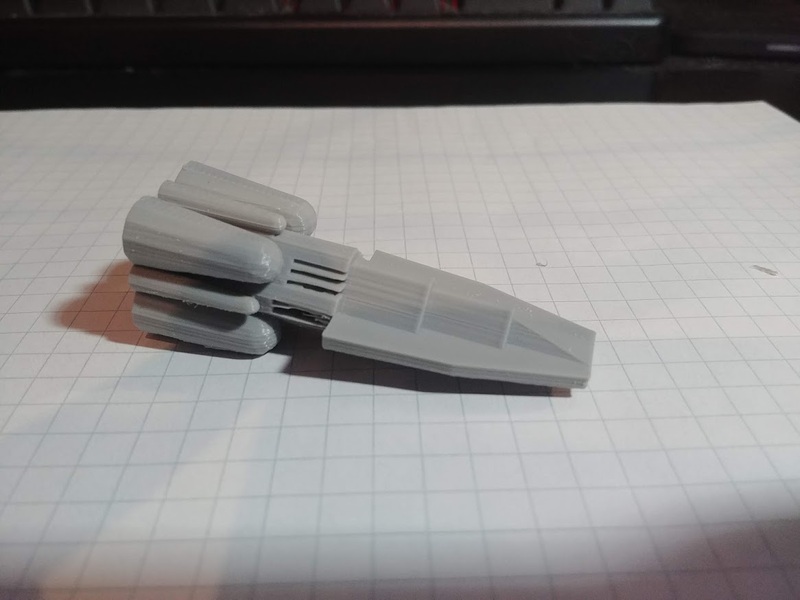 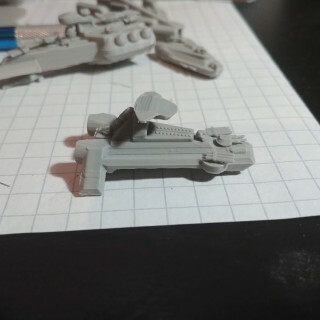 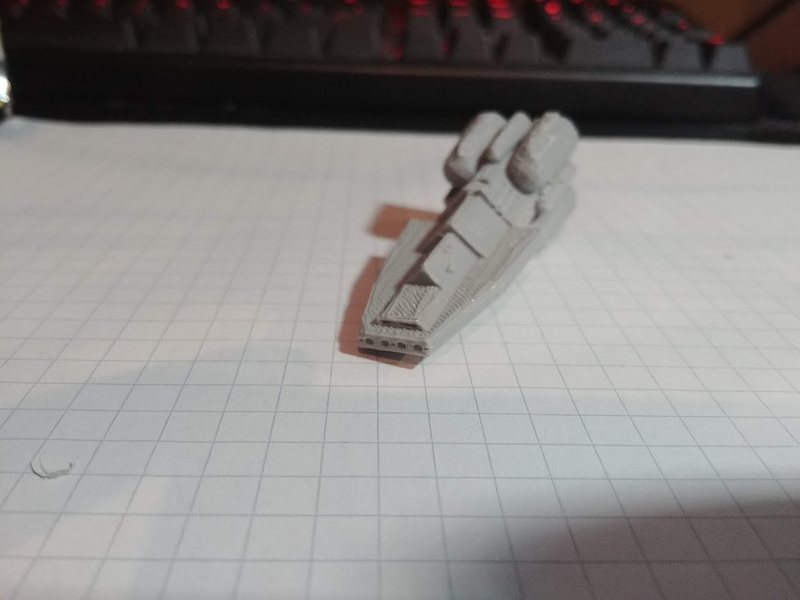 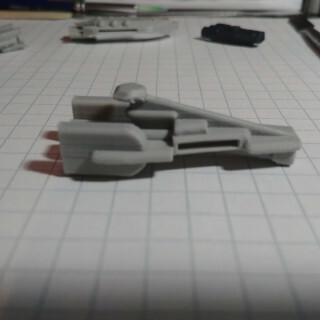 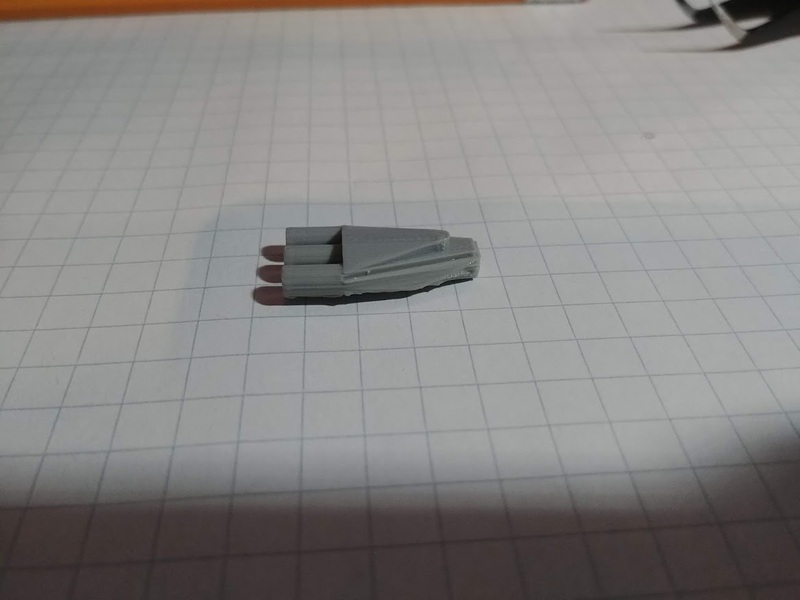 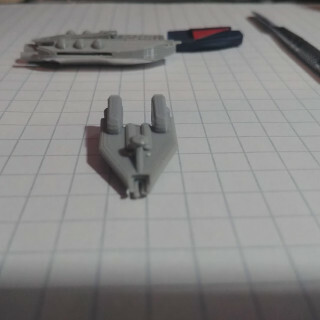 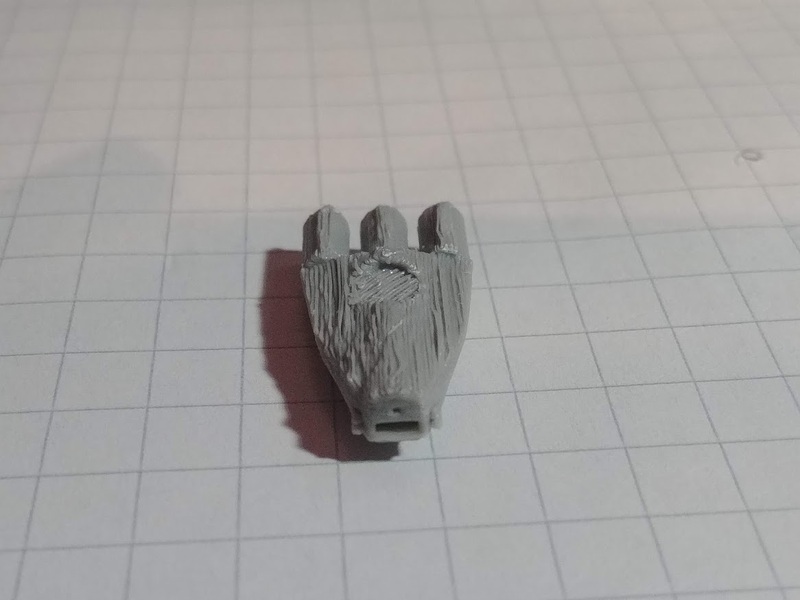 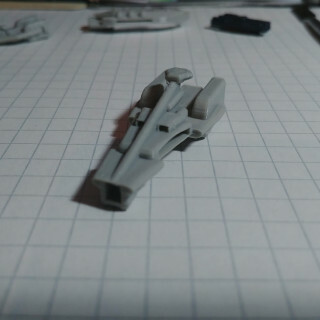 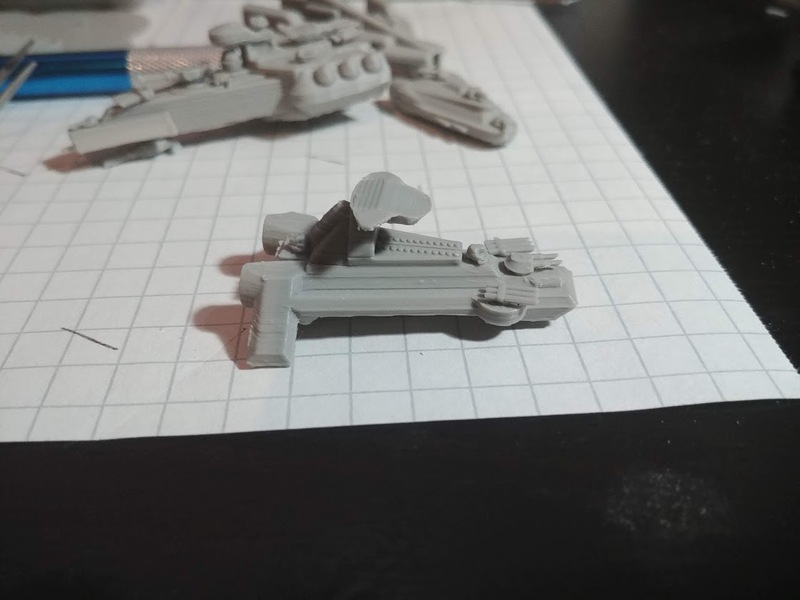 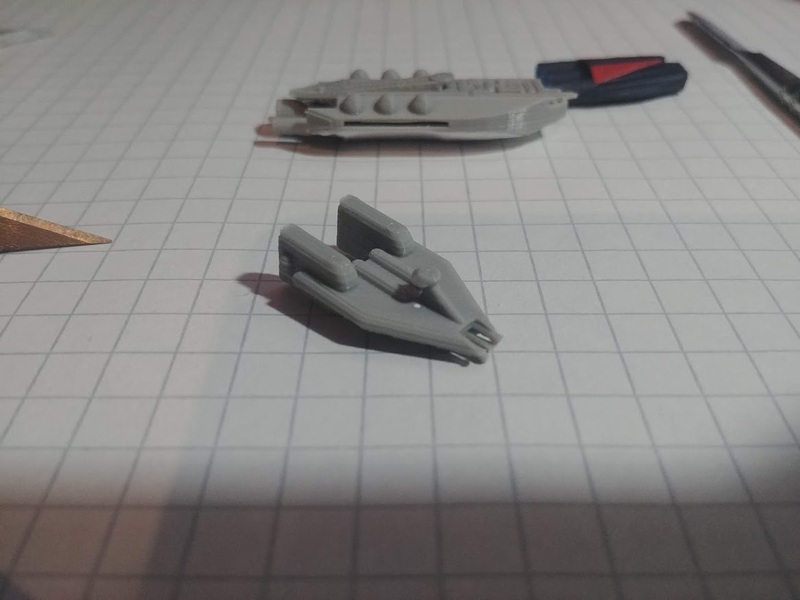 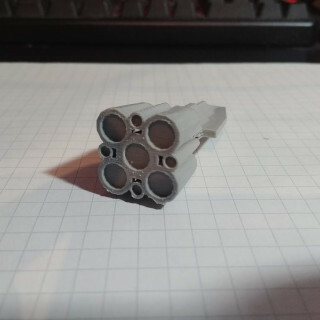 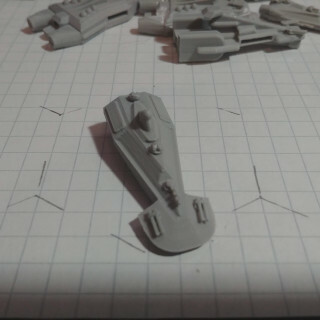 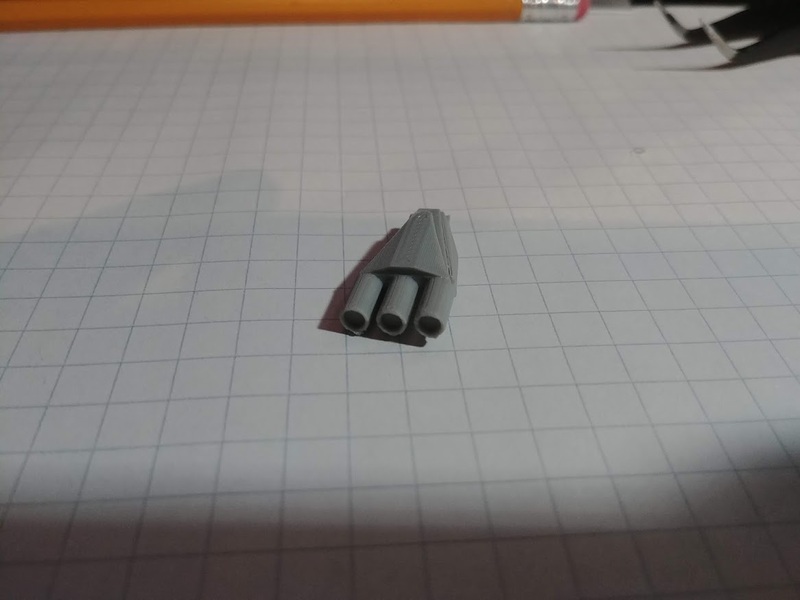 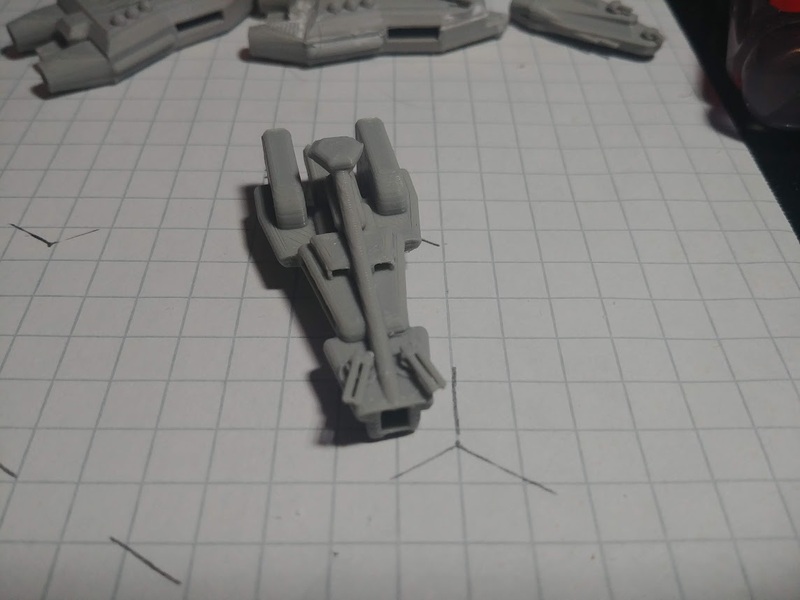 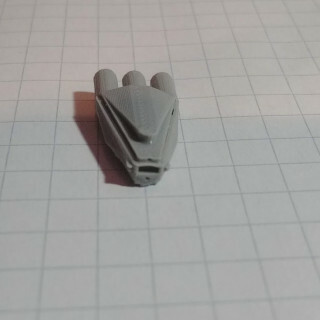 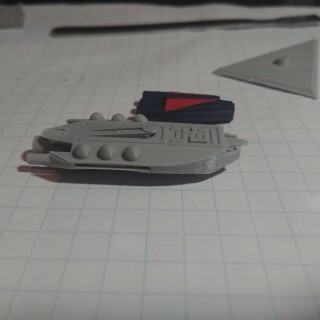 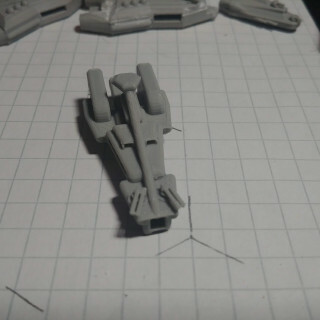 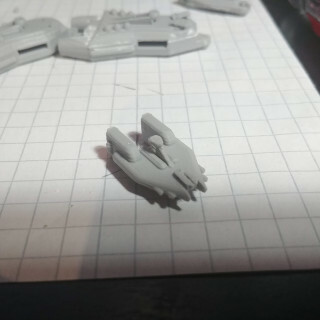 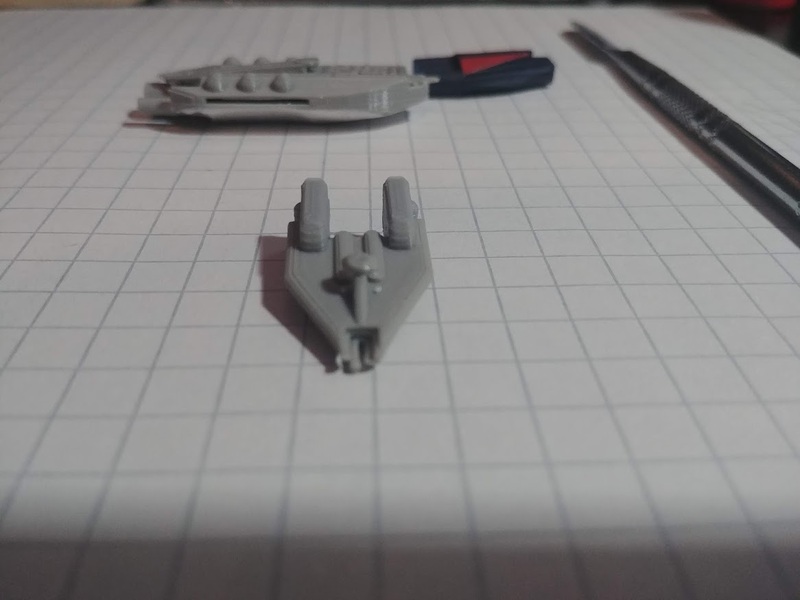 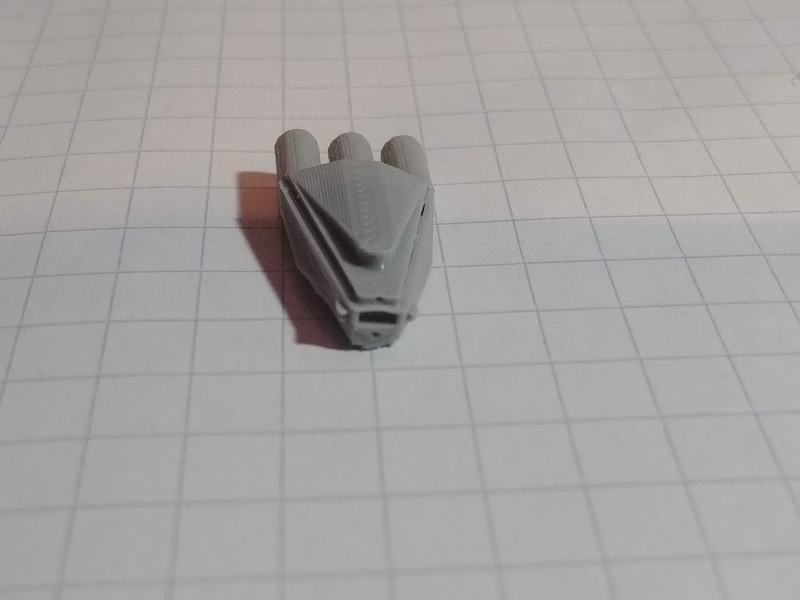 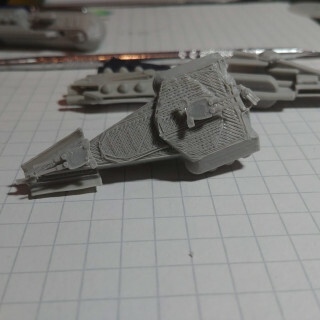 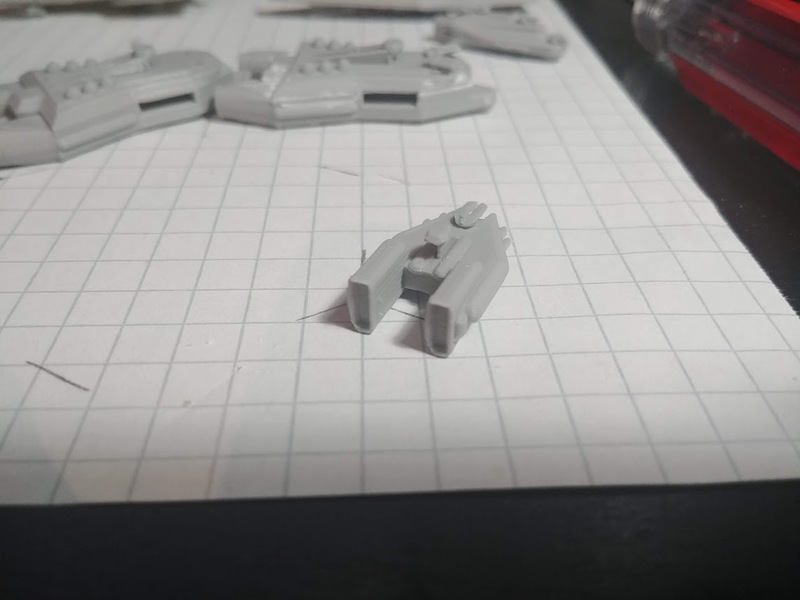 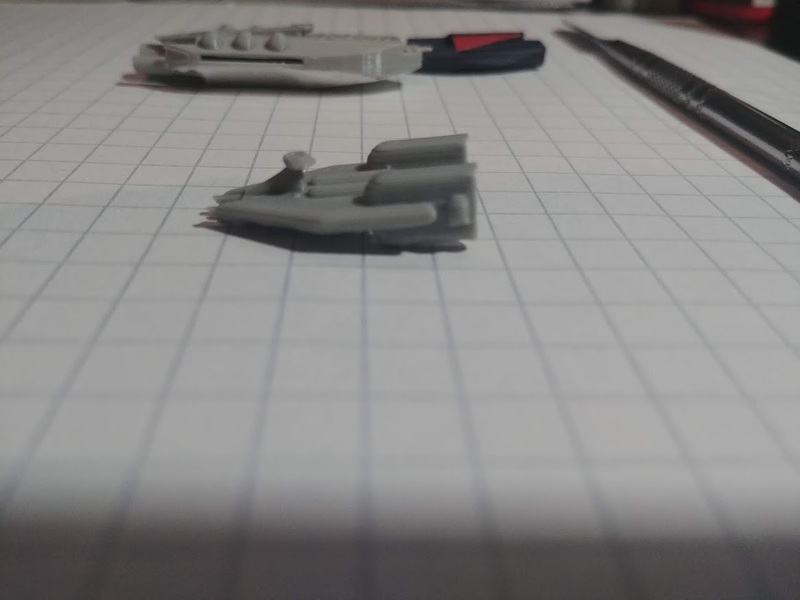 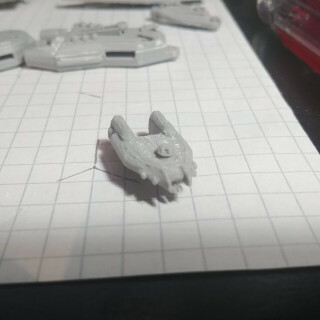 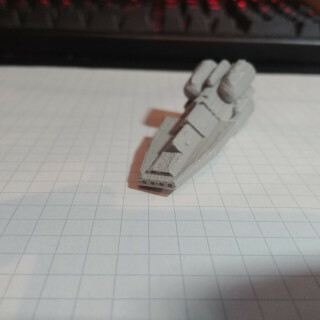 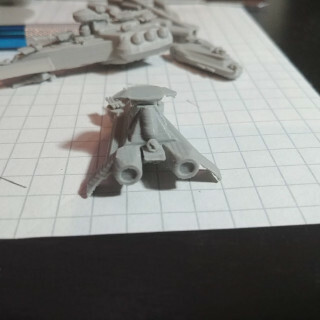 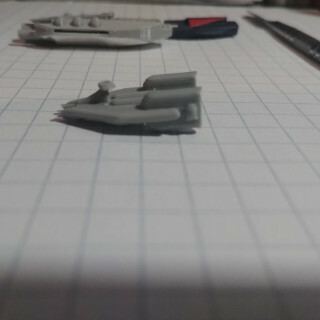 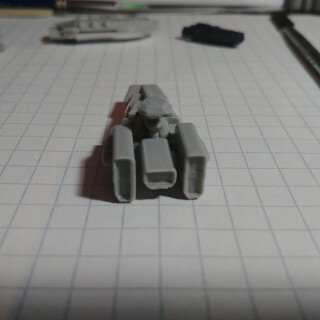 Took a little over 3 hours with my cheapo 3D printer, results are the best so far I still may go back and adjust things mostly the thought of moving the engine pods closer together which I may just leave to another ship that is similar in design or a refit if one exists in the lore already. 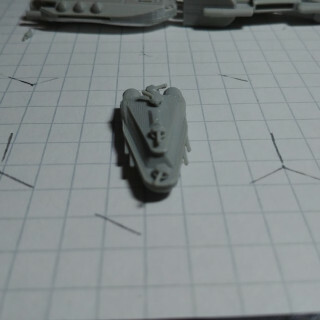 Also as a first managed to get C 89 embossed onto the side of the ship which turned out really well. 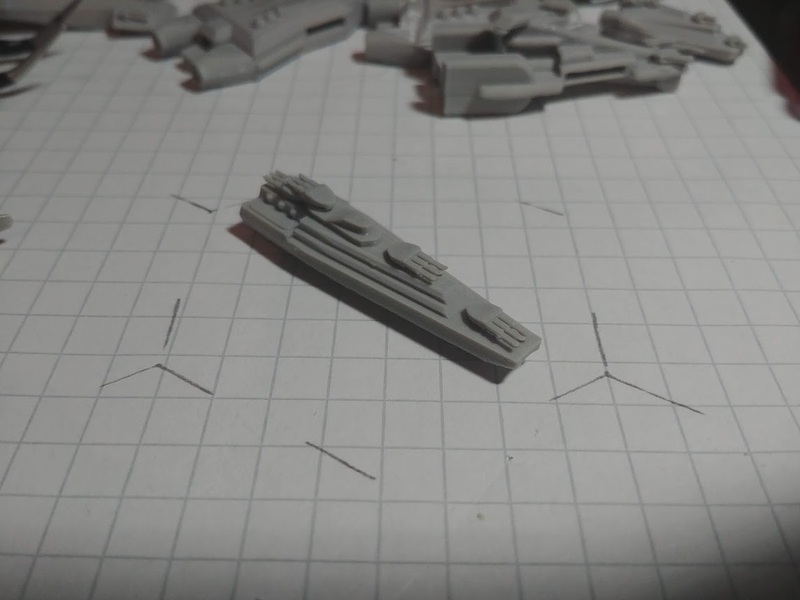 the model has space to have 3 digits for the number so unique ships can be made without have to hand paint/mask/decal in some ship markings. 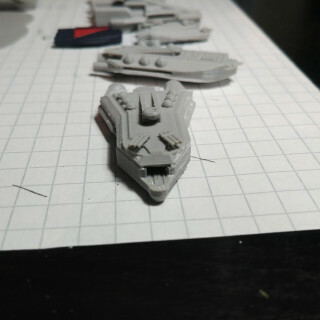 All 4 ships designed, going to make another pass on everything to add some more details on blank faces and enlarge hanger opening and other small parts that did not survive the printing process. 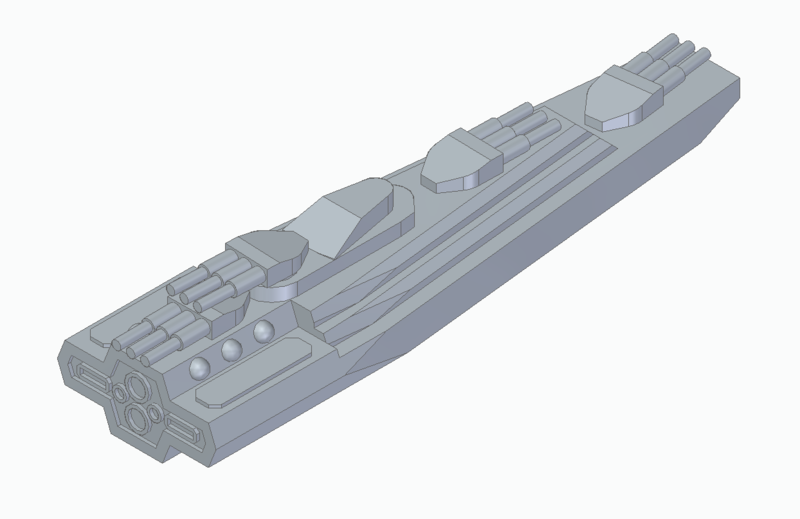 1st Japanese ship done, decided to change up the engines look for the Japanese Navy and adding a tall superstructure on the ship. 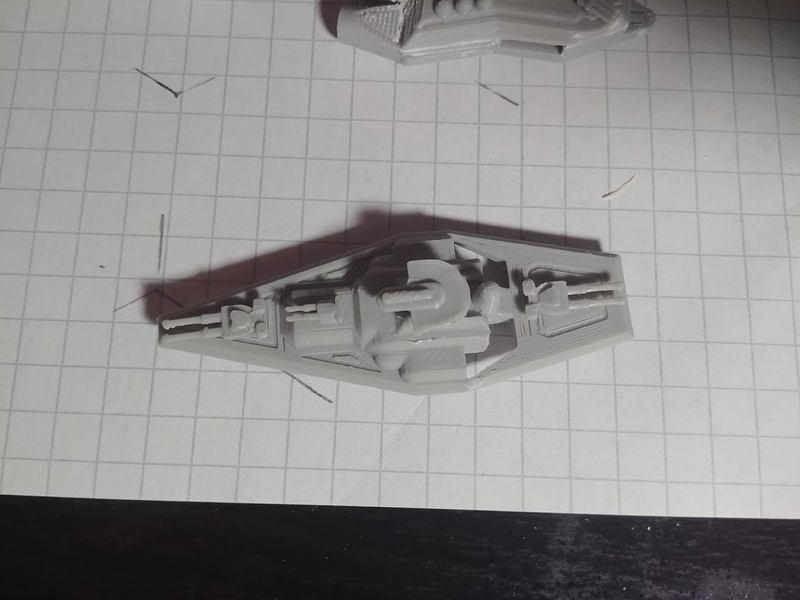 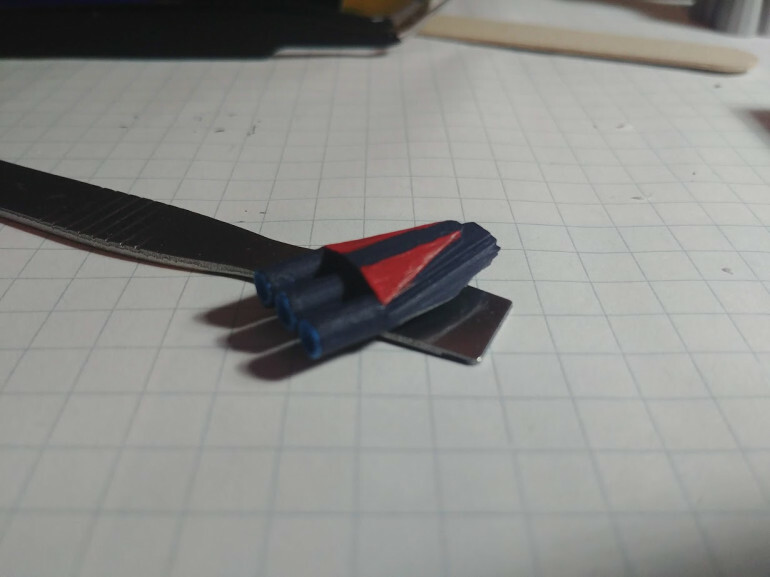 3d print turned out the best so far, just need to make some parts of the bow slightly thicker so they do not warp. 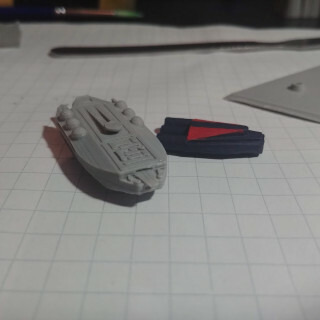 added some extra detail to the hull this time around which turned out well. 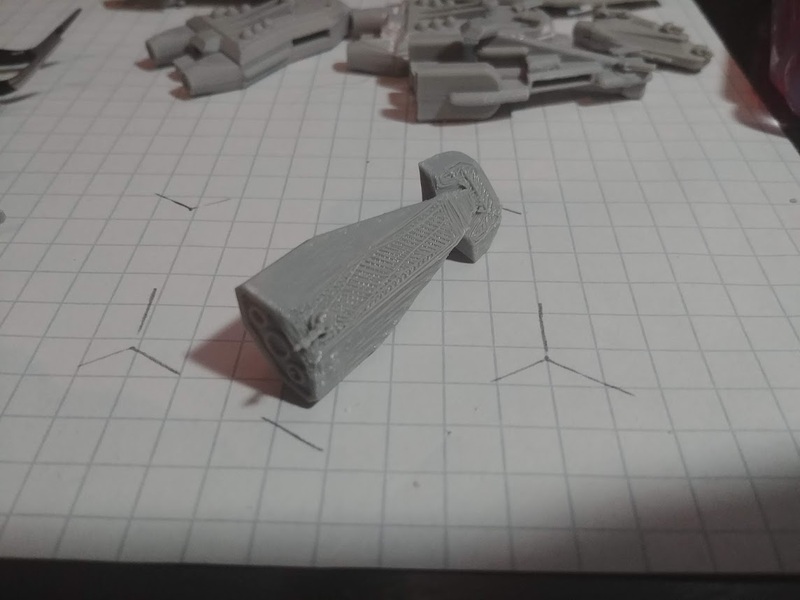 still need to work out what works best for hanger sizes while most turned out OK on this print the rear hanger was collapsed and had to be cut back slightly. 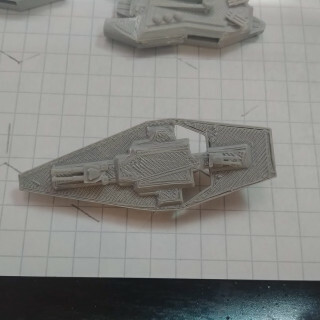 need to address the issue with the bottom of the prints also which as they are coming out worse now it is likely a temperature issue. 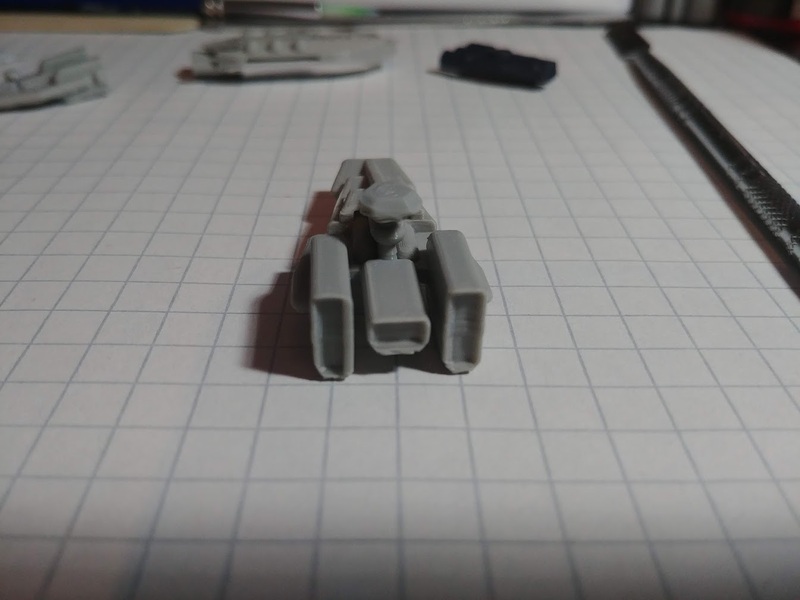 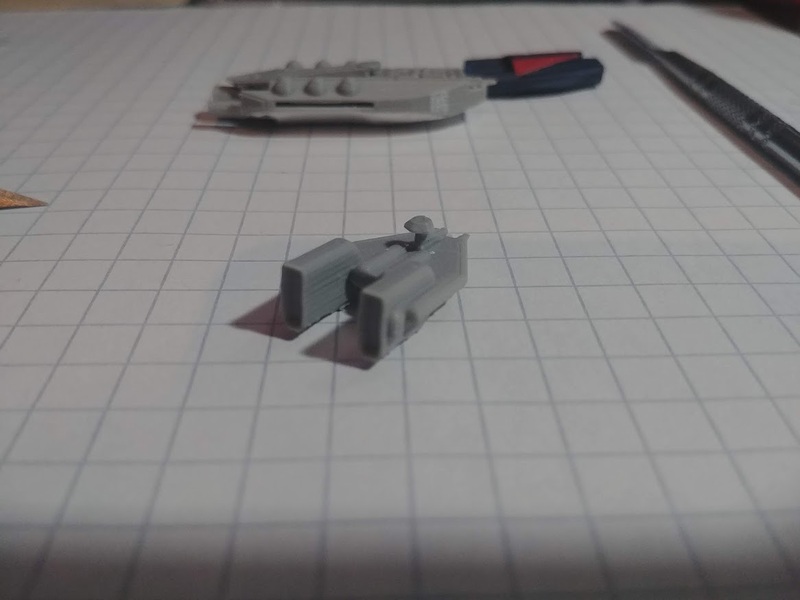 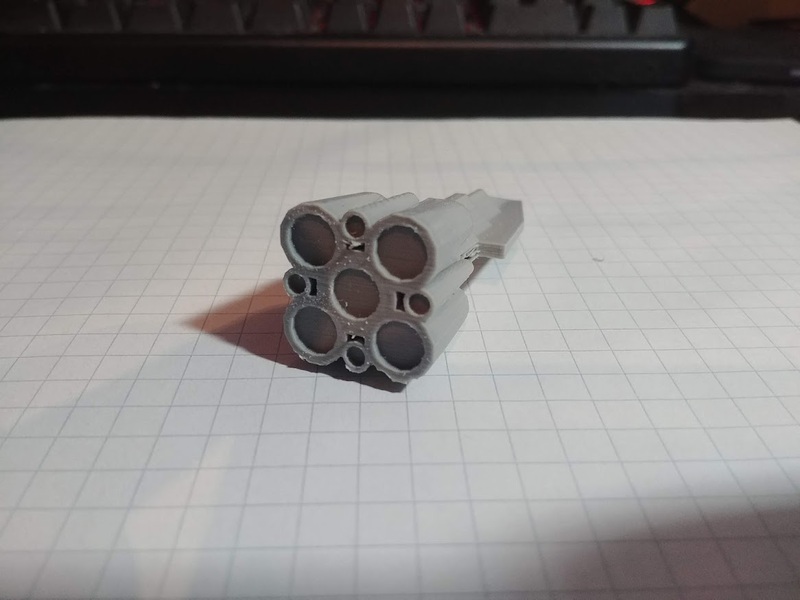 3D printed turned out better than the carrier, still needs some changes the blocks with circles are representing the forward weapons and the two side ones need to be slightly bulkier. 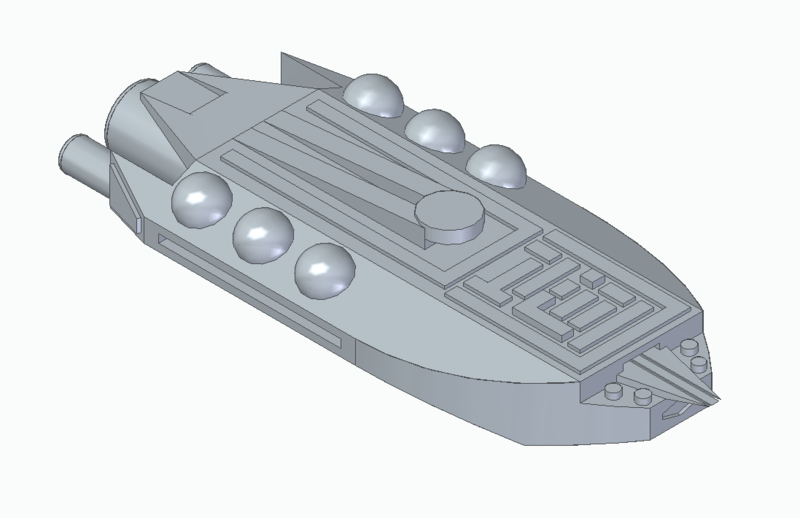 may try adding some greebles to the top surface to break up the large flat space. 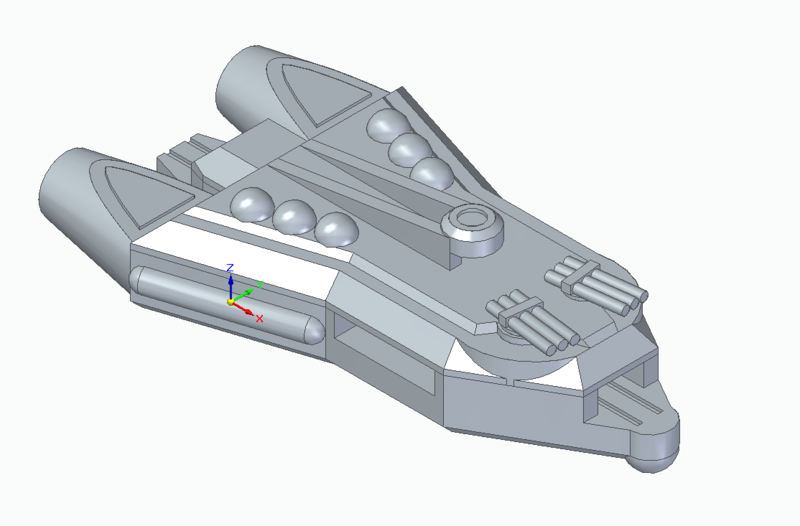 Side view, showing central docking ports go straight through the ship, Ports below and above do not.